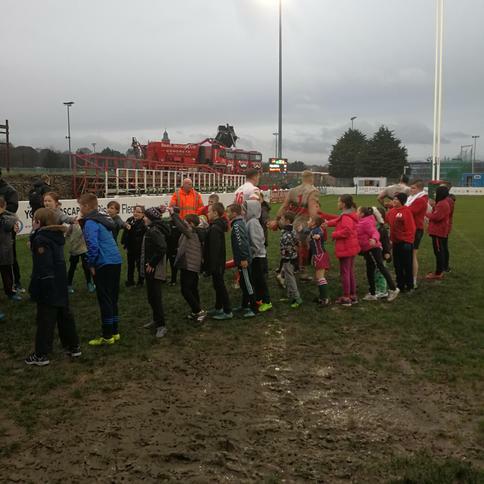 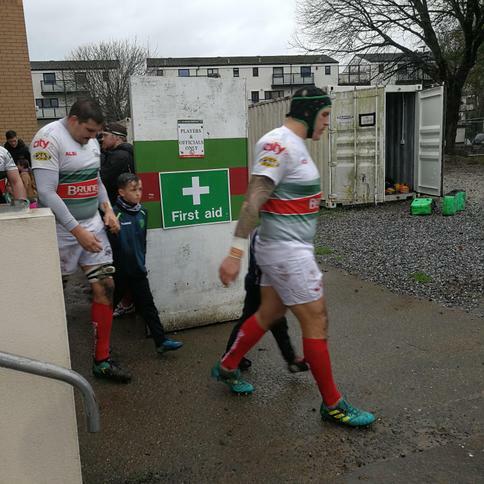 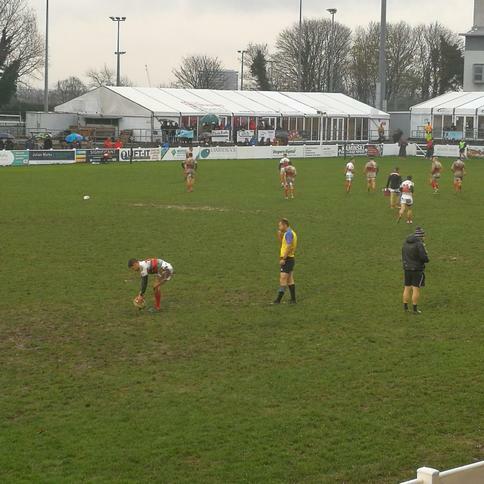 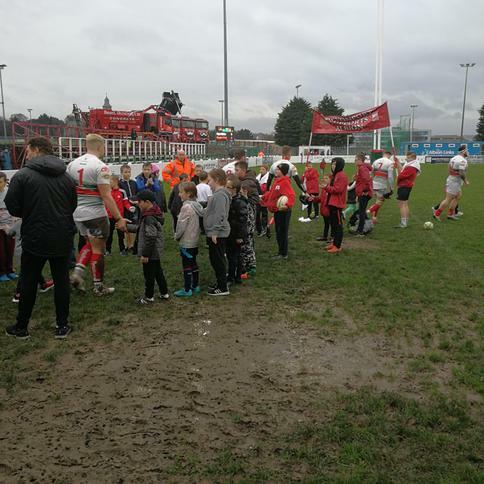 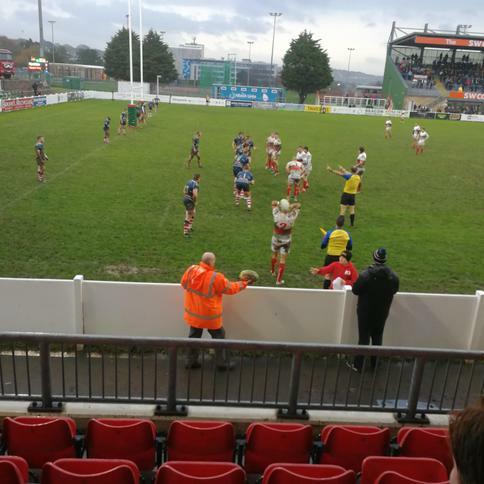 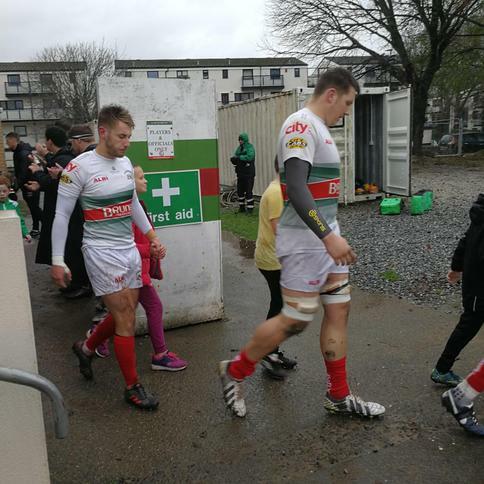 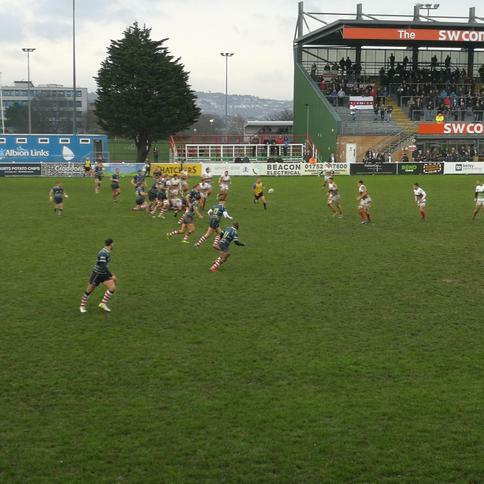 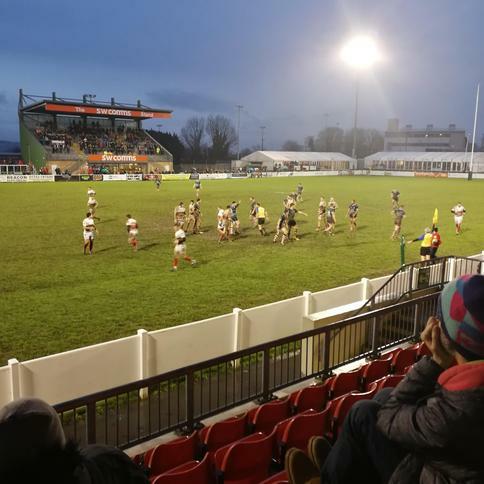 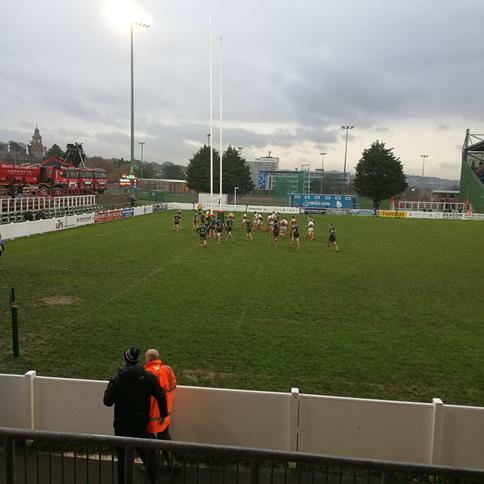 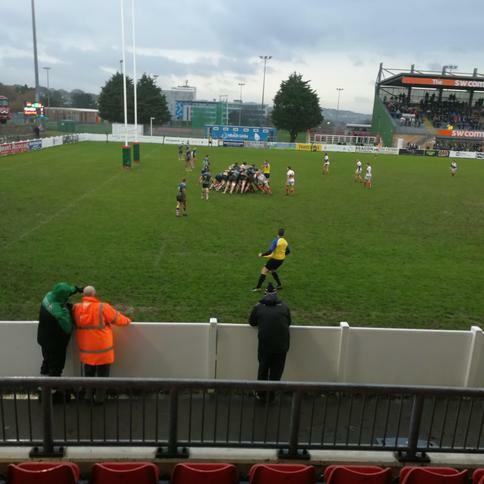 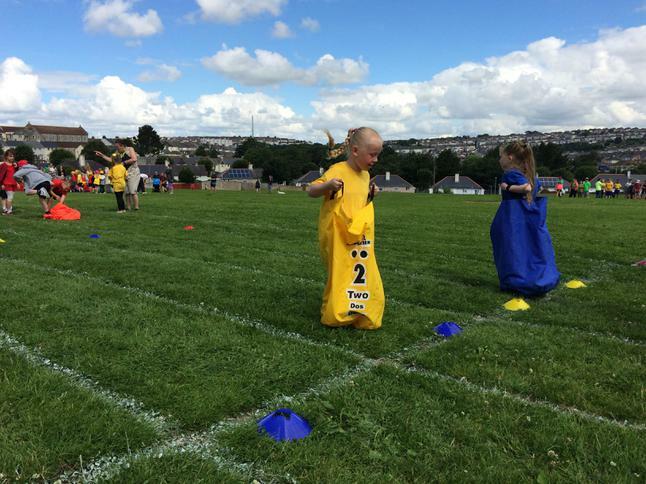 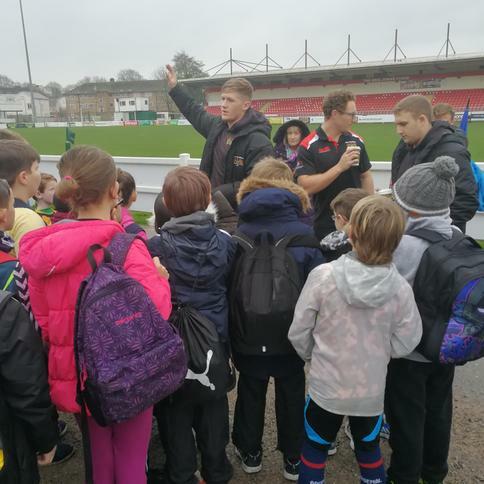 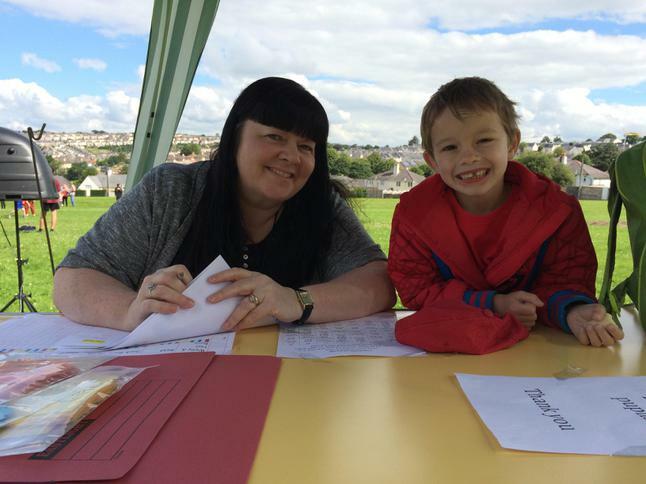 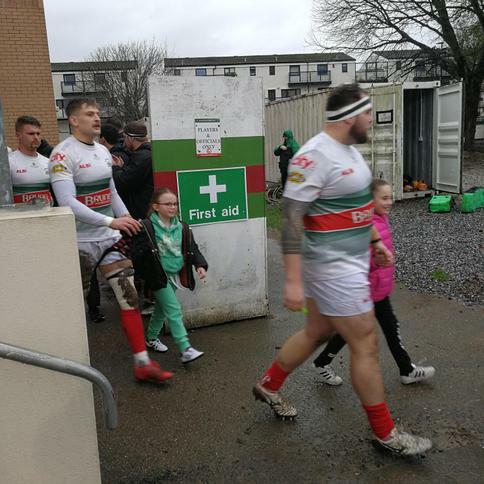 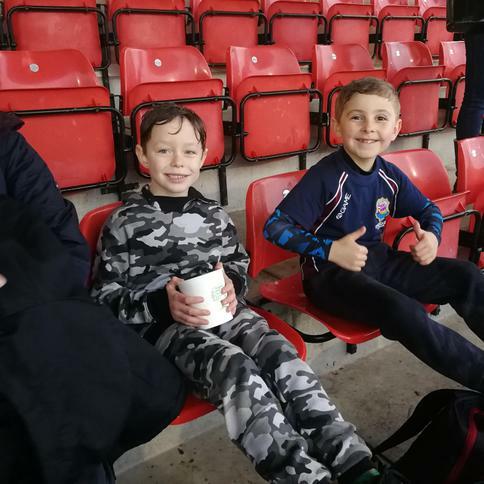 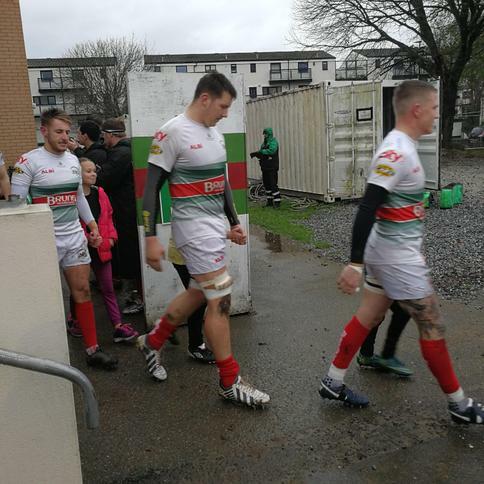 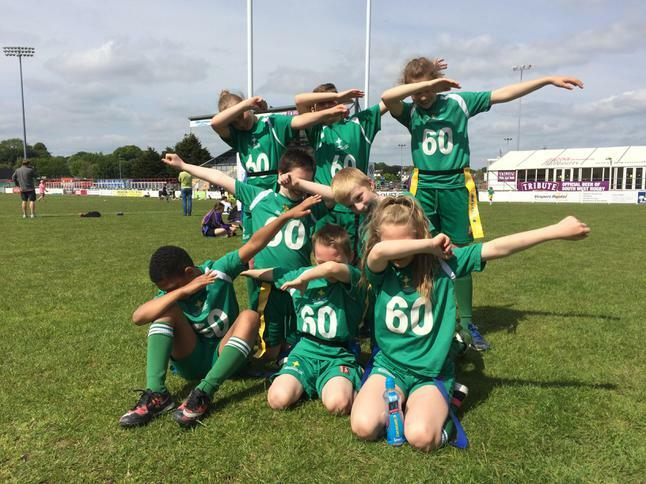 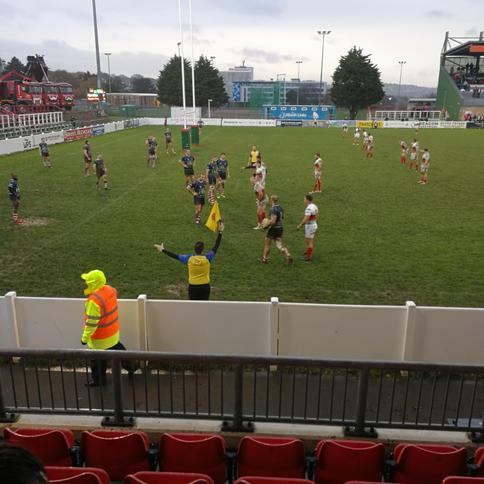 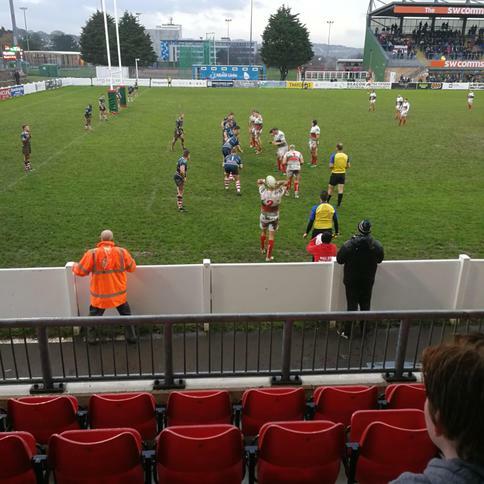 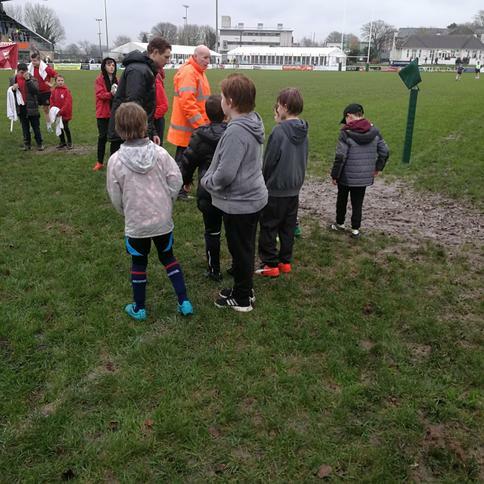 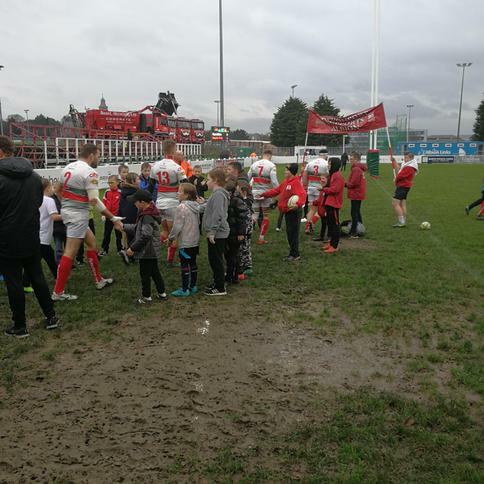 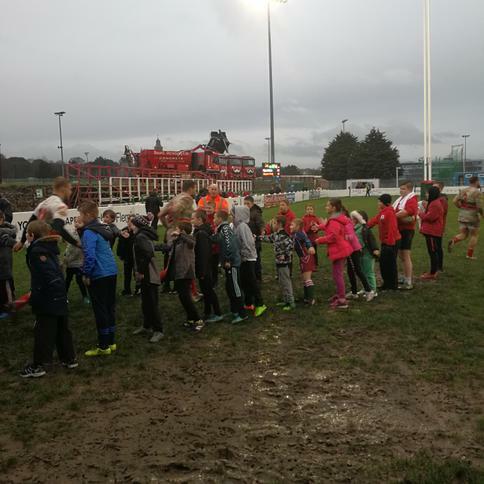 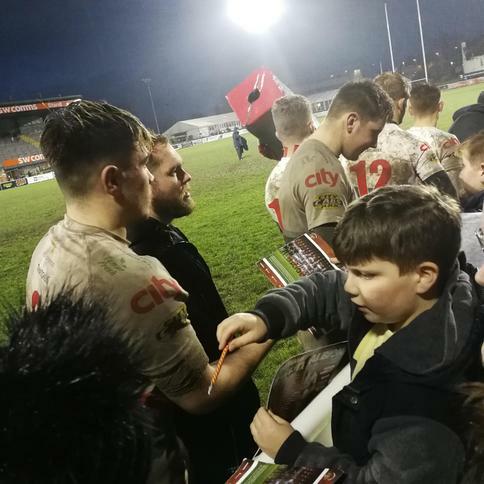 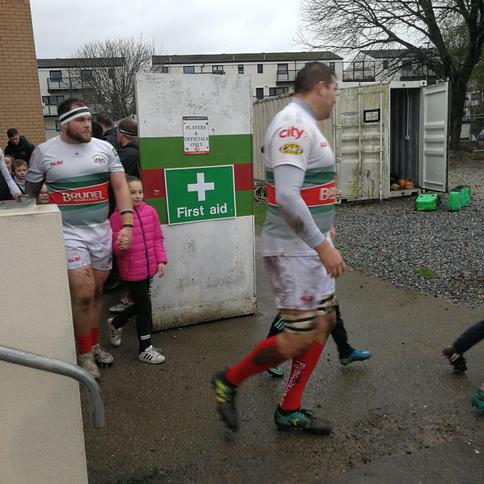 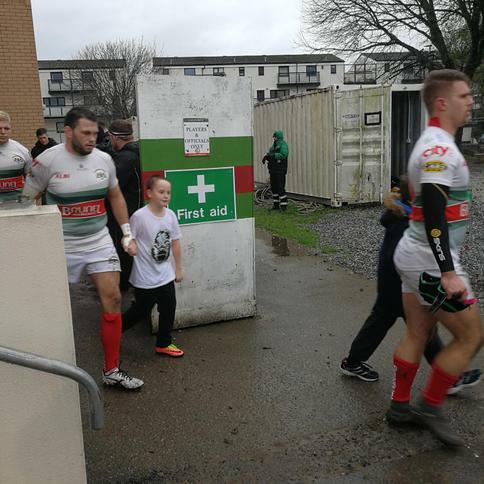 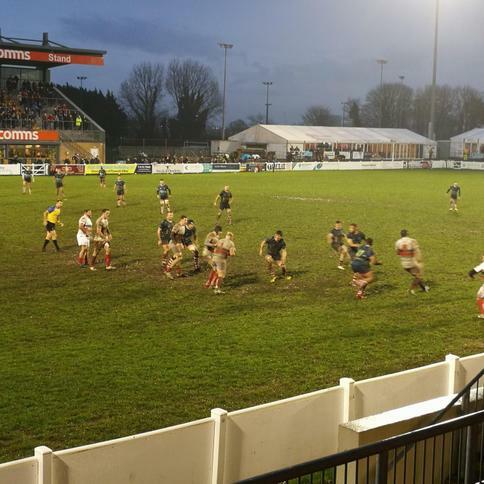 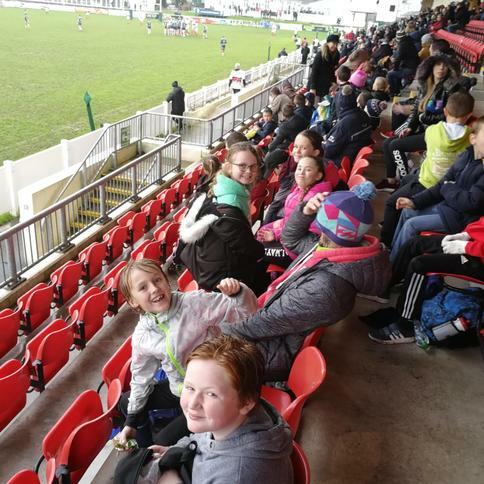 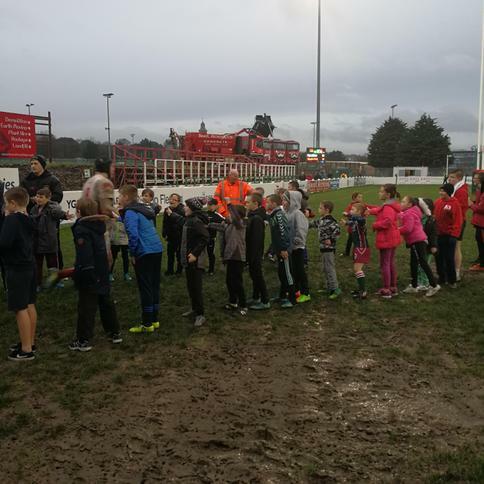 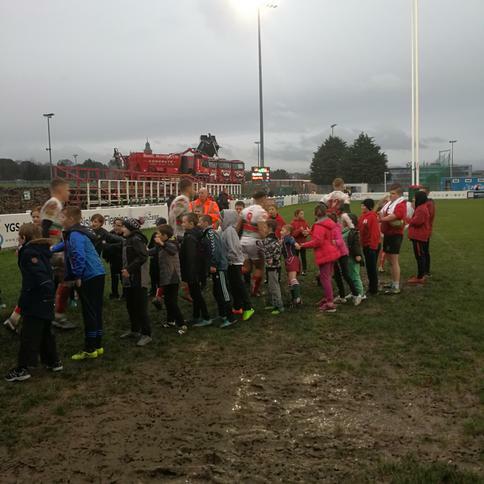 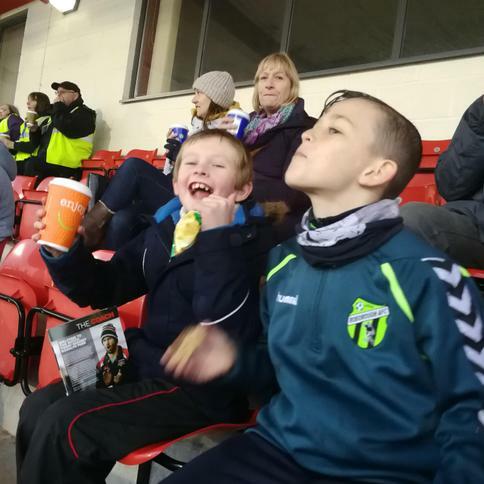 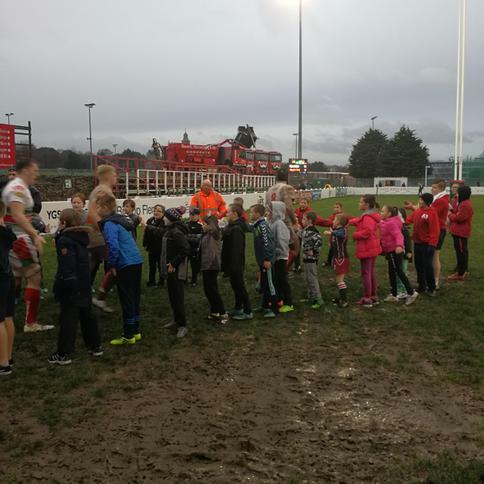 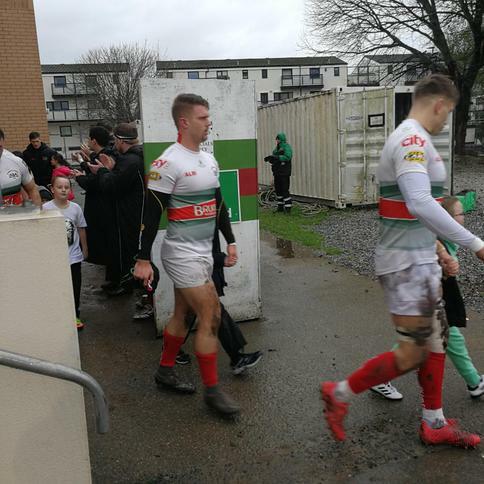 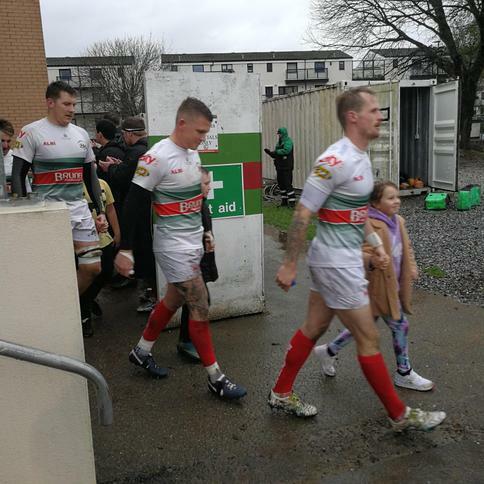 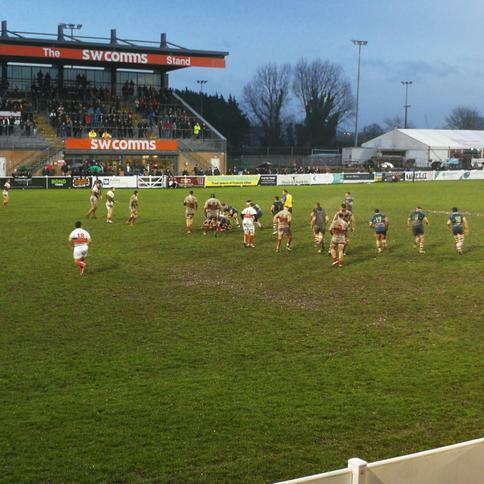 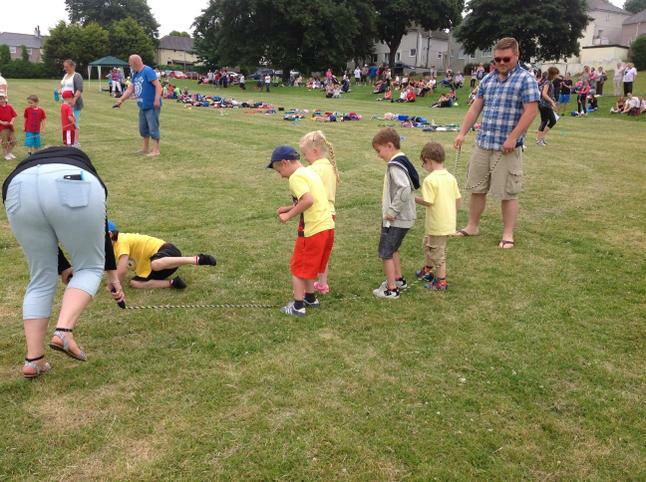 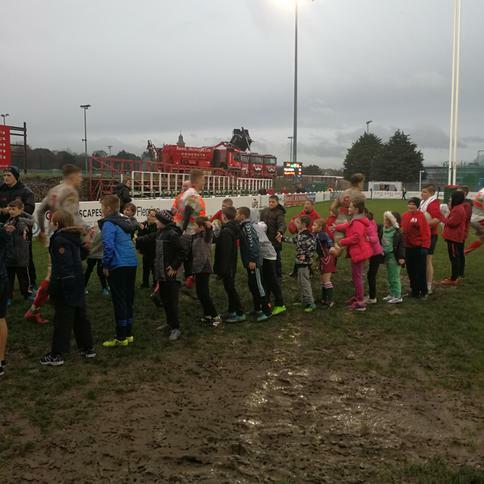 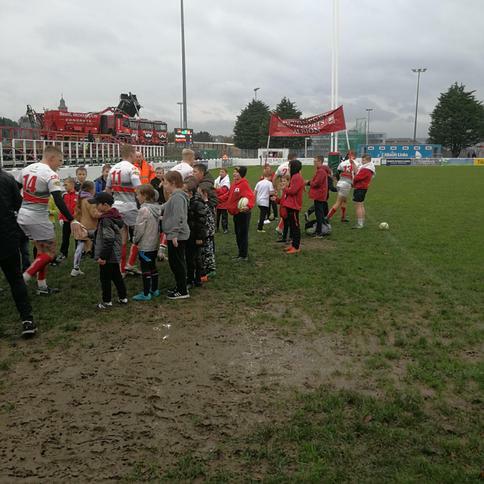 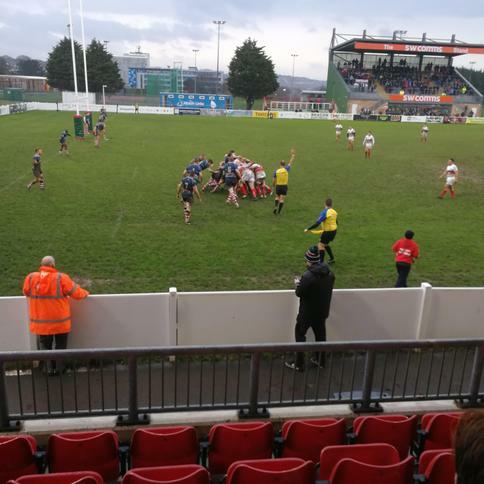 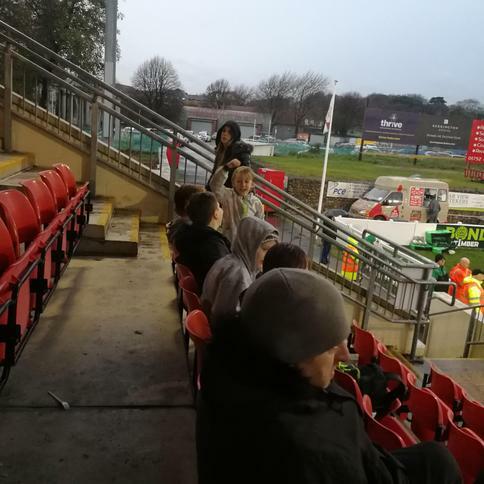 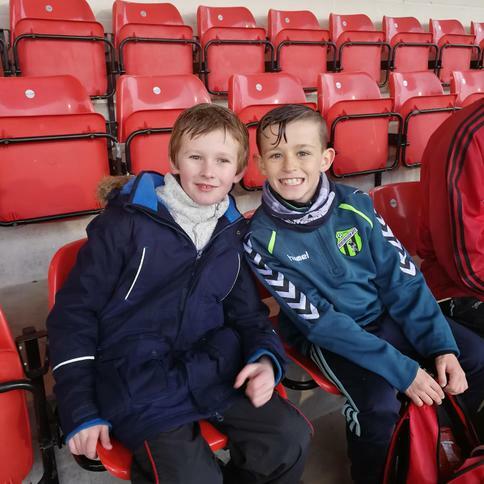 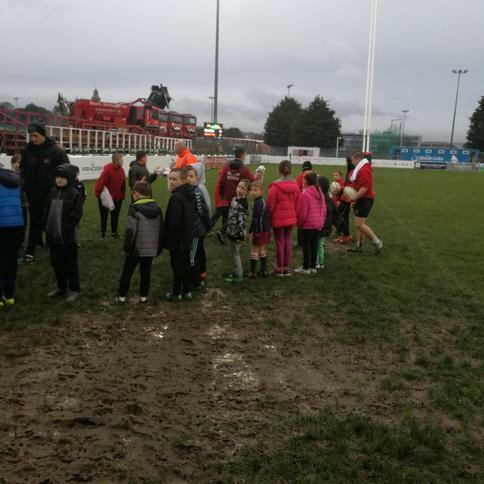 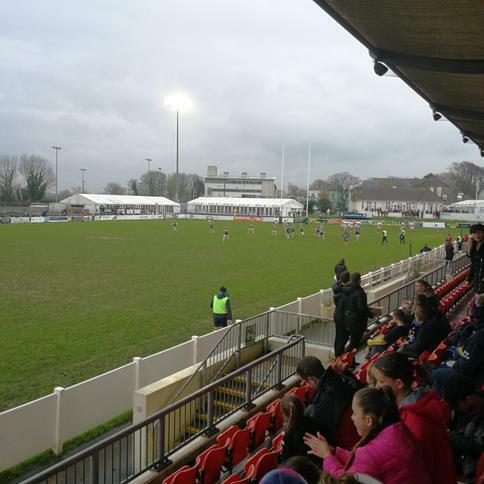 Super Saturday with Plymouth Albion! 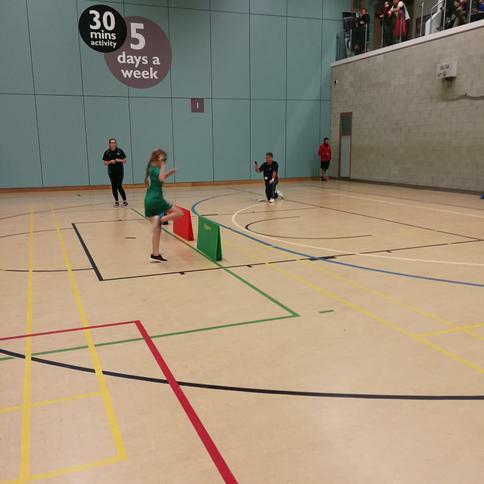 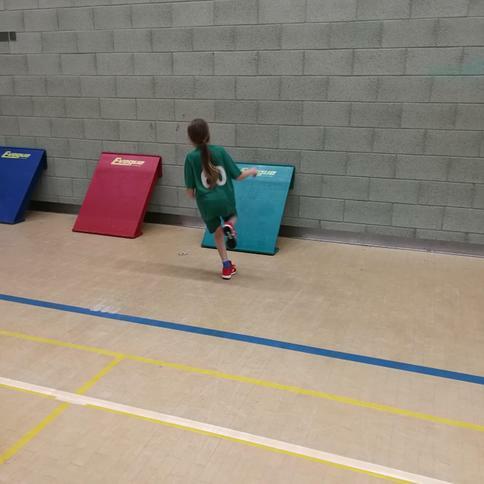 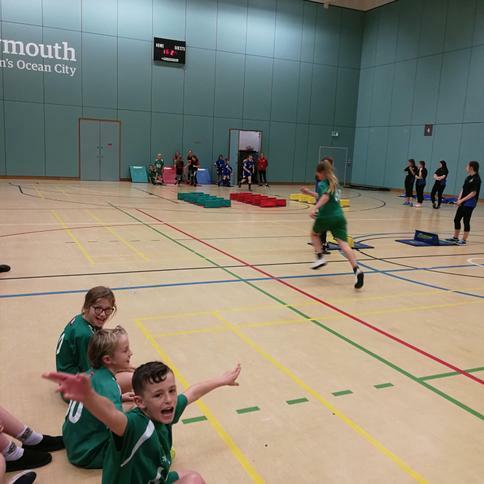 RC Indoor Athletics 14/11/18 - We came 2nd! 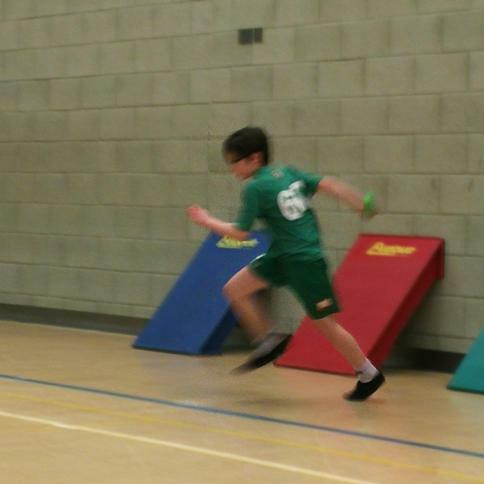 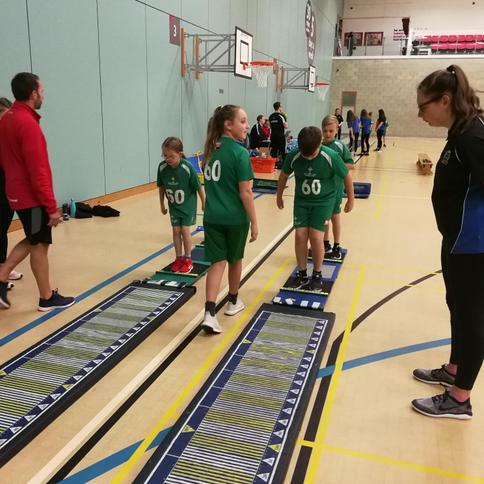 RC Indoor Athletics at Notre Dame 16/11/17 - our Year 5/6 athletes came 3rd! 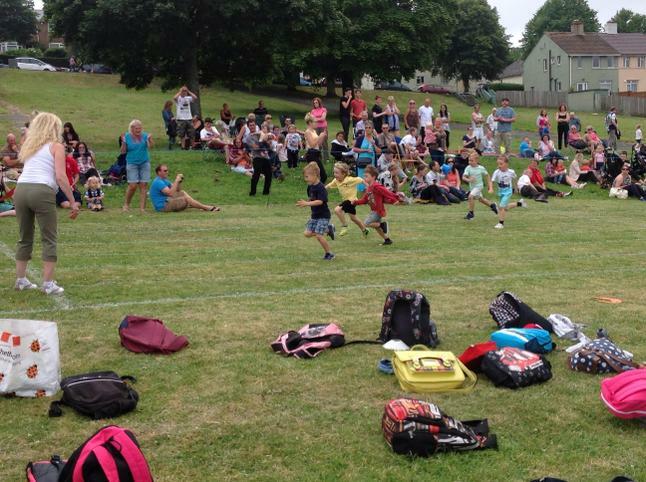 tournament, if I were you I would listen carefully,” said he. 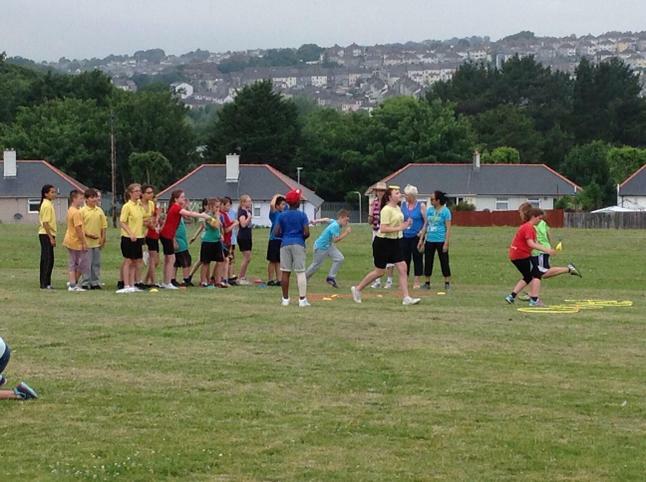 colour(pink) of the umpires’ tee-shirts. 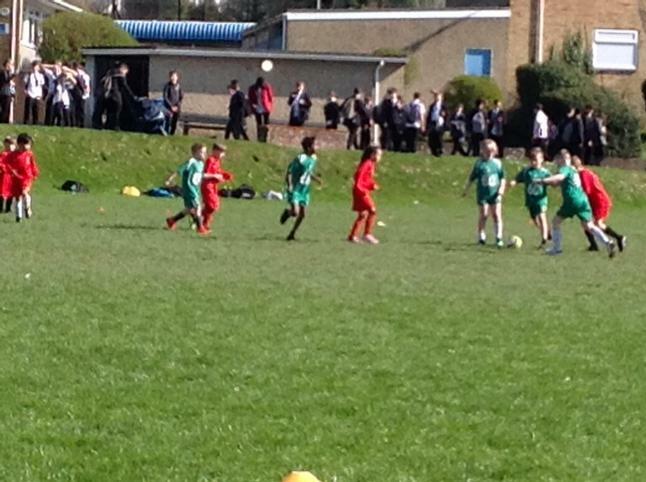 Are first game went brilliantly with us winning 2-0! 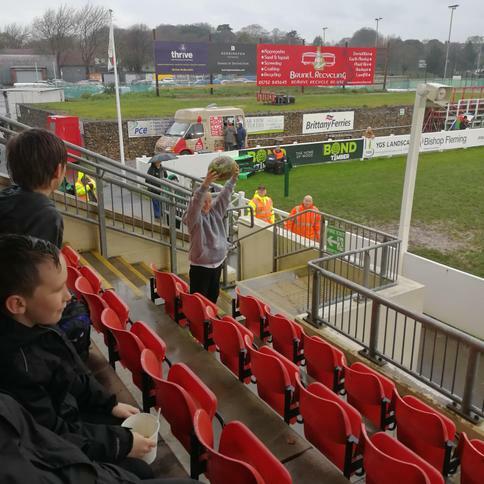 Finley scored our first goal and Tyler the second, leaving us on an emotional high. 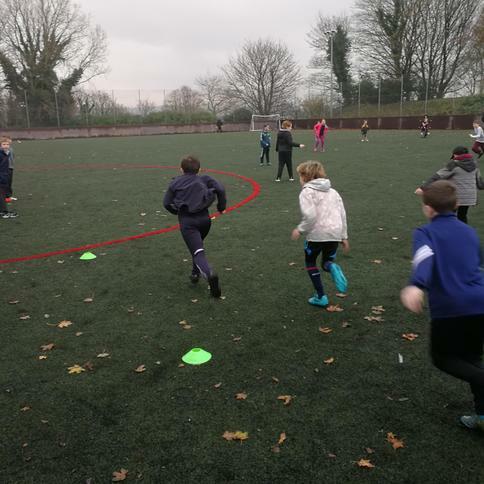 Each game was ten minutes long with six a side, the pitch layout consisted of two defenders at the back then two wingers at the sides following them a mid-fielder who is in the middle and then the person who is up front at the front. 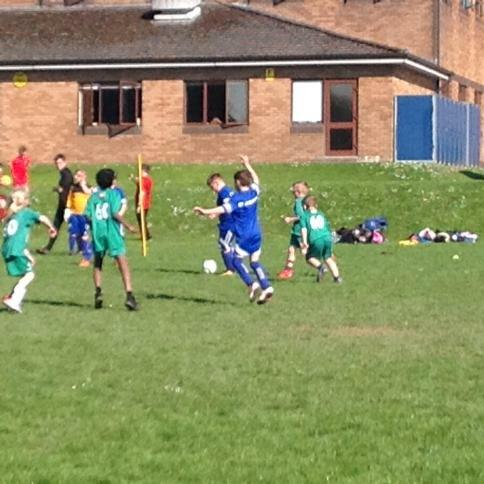 OUR next game was even better our teamwork winning us a score of 3-0!! 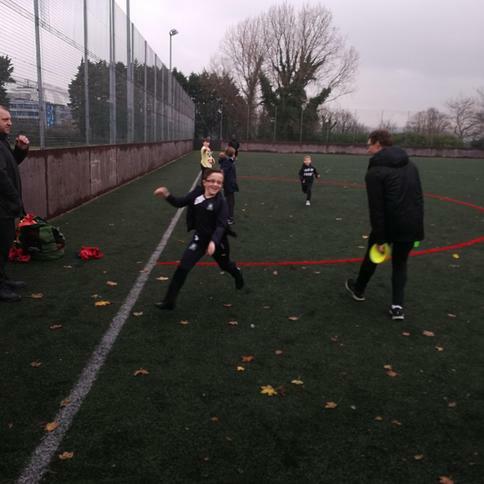 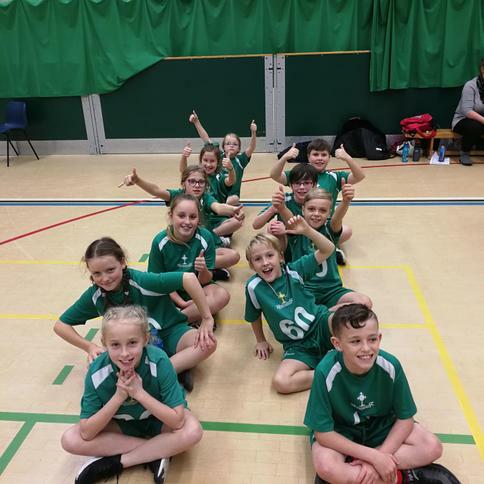 !The next game did not go as well with the other team winning 0-6 but we were not downhearted as they were a tough, competitive and feisty school who would not rest until they won. 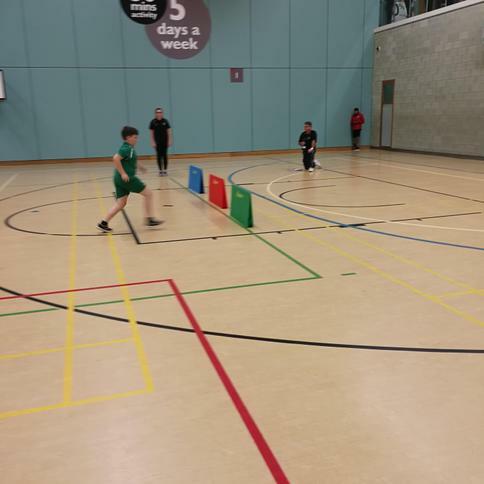 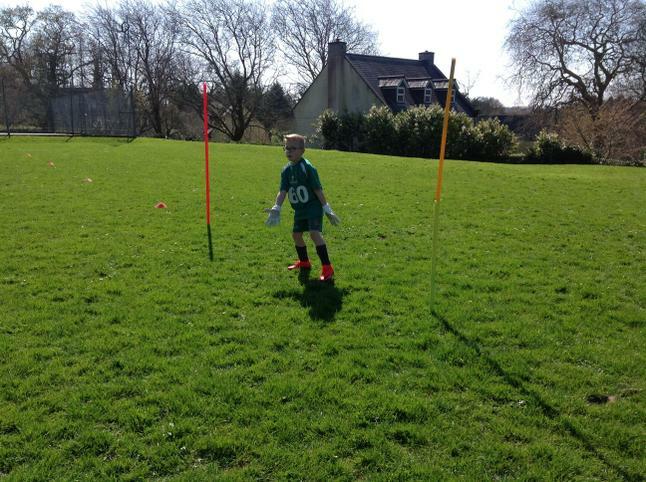 After another few games we started the skills challenge. 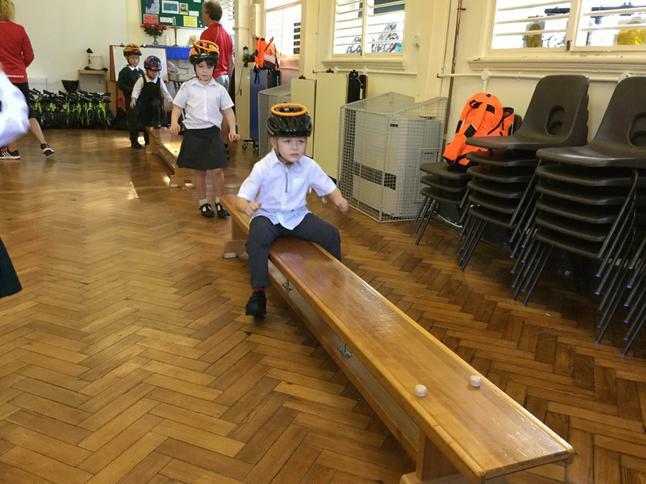 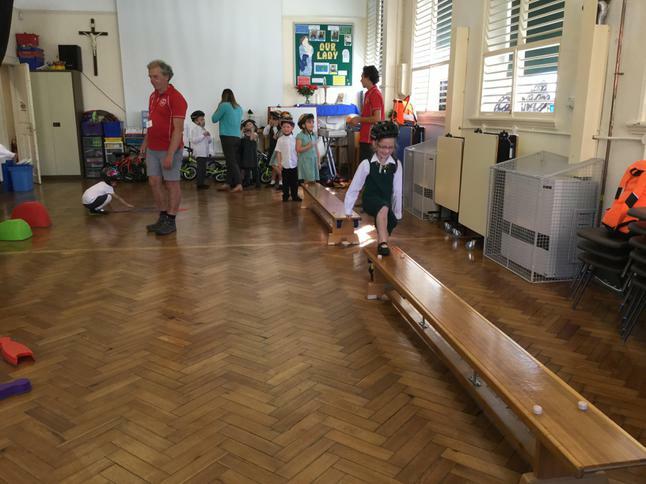 We had to flick the ball over many hurdles then hit it into hoola-hoopes to score points and then finally knock the ball of lots of cones in ten measly seconds! 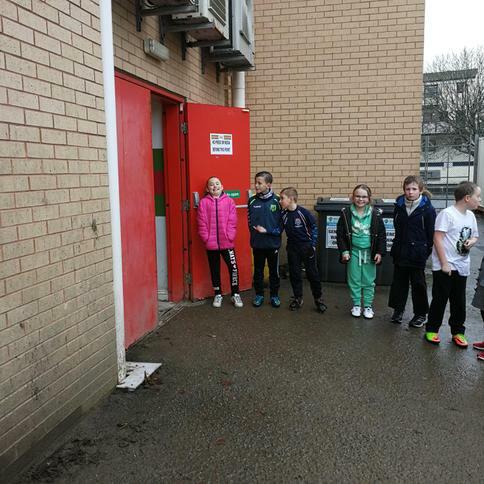 Having a long break before our next match of about an hour or so, we decided to eat our lunch. 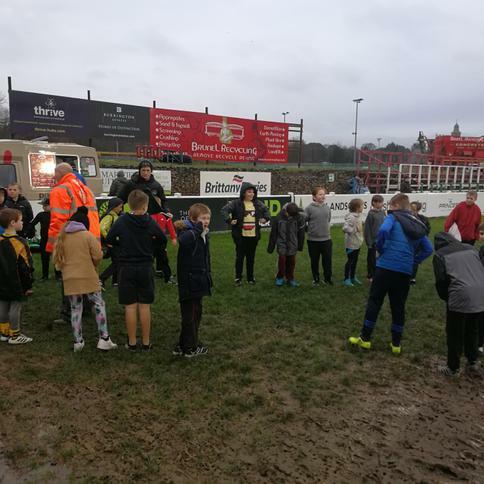 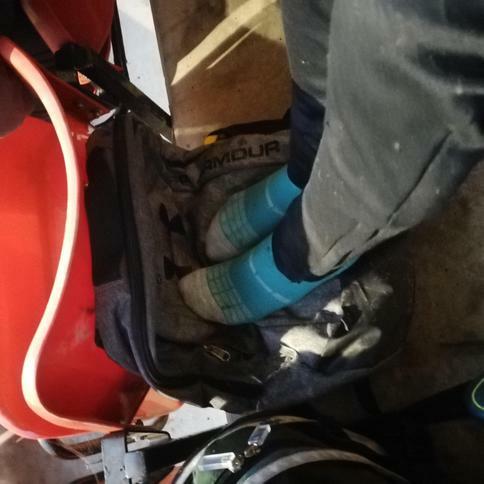 As soon as we had finished we practiced on a spare pitch because are next match was part of the play offs, which we desperately wanted to do well in. 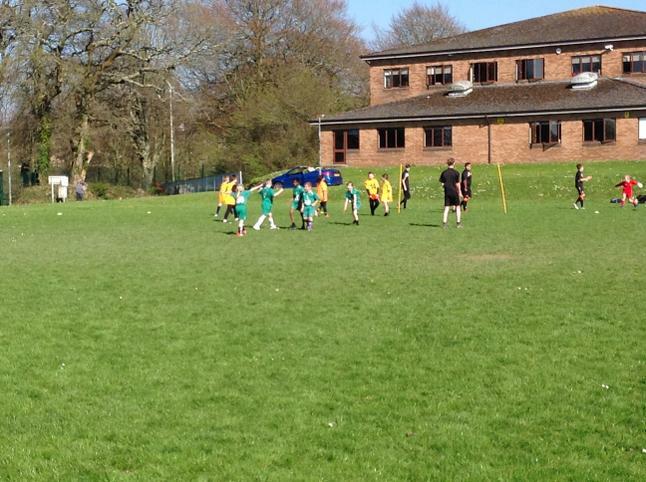 To practice we played a friendly with Hyde Park which we drew but the score did not matter as it was a friendly and not a competitive game. 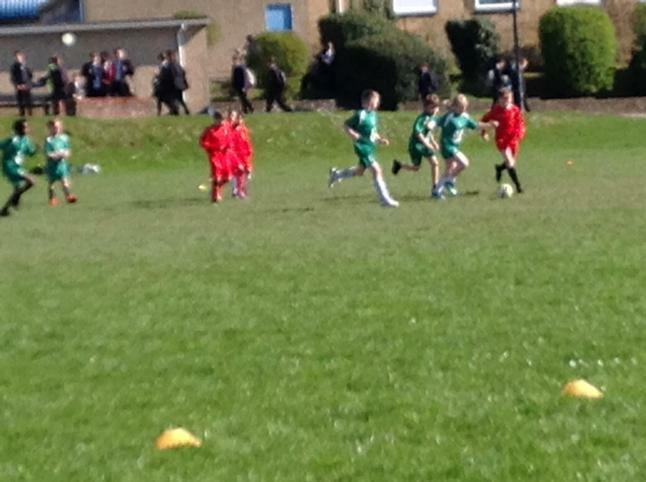 The play offs went well and we started as we meant go on winning 2-0. 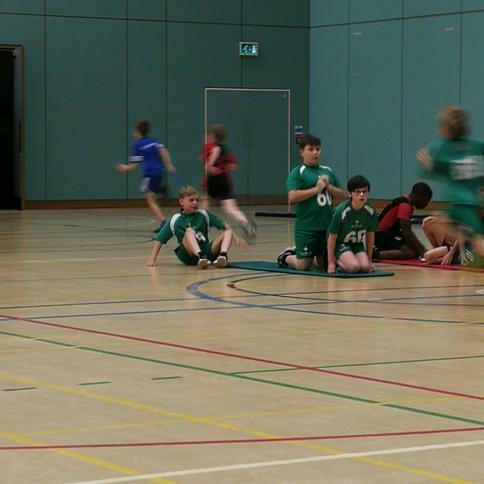 Next match we tried out new positions. 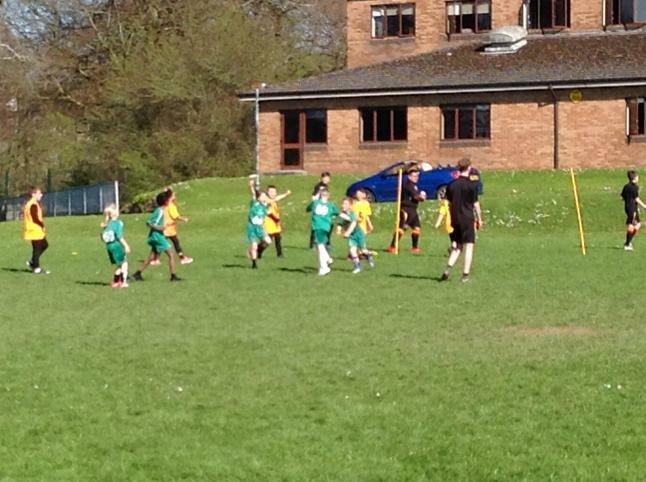 Me and Finley in defence, Bryony and Ellie-Mei on wings, Tyler in midfield and Isabella up front. 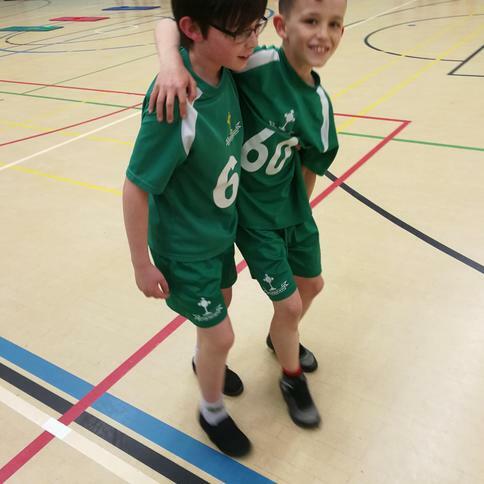 That match was the semi-finals against Compton B and we won by just one goal, we shook hands more thoroughly than ever as it was so close at the end of the match, those positions worked so well that we kept them. 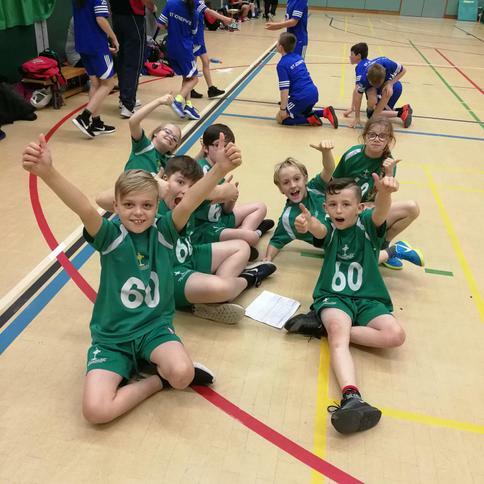 We, Keyham Barton, had made it to the final. 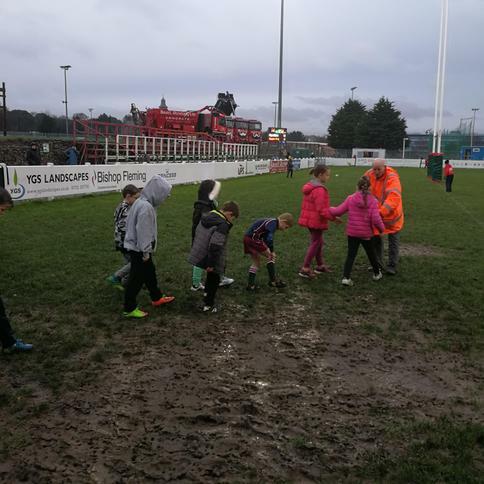 We were in place, the whistle blew, the game had started and we gave Horrorbridge our all. 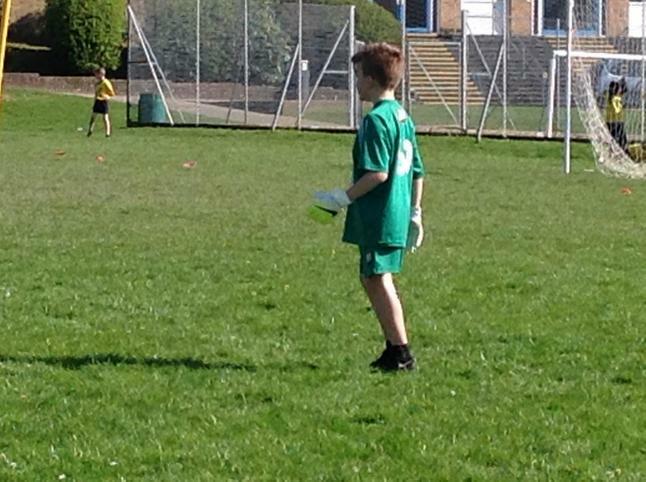 I saved one goal then another, but the third was too far away and hit the goal with a clunk, the whistle blew. 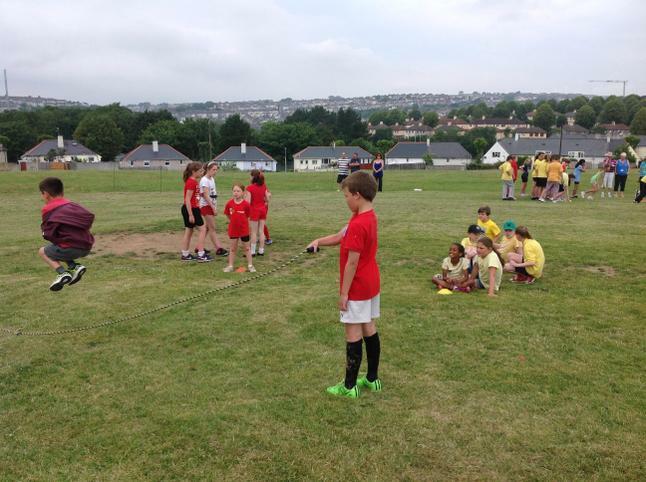 We came an honourable second with silver medals we had done well!!! 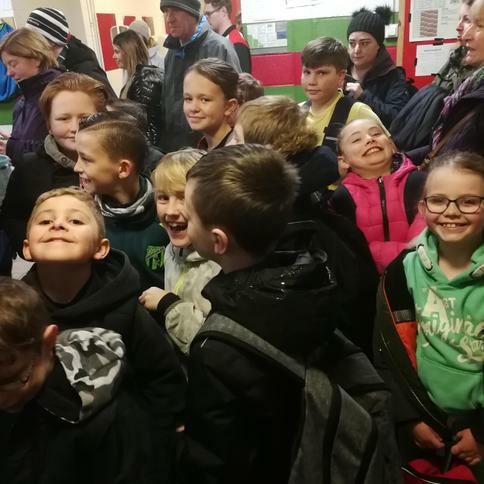 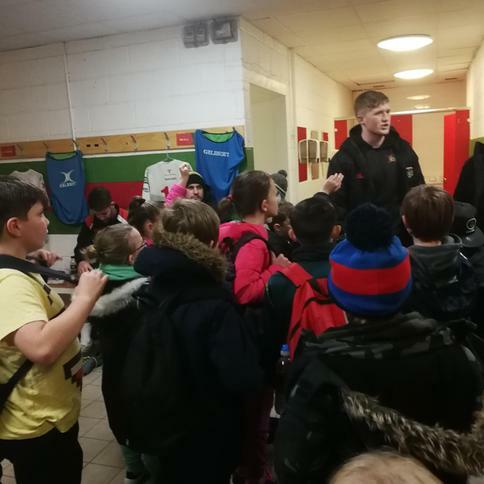 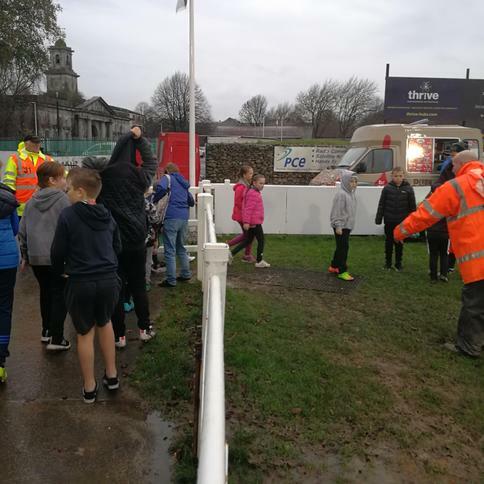 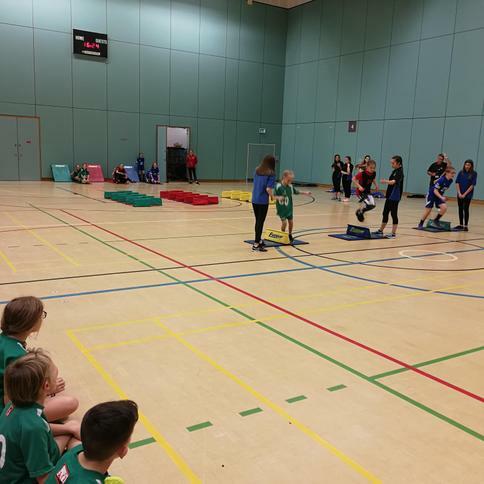 On Monday the 10th of November Keyham Barton year 6 pupils took place to have a day of rowing as practice for the real competition. 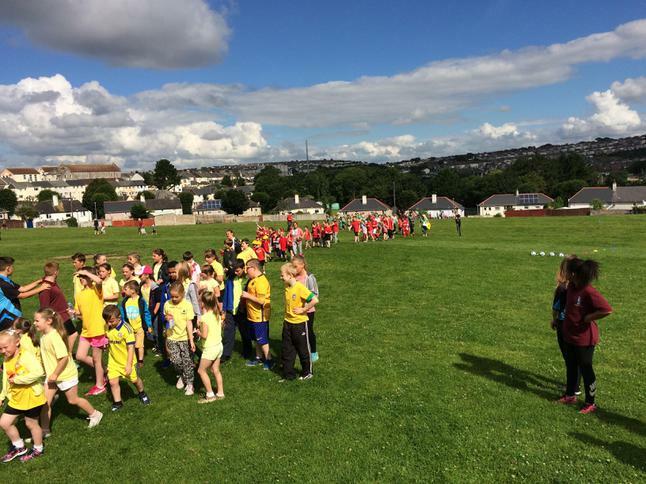 The event was lead by Kevin Sellar. 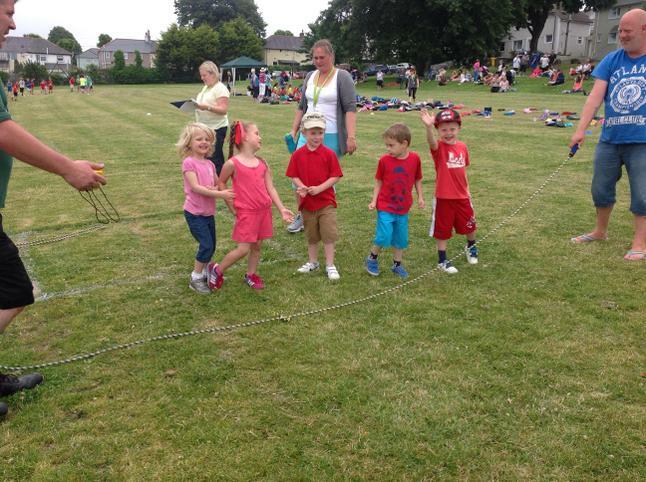 We had great fun!!! 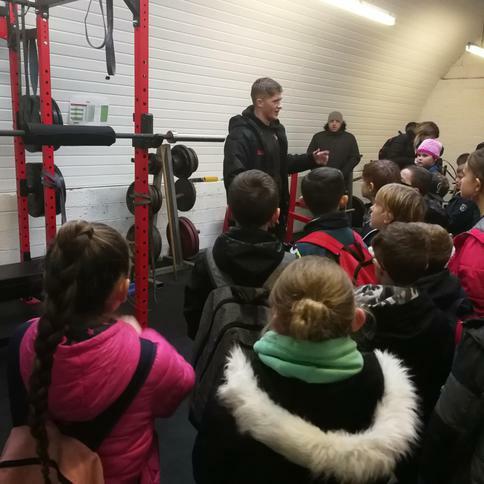 Kevin is a very good instructor for rowing because he knows what he is talking about and it helped us with learning to get better at rowing. 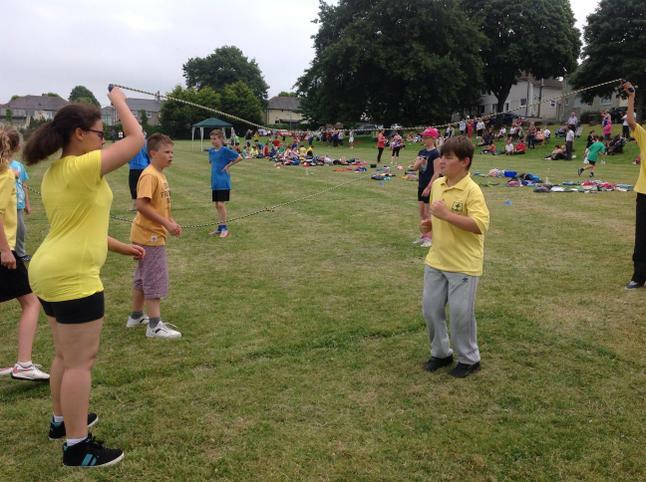 When we did singular rowing I came 2nd place twice and I was only a few rows behind Eva. 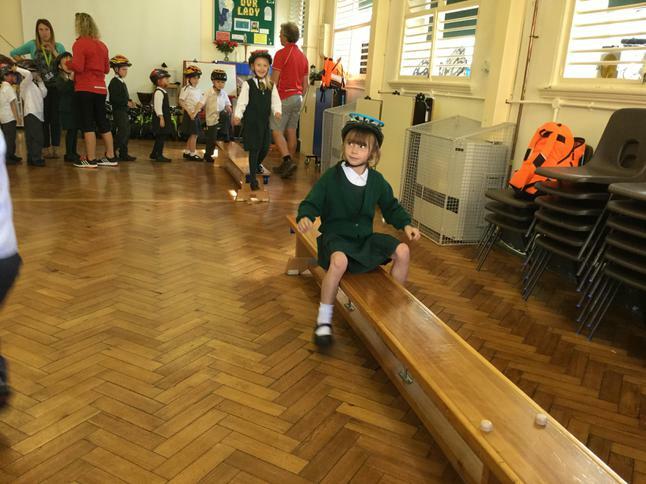 The second time we did rowing on the day, we were put into groups. 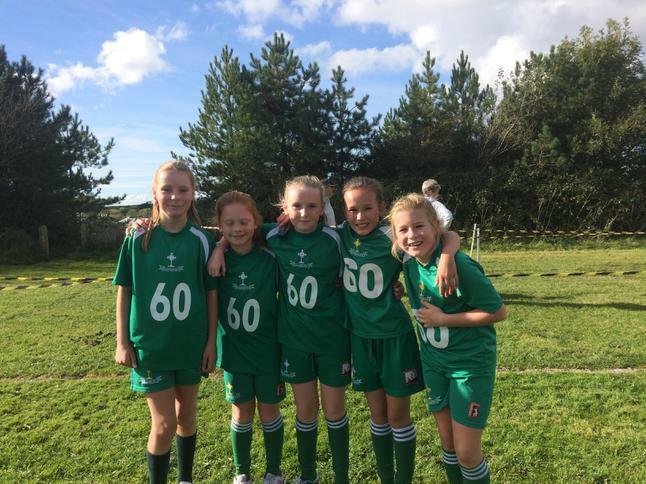 All the tall people (me, Isabella, Eva and kind of Grace) were in a whole team together. 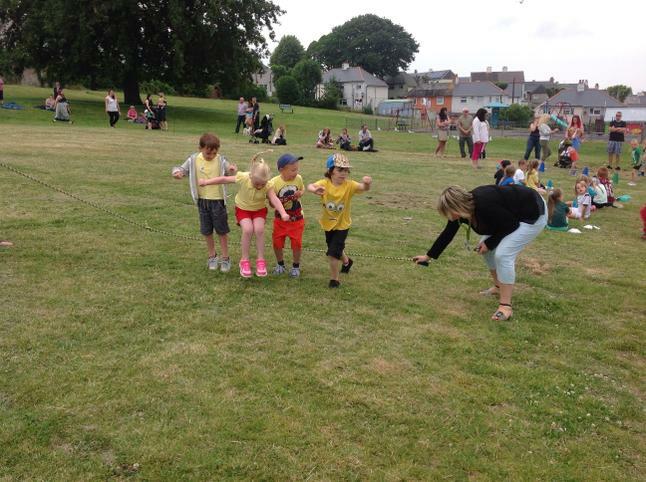 Whenever we did group rowing, my group came first. 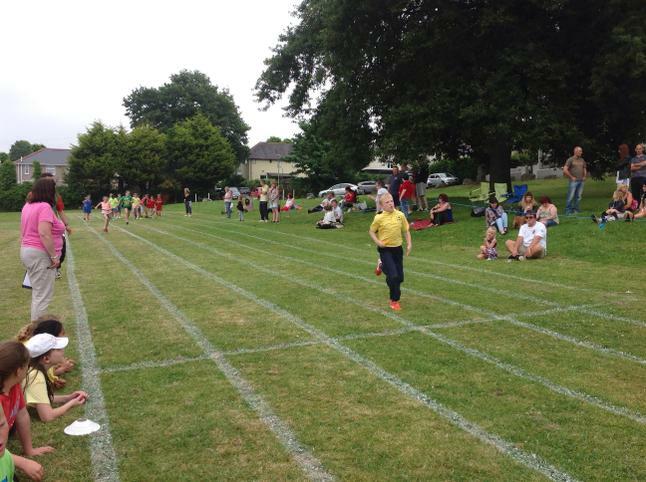 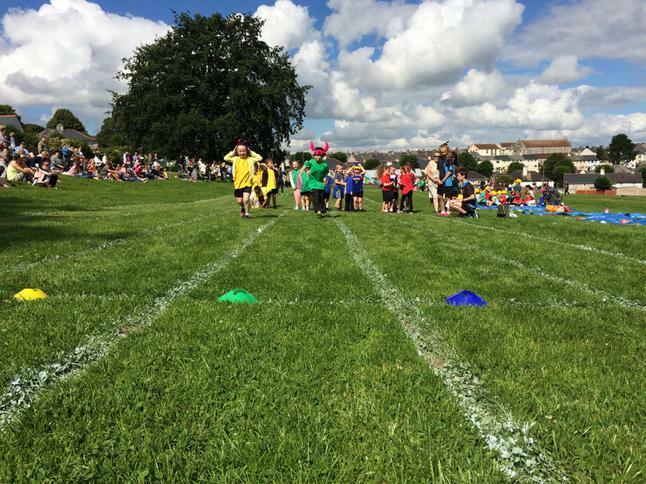 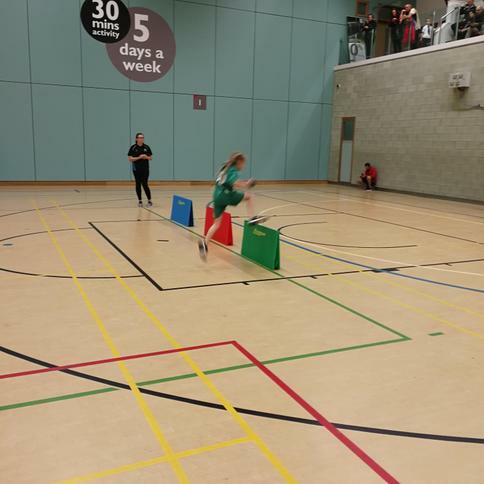 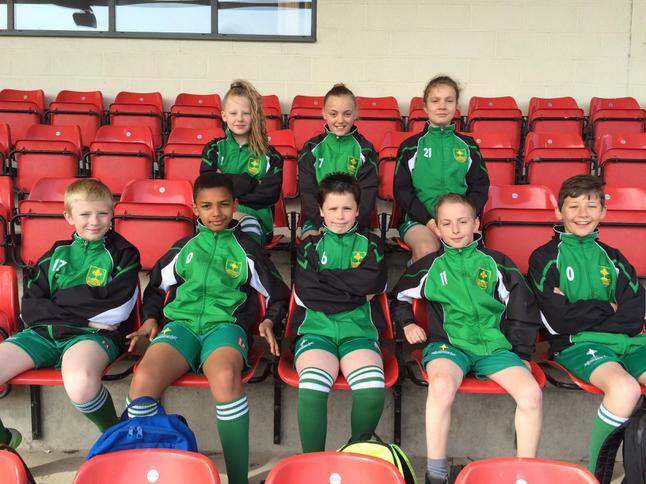 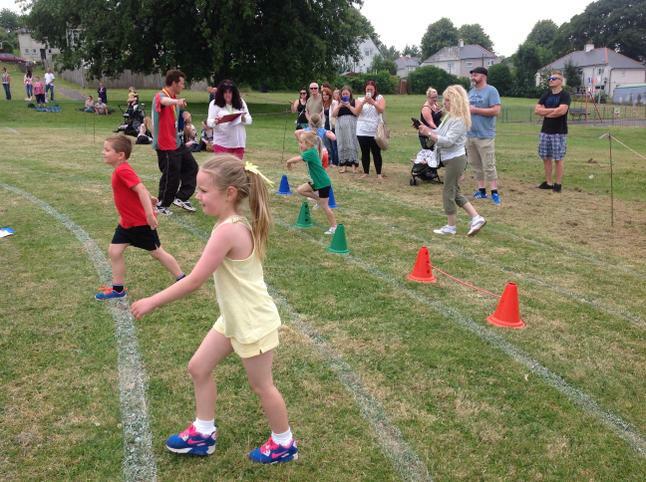 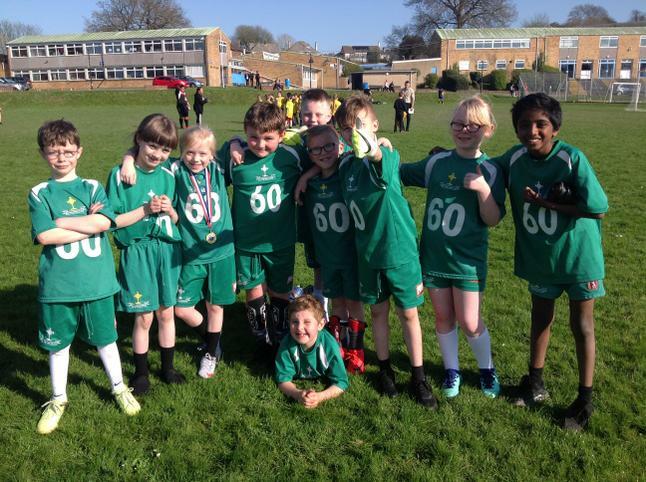 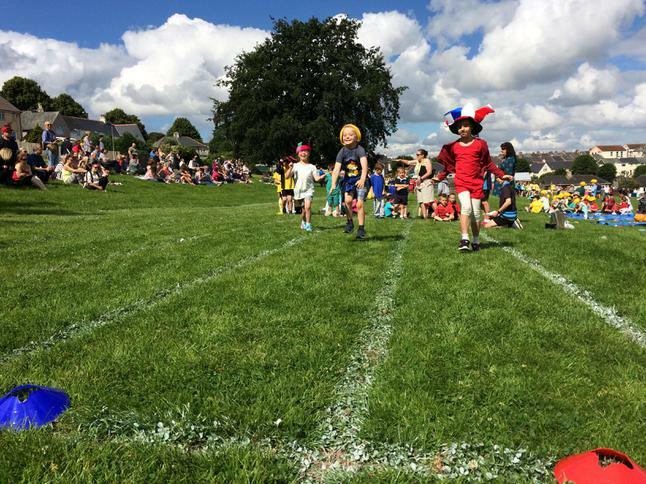 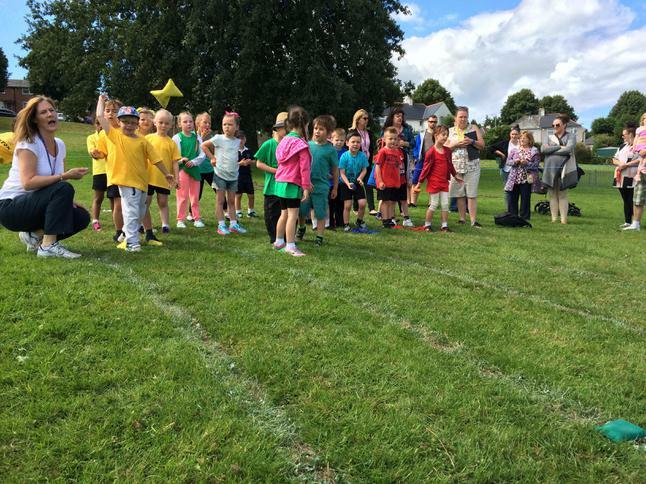 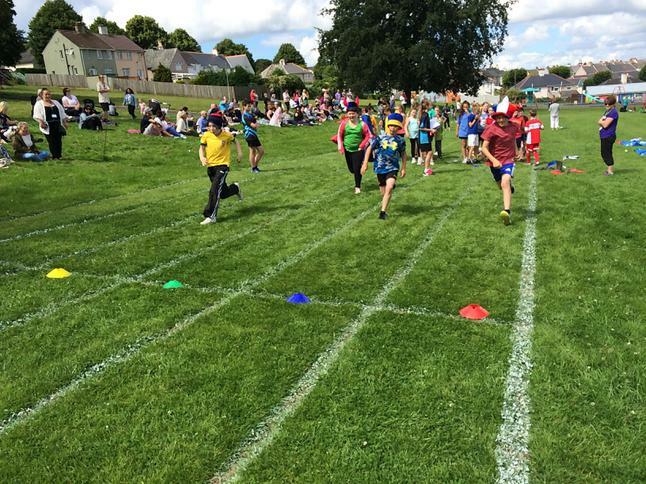 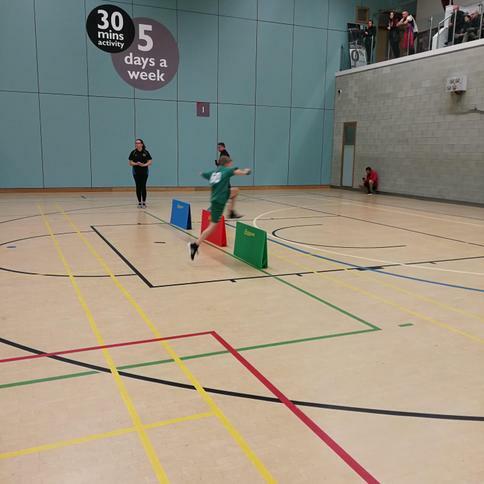 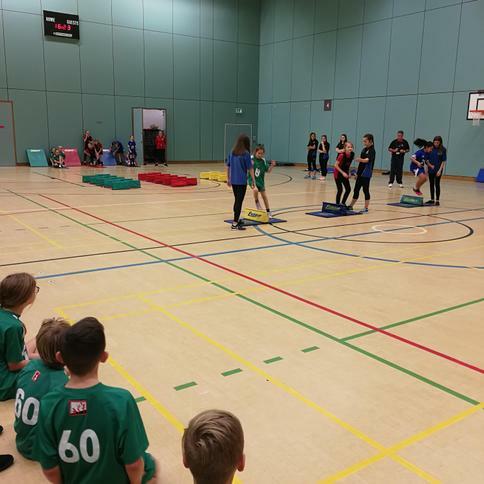 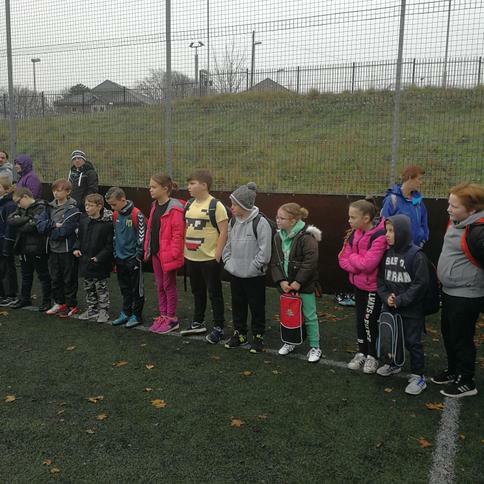 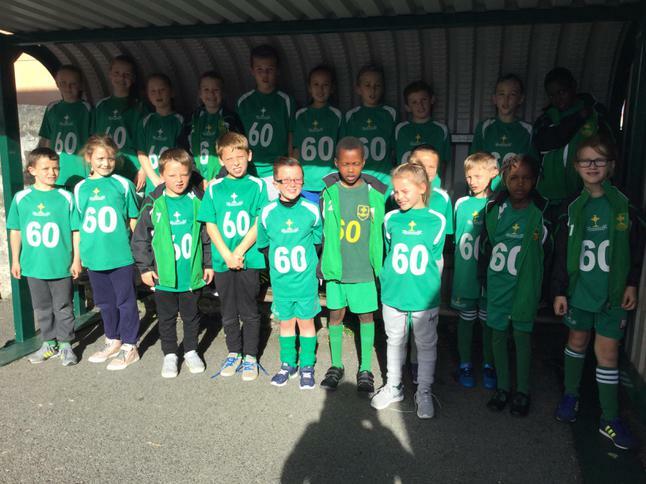 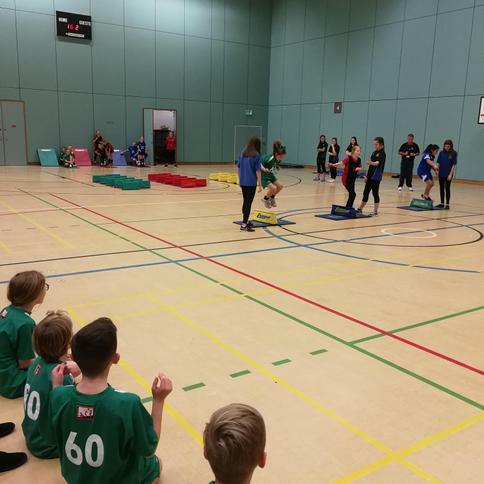 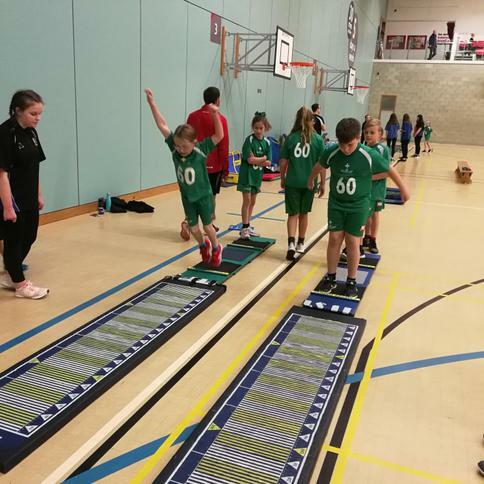 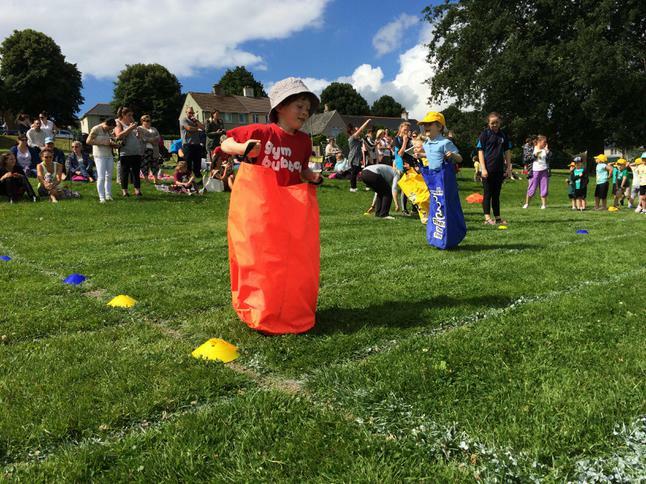 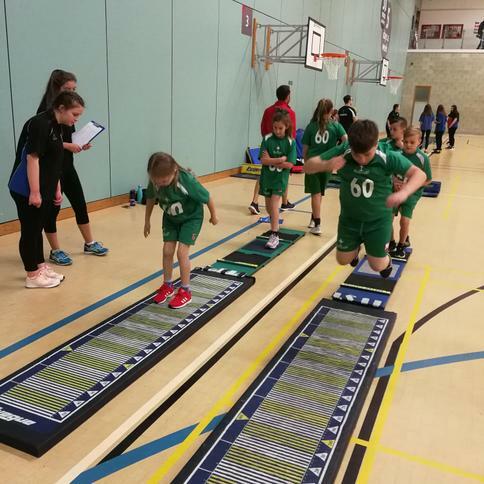 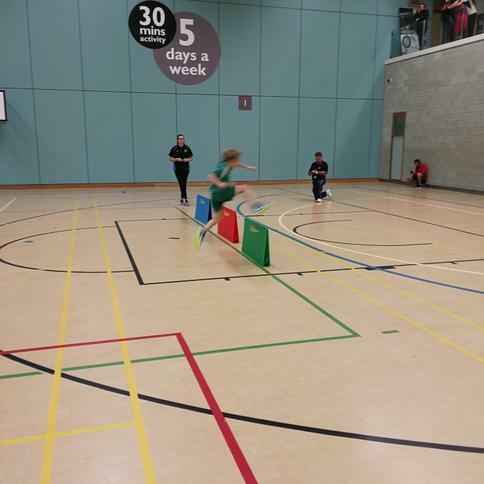 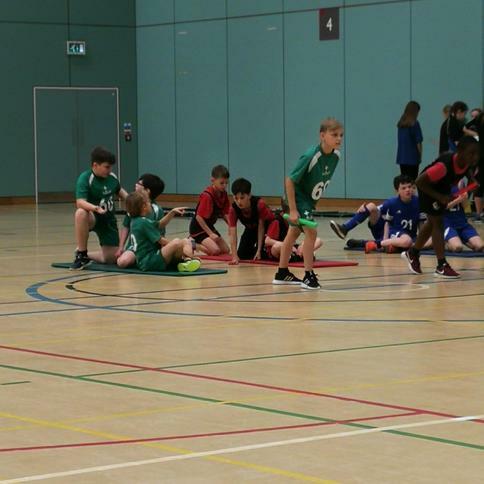 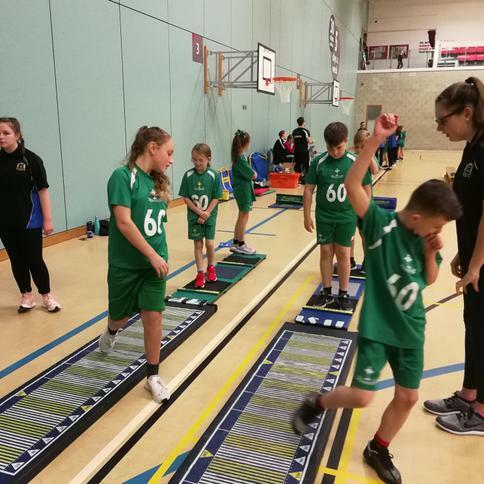 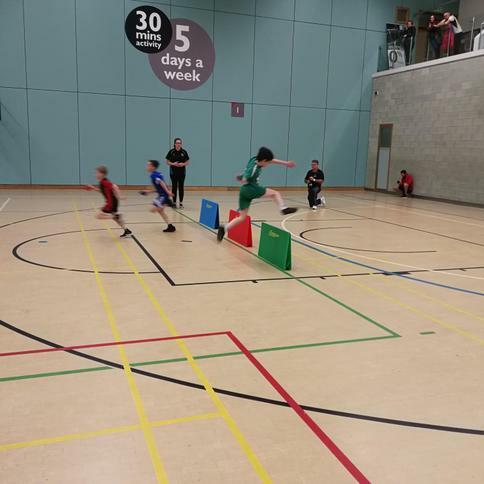 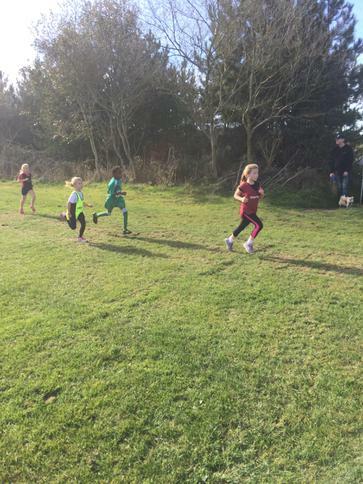 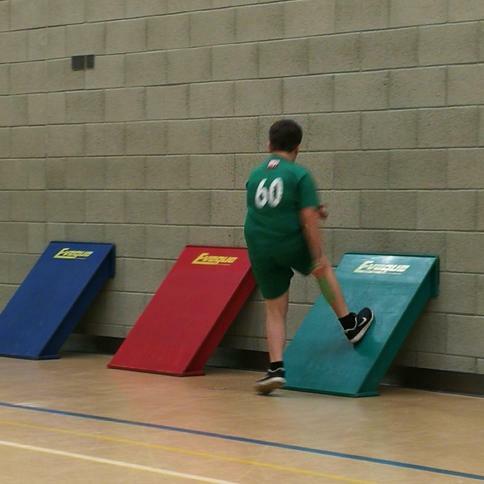 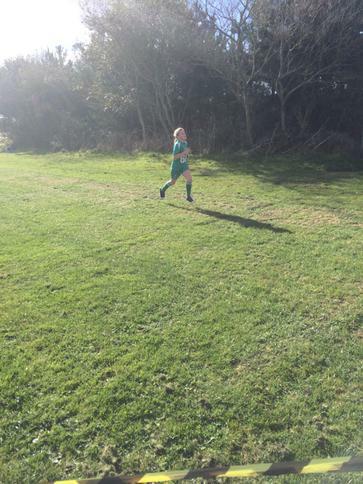 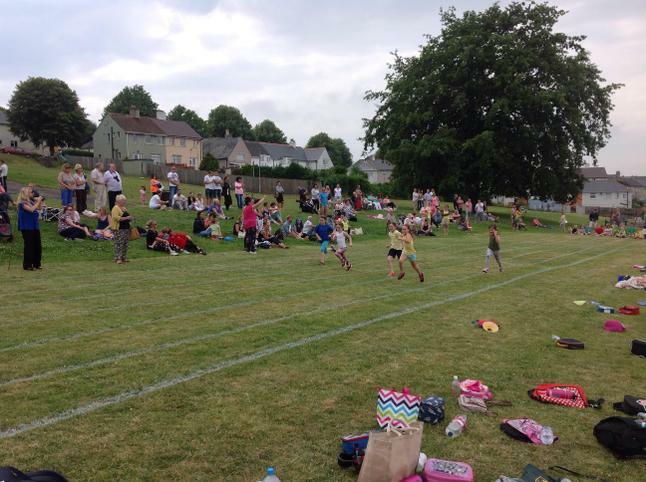 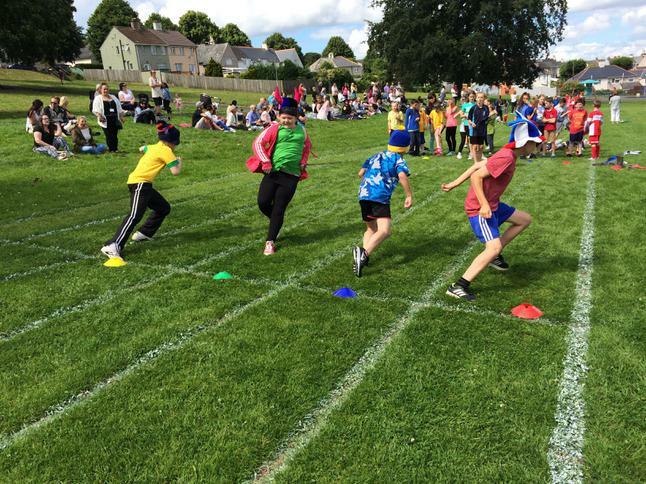 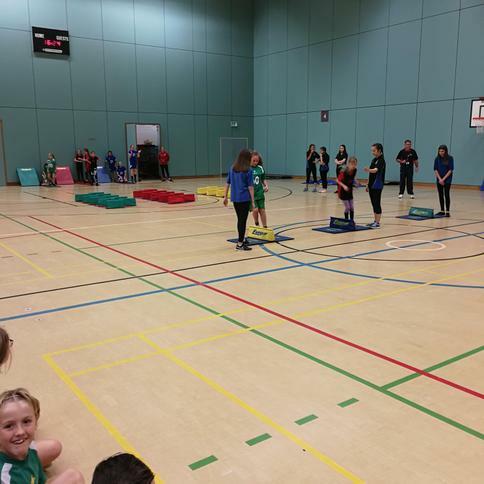 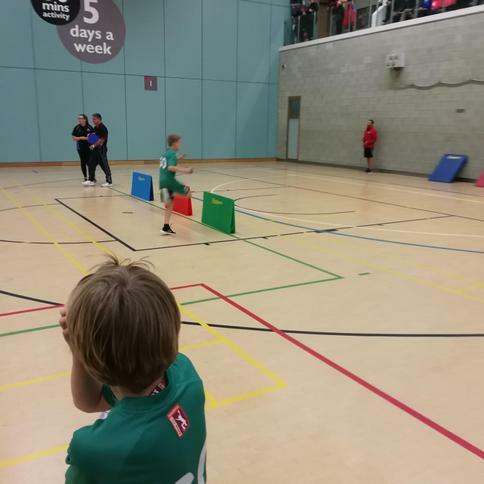 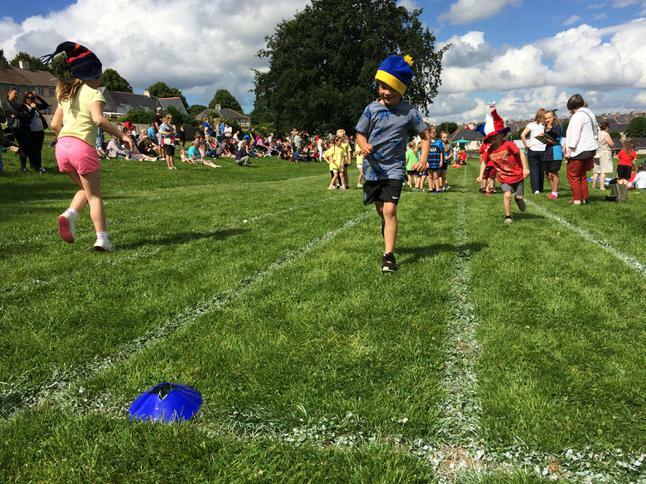 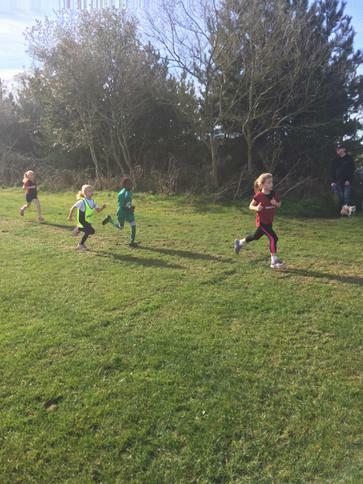 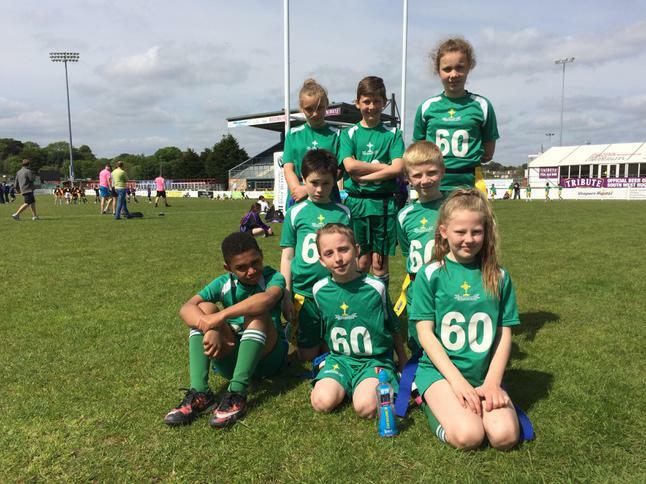 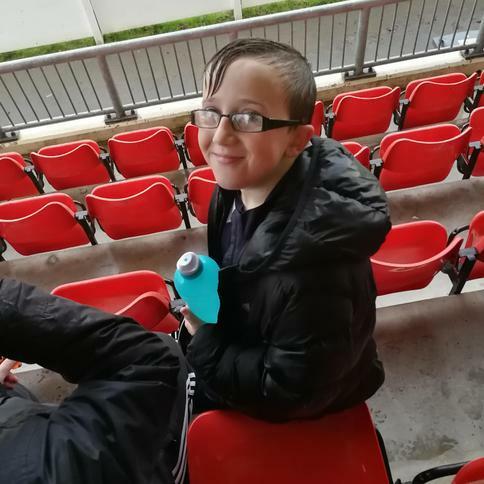 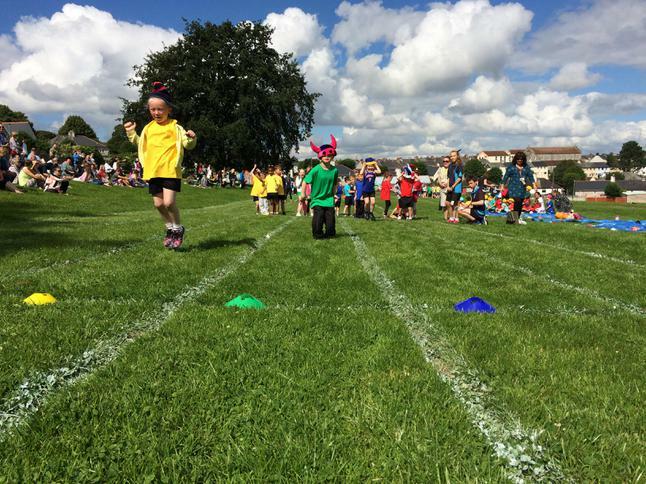 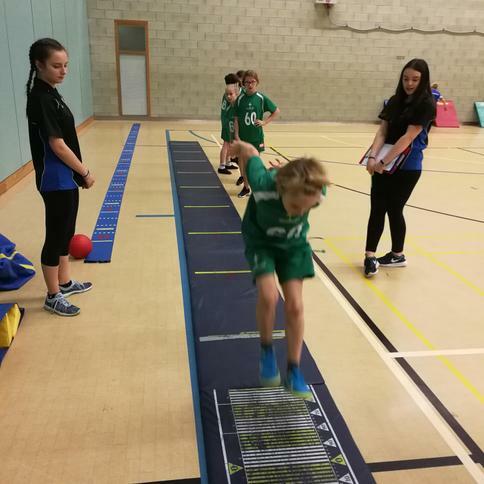 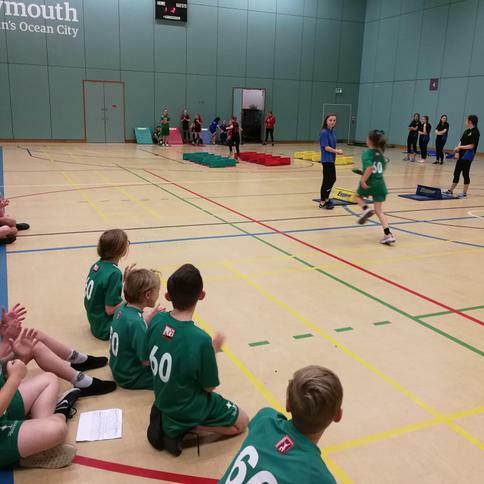 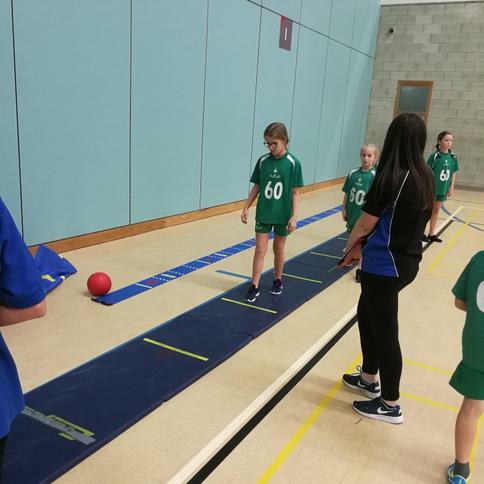 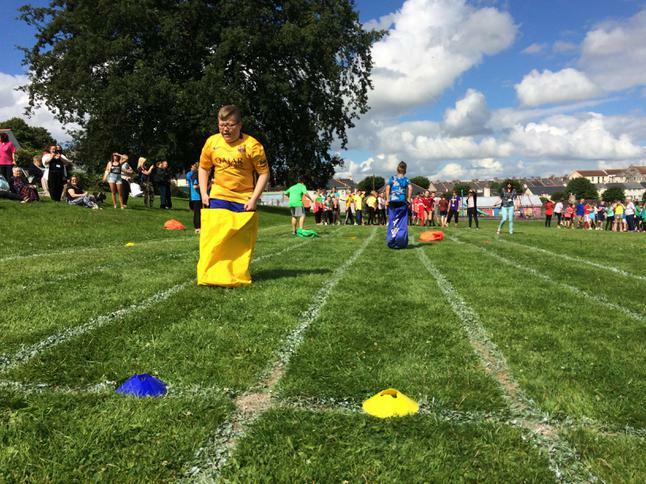 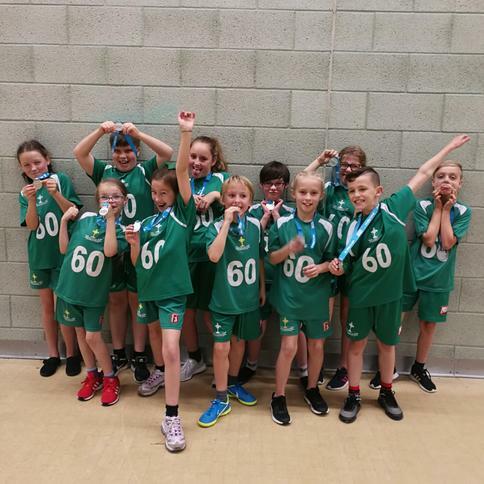 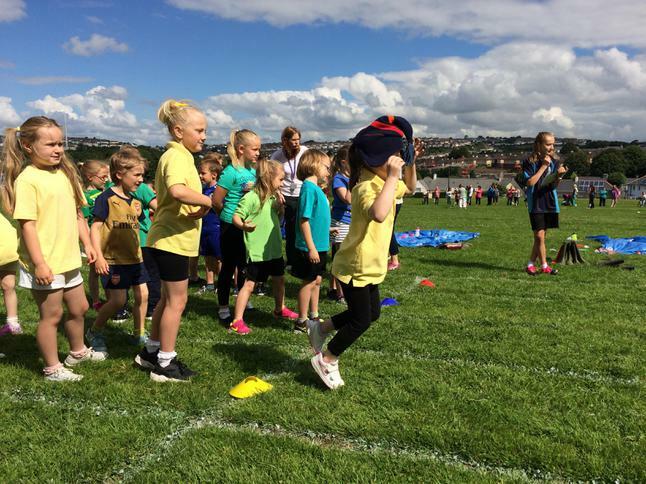 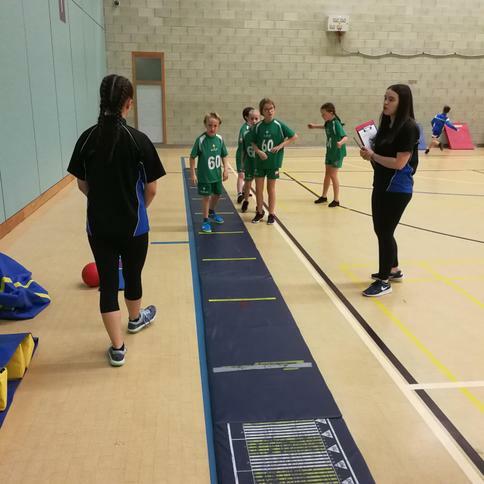 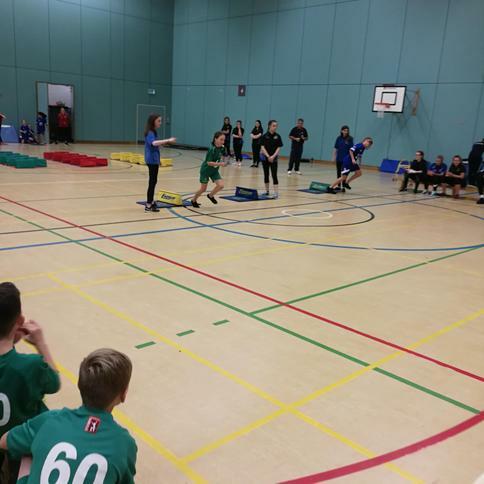 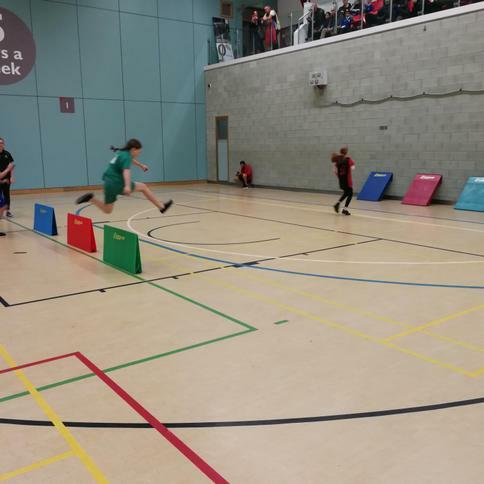 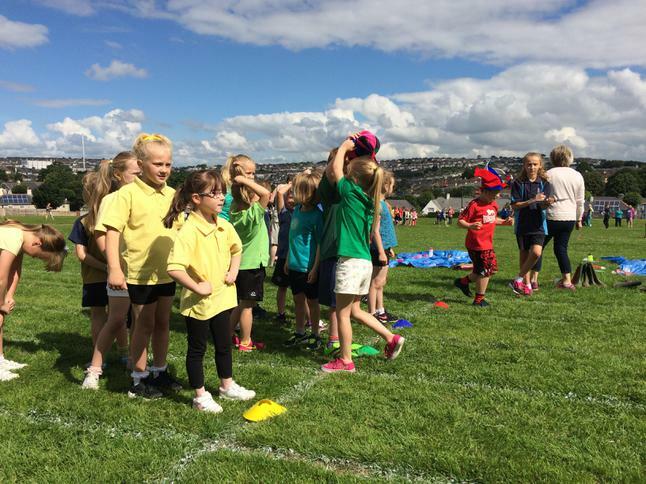 Lvl2 Athletics at Norte Dame: Athletics report by Ellie-Mei In this event,in Notre dame,Keyham Barton came 3rd with a medal and certificate. 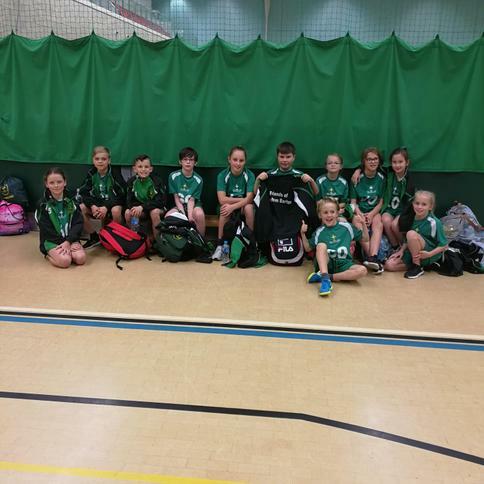 At the start of the competition,Keyham Barton were very nervous but we finished in a great position ,which was 3rd place. 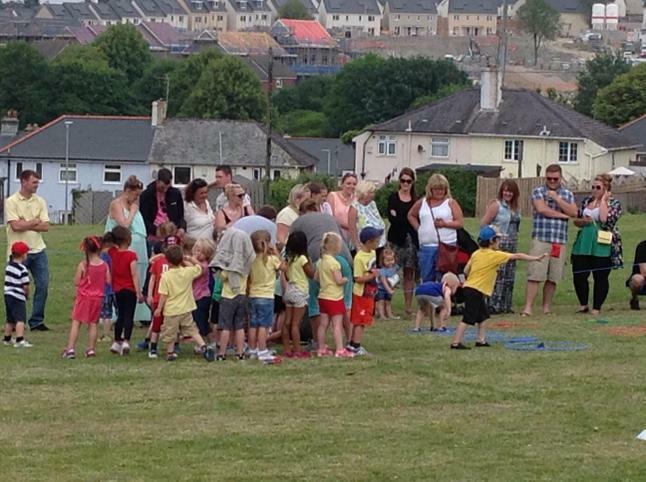 We had great fun on this event. 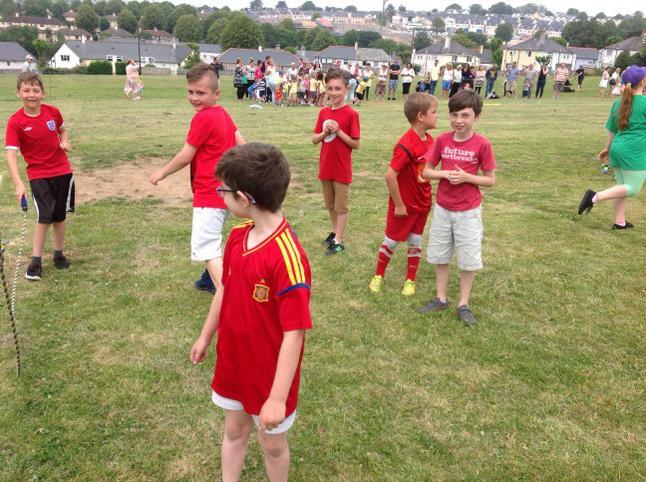 Everybody noticed that we were getting better because last year we came 4th. 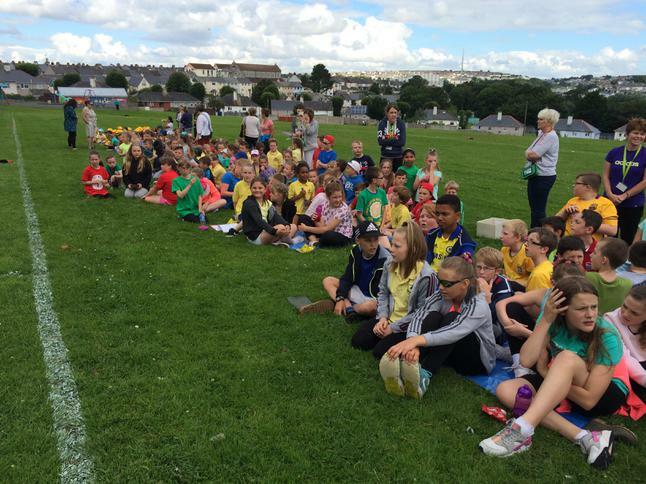 Mr Philips(our coach) sorted the event for us to go. 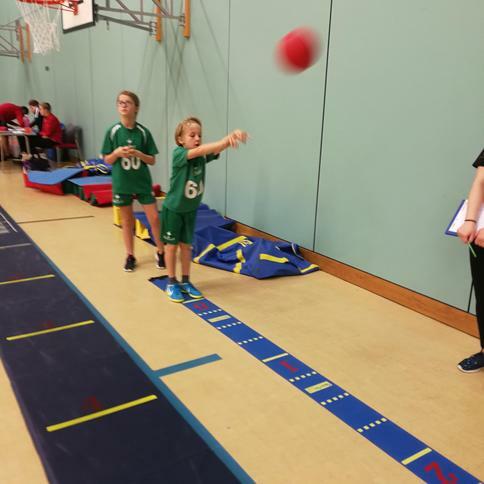 He is a great coach and let us choose our own events. 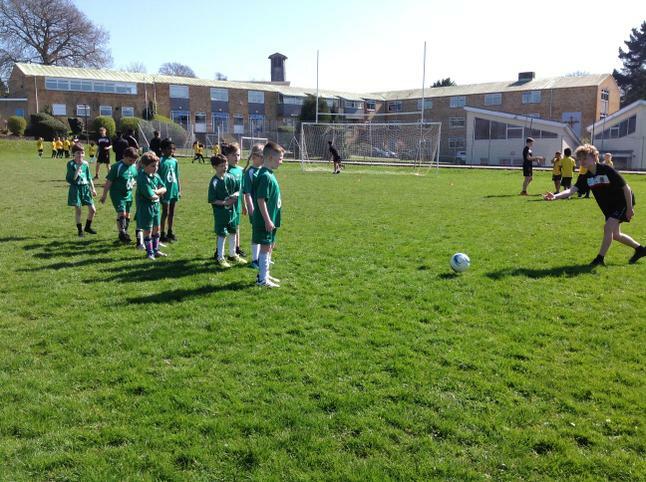 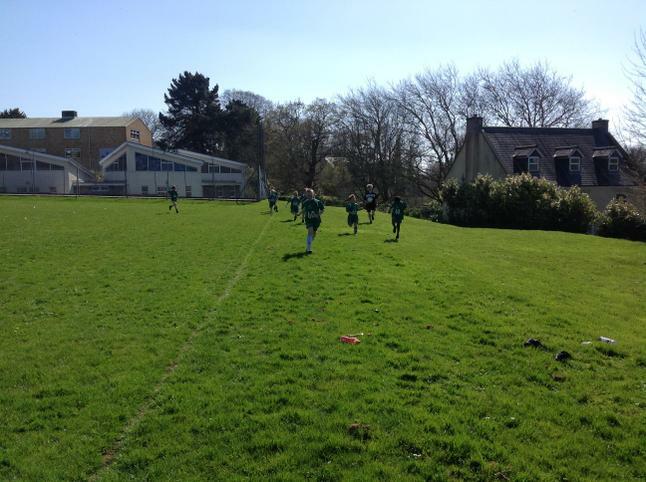 Our team cheered on St Peters,since yr6 had a great time at Grenville house with them. 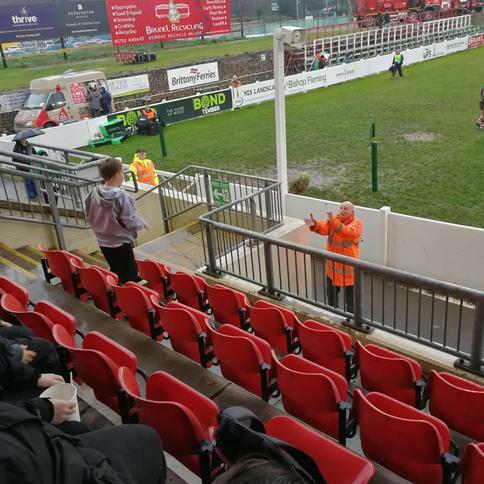 They came in a great place at the end,which was 1st. 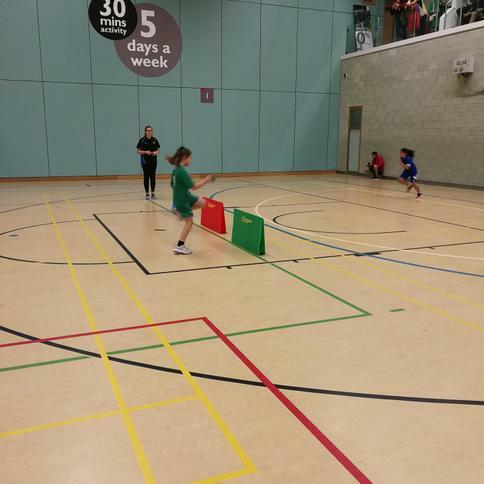 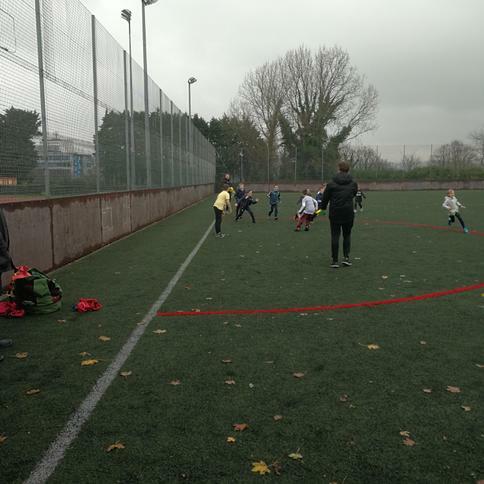 2016/17 Sainsbury's School Games Level 2 primary Quicksticks hockey @ Brickfields. 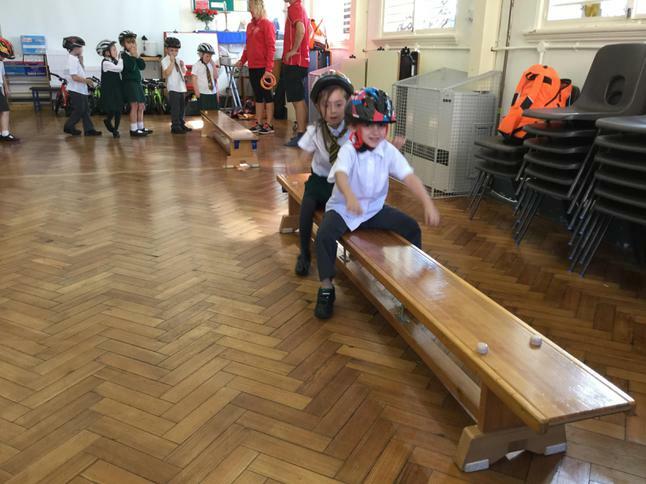 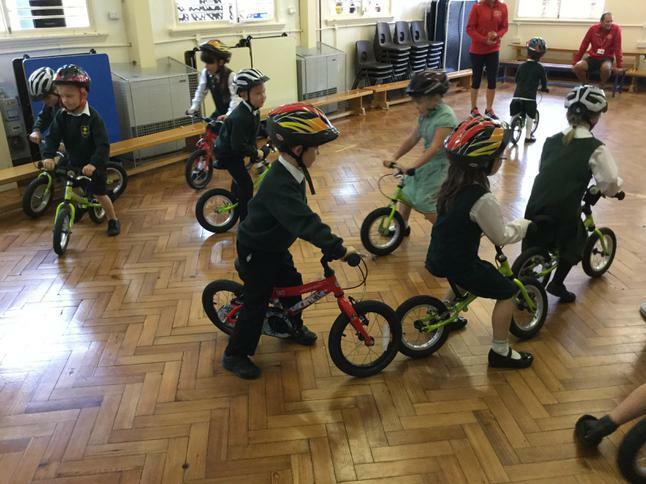 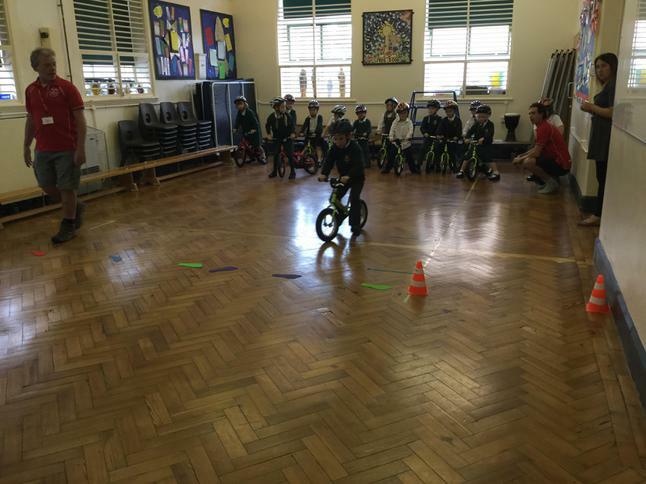 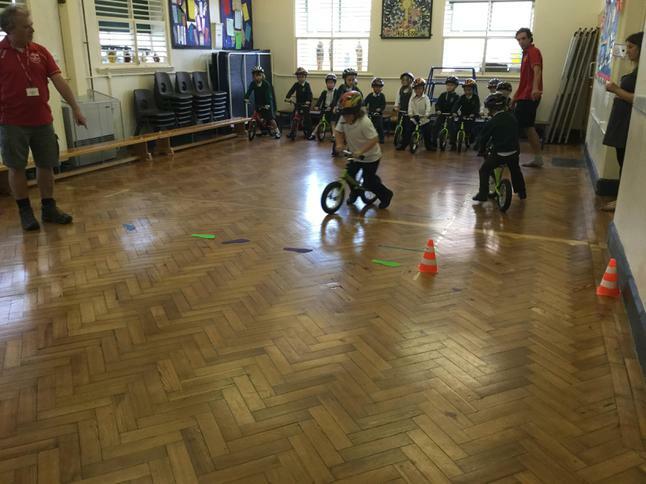 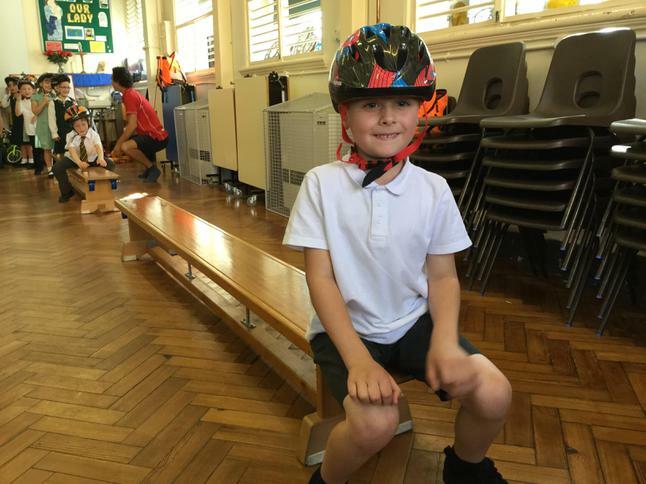 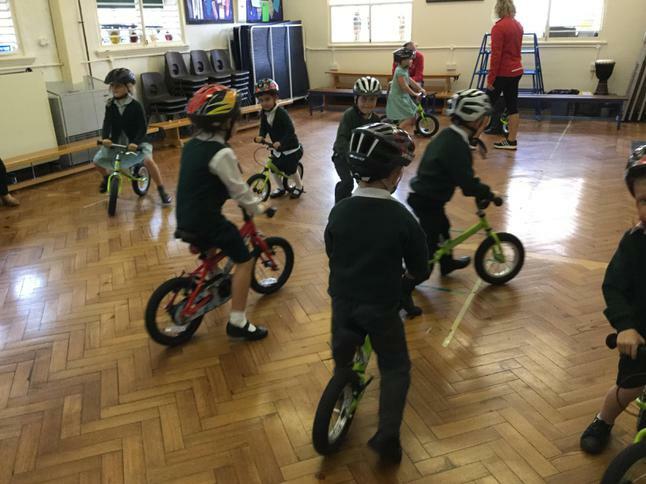 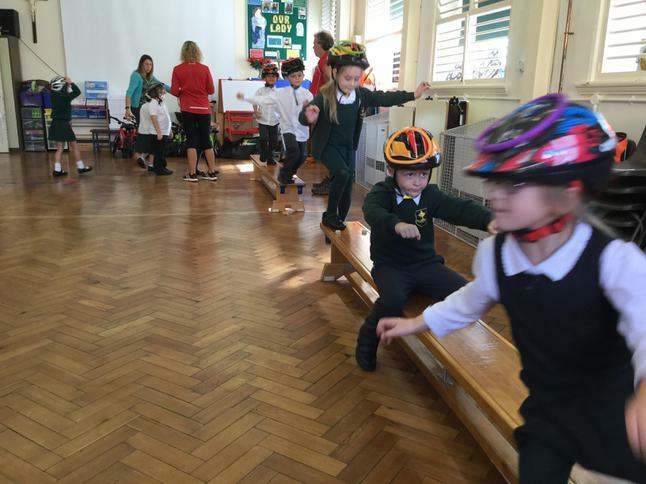 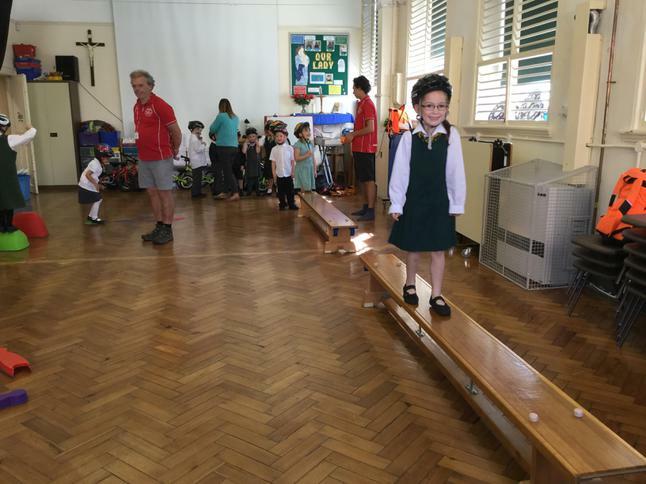 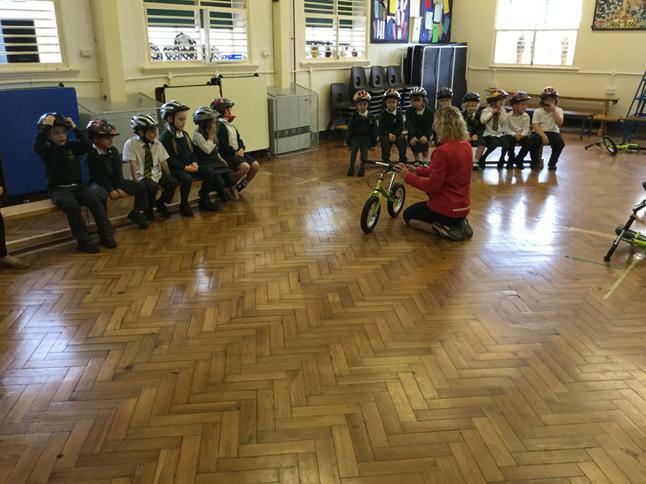 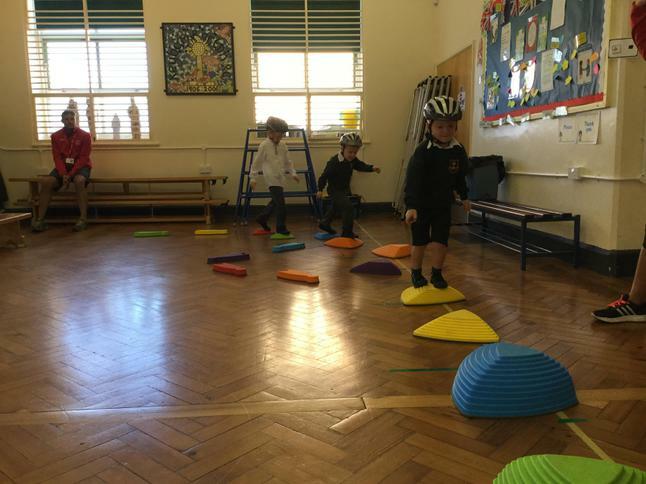 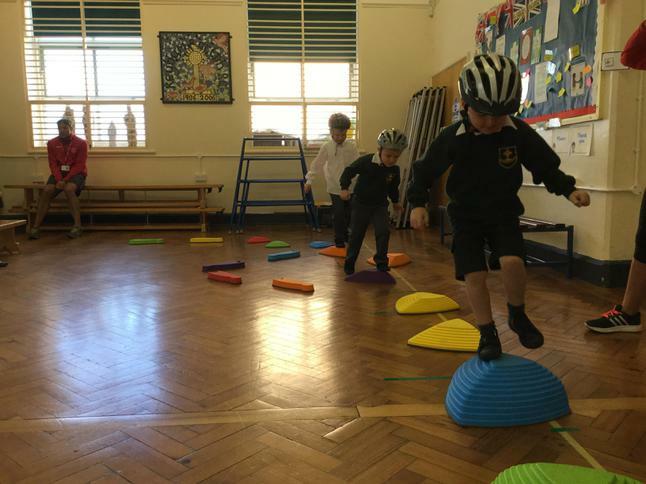 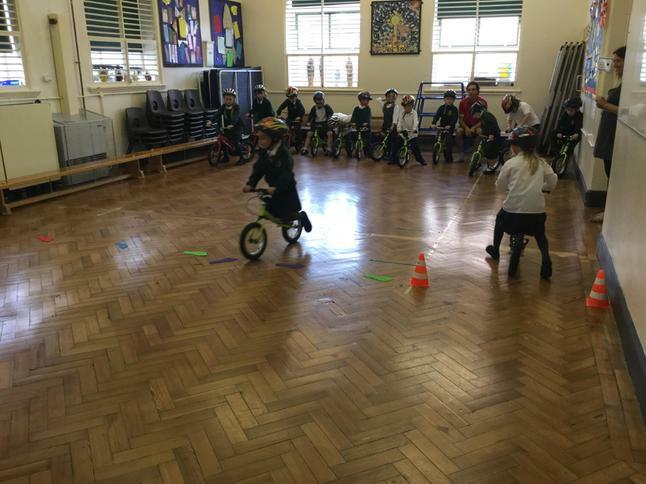 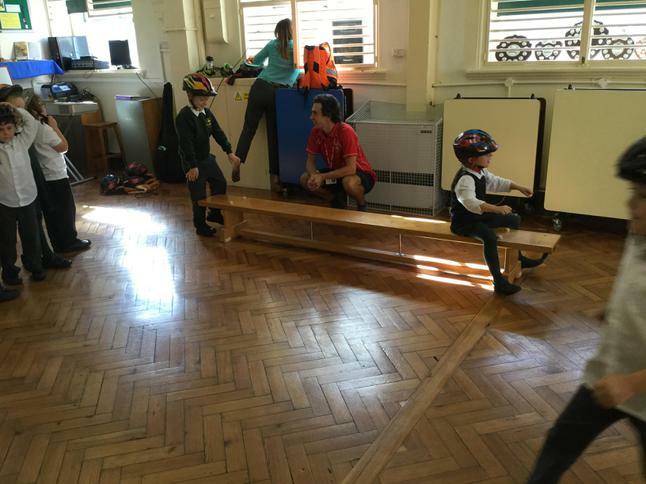 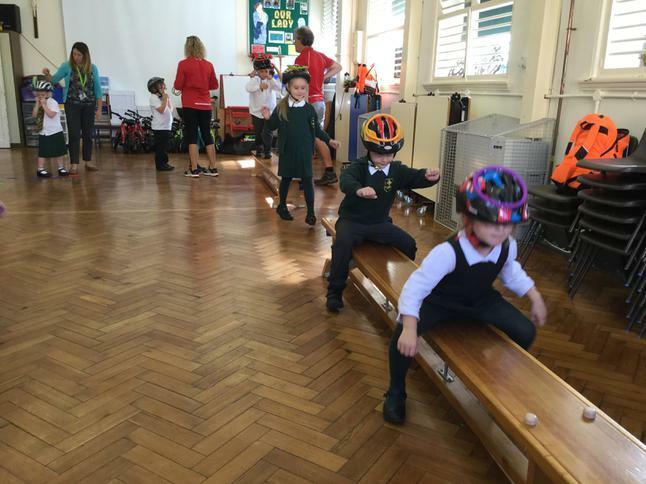 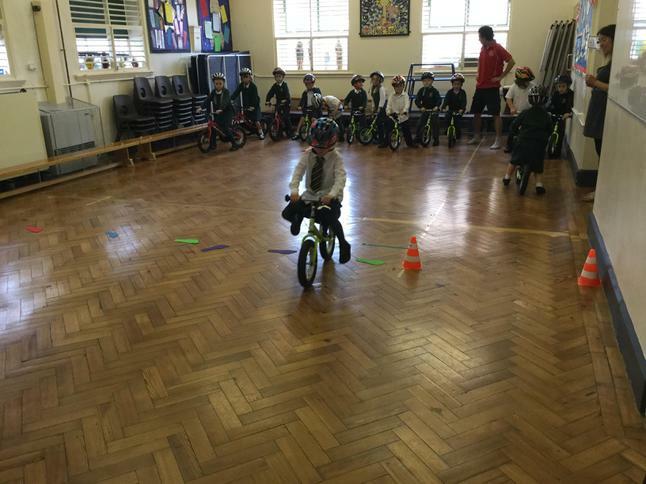 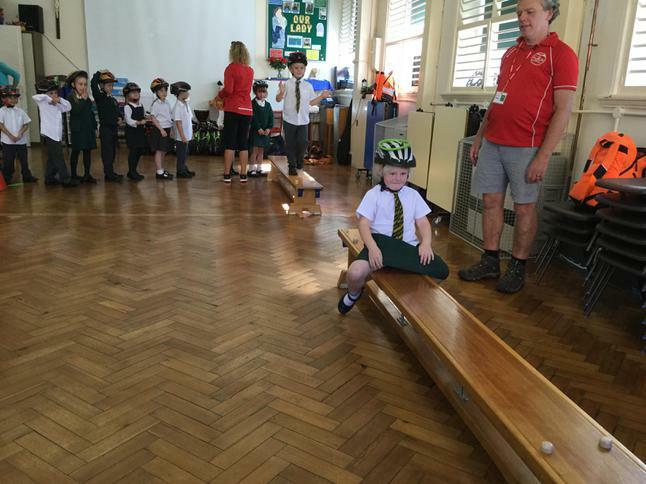 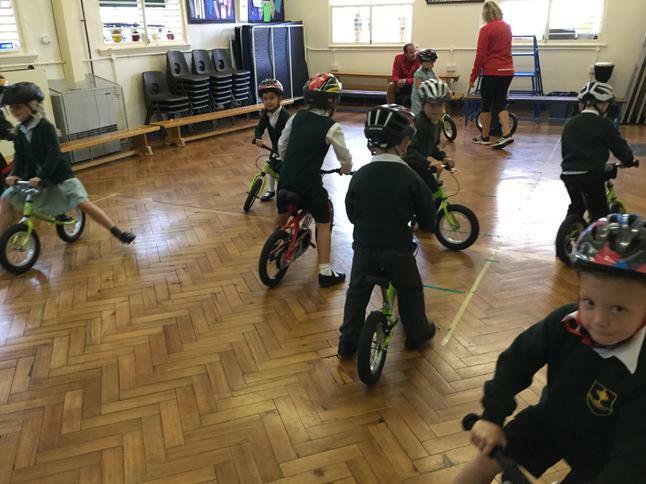 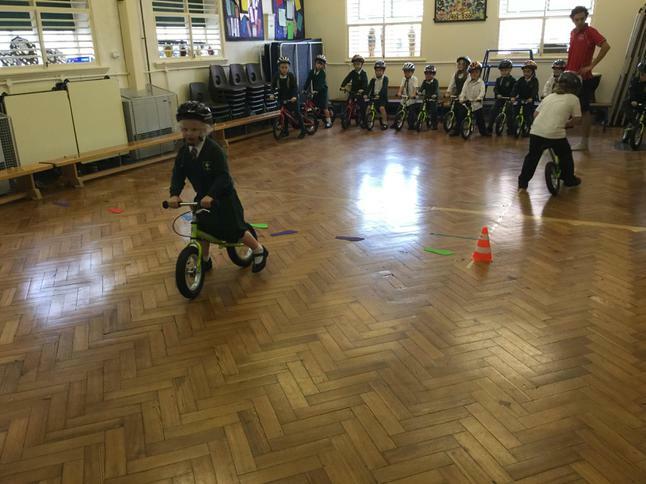 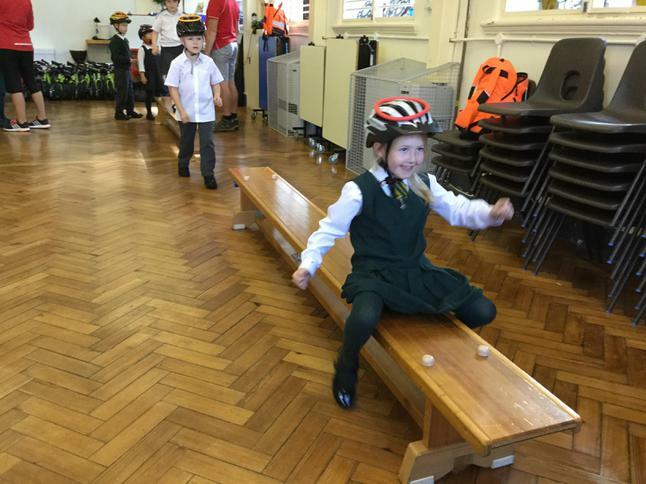 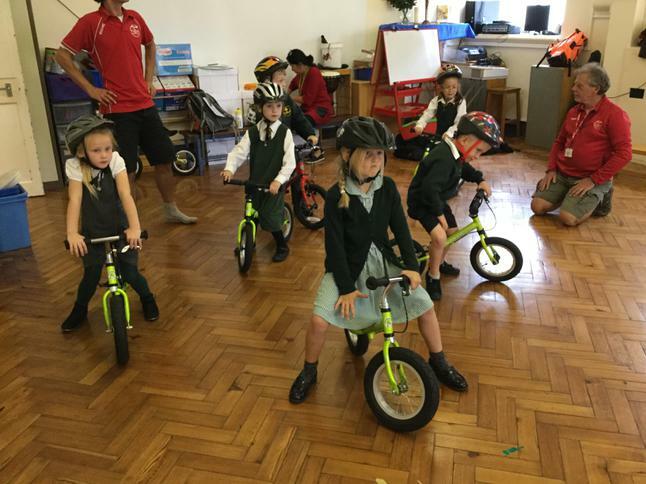 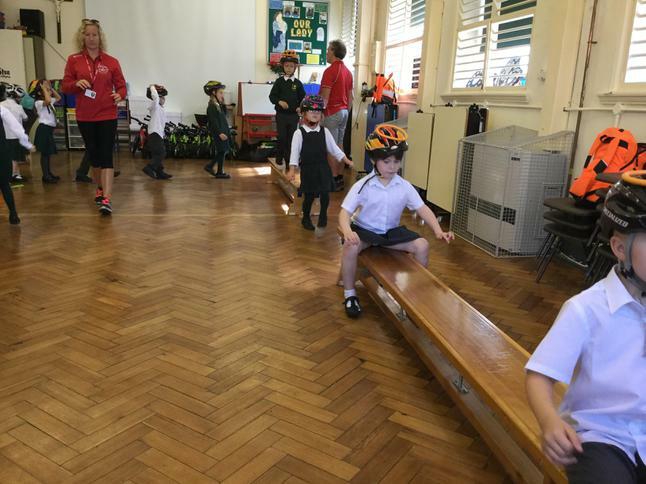 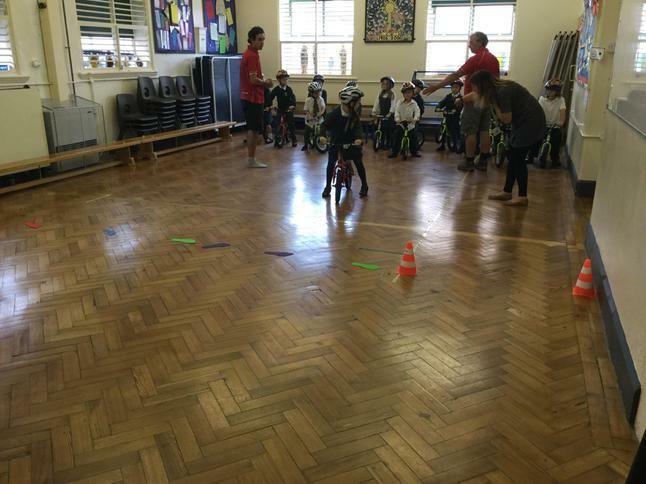 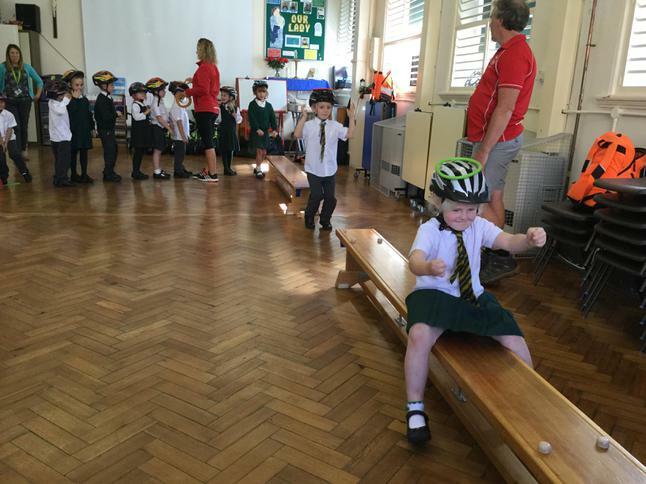 2016/17 PSSP bikeability and balanceability. 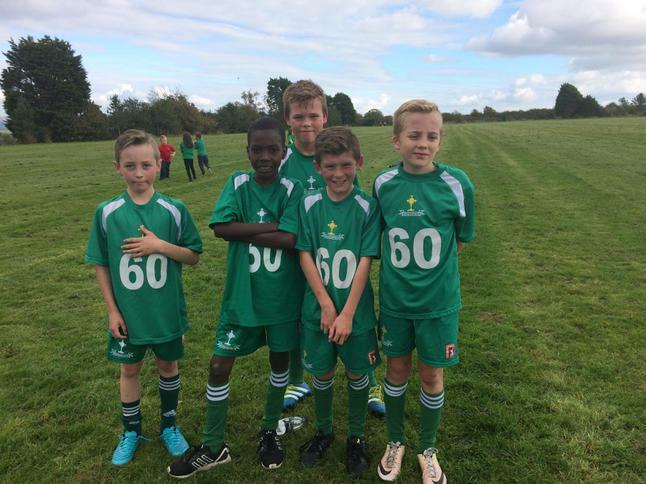 2016/17, our first football fixture of the new school year against St Joseph's. 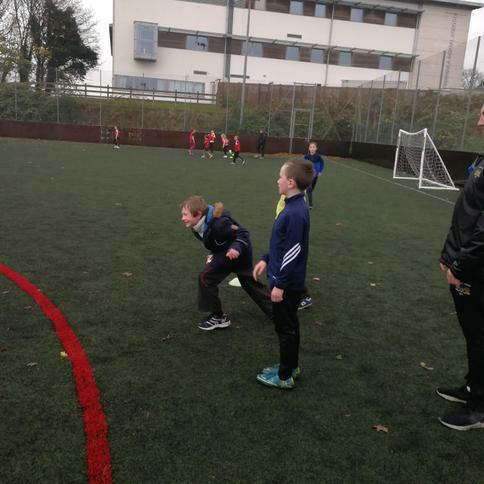 Thank you to Mr Benwell our football coach. 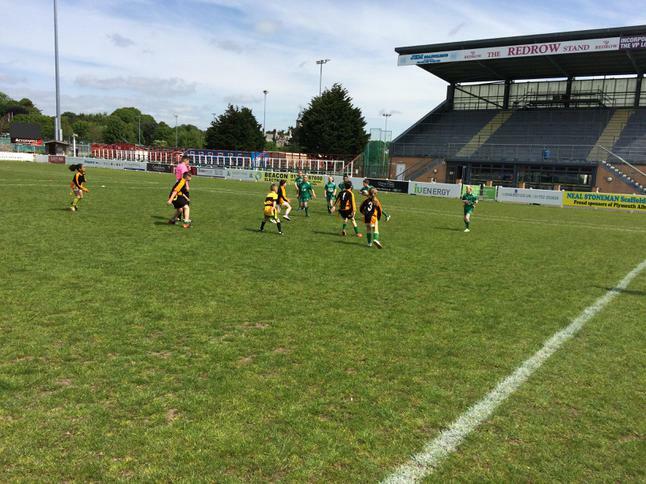 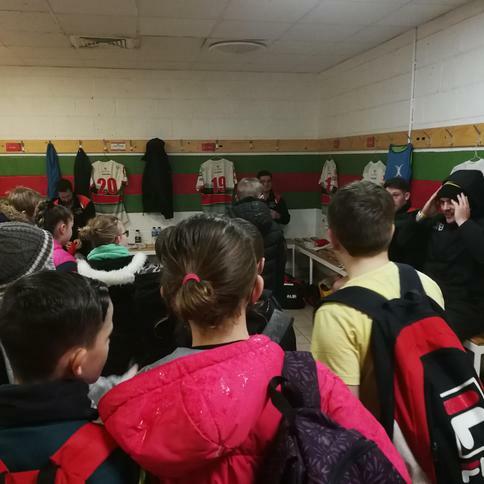 We played saint Joseph's at there ground.The score was 3-2 to Saint Joseph's.The experience was amazing aspetioionaly against under 11s. 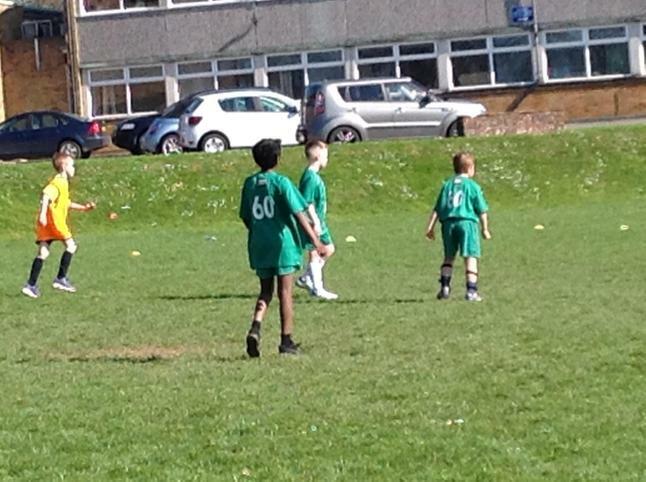 The score wasn't fair.We had a lot more chances then them . 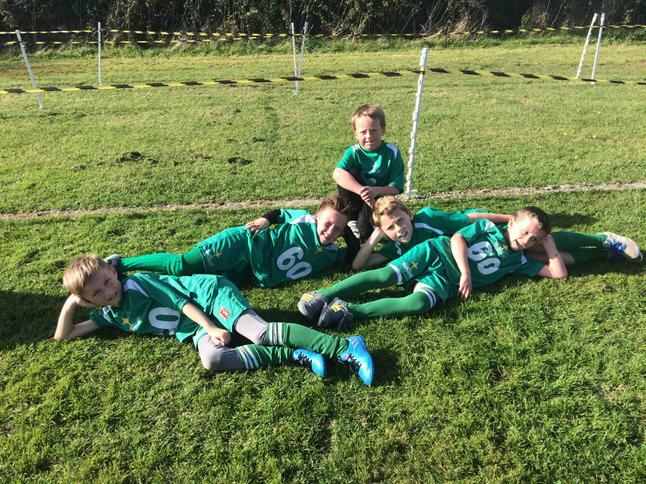 But they had better dribblers.They had powerful shots as well.We mist a penalty.Tyler scored so did Harvey R.We had a lot of shots on target.Keyham should of won.Are defence was solid luis cleared the ball a lot and Kobe was winning all the headers.Tyler and Fin in the middle were winning challenges and were pasy. 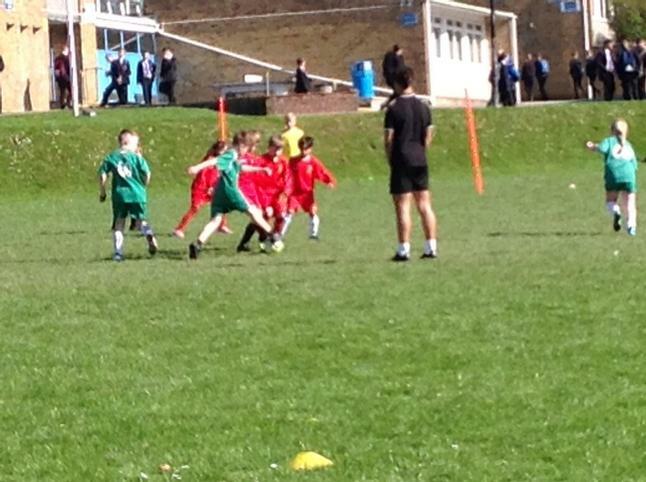 The wingers was passing the ball and giving the ball to the strikers feet. 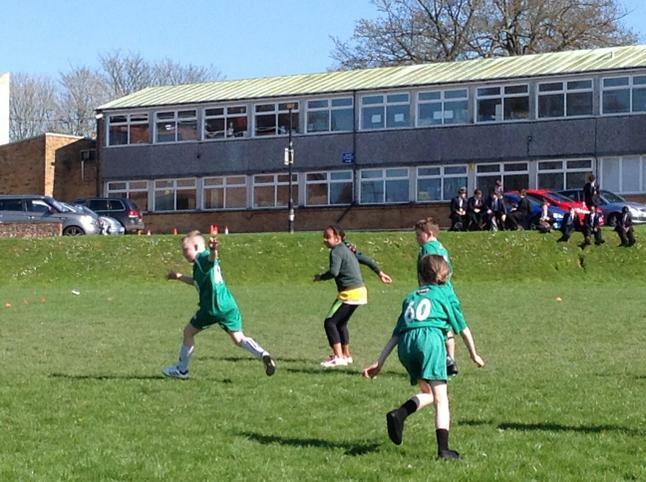 The striker was Harvey R.He had the most shots on target.The subs were crucial.Mia was normally sub and she came on and off a lot.So the whole team played well. 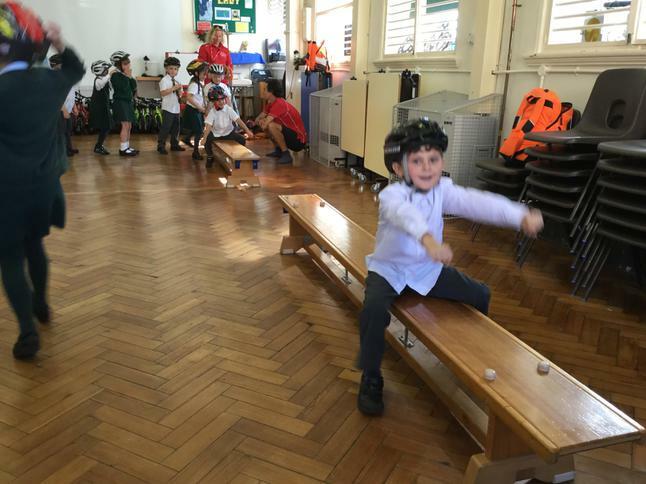 If we keep on playing like we did we will win. 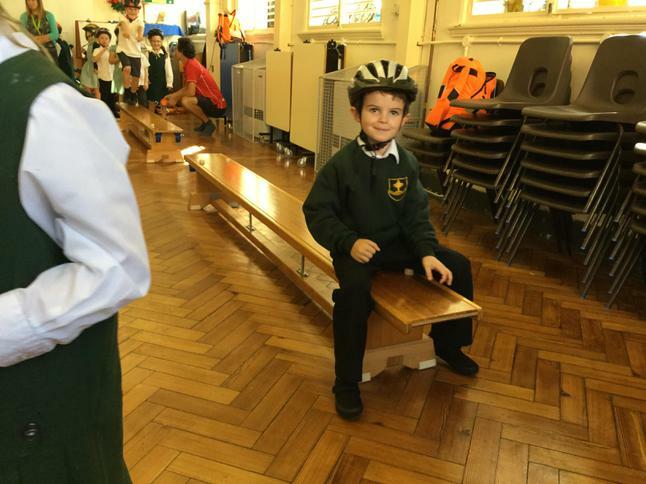 By Aiden. 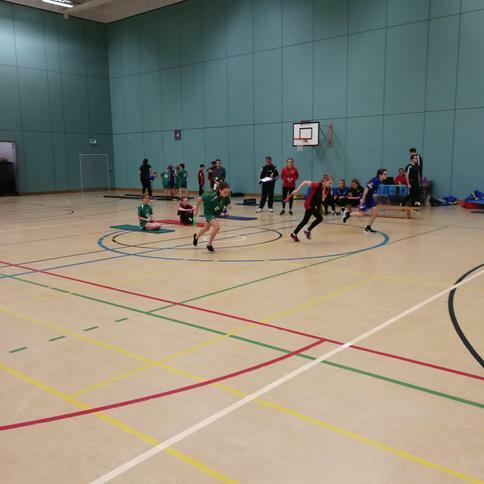 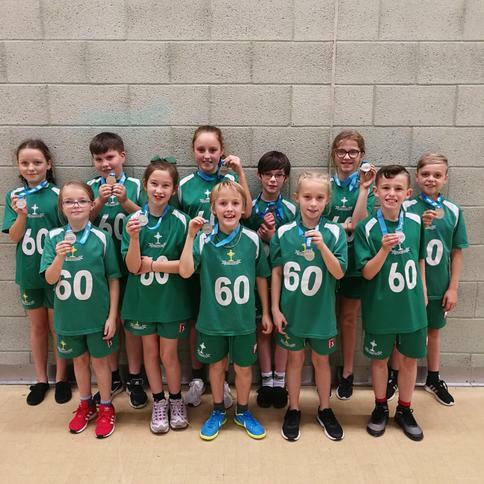 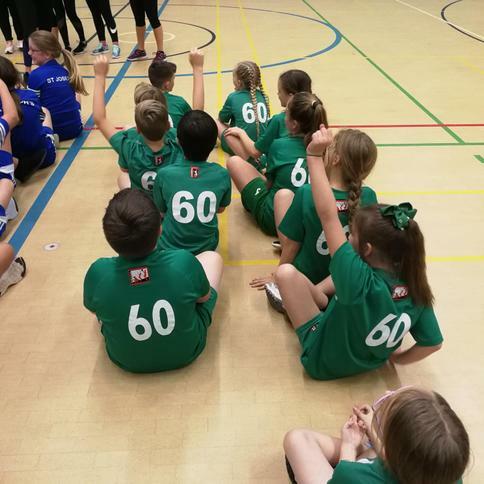 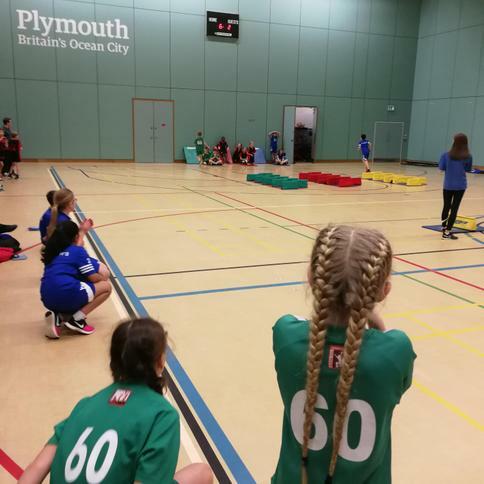 Our basketball team managed to come second in their group matches and secured a place in the finals which took part before a Plymouth Raiders game at the Pavillions. 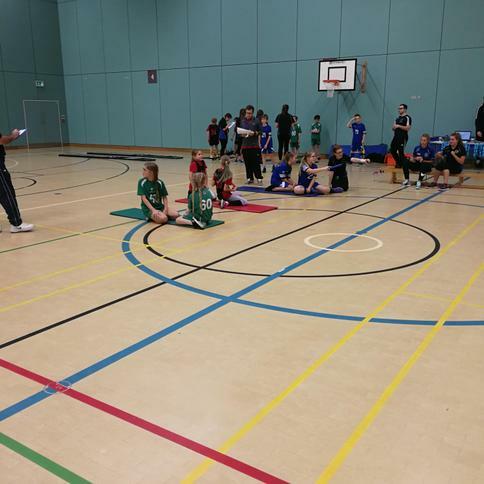 Many thanks to our basketball coach Mike Dobson. 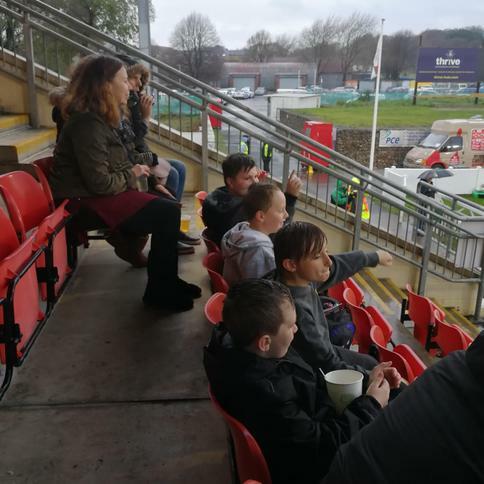 Npower Community Schools Cup @ GOALS. 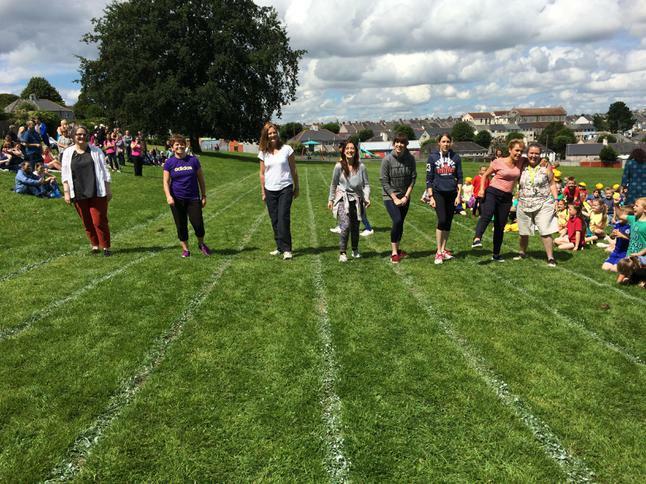 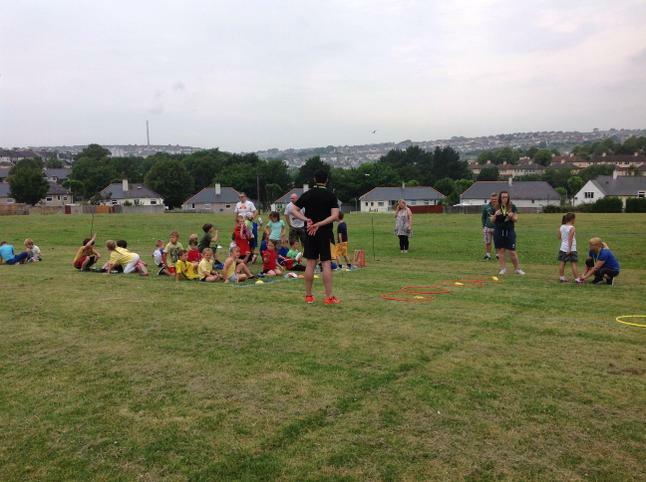 Many thanks to Mr Benwell, Mrs Westlake and Mrs Farr. 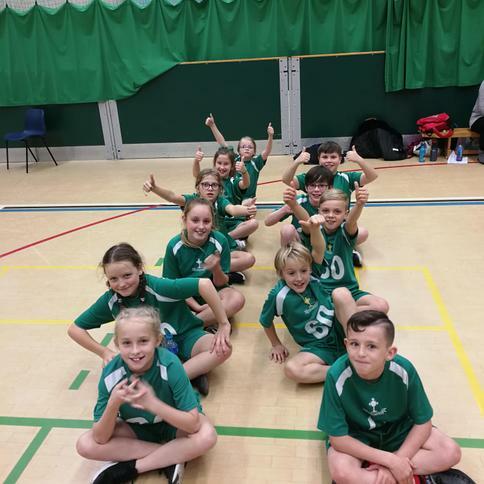 Photos from this week's cheerleading club. 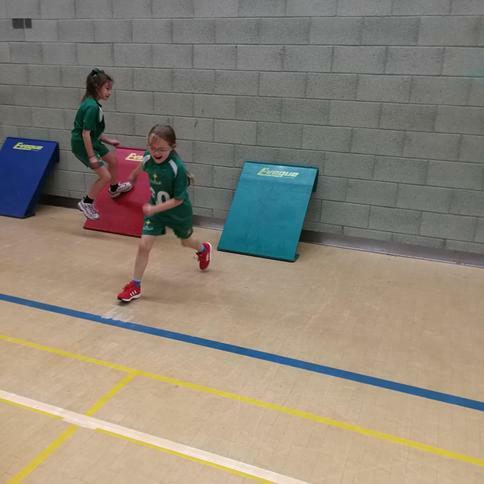 The girls are becoming much more confident and their technique is developing well. 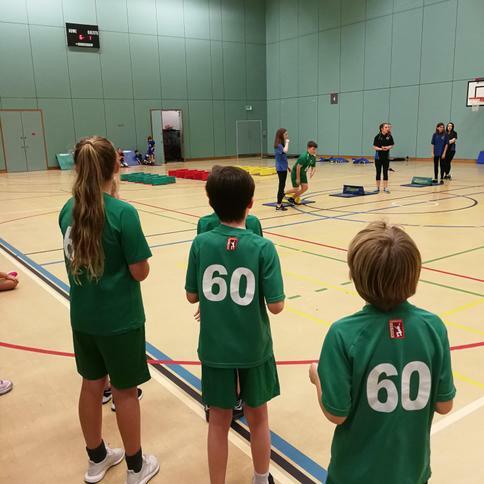 Bronze Ambassador training at SDCC. 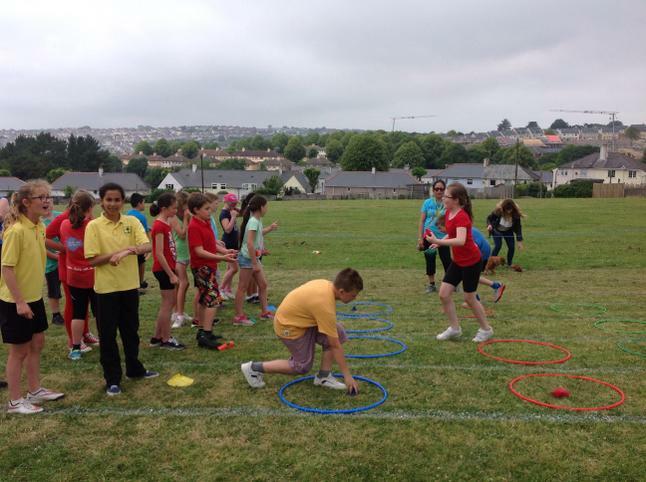 Sainsbury's school games lvl2 High5 netball competition at MARJON's. 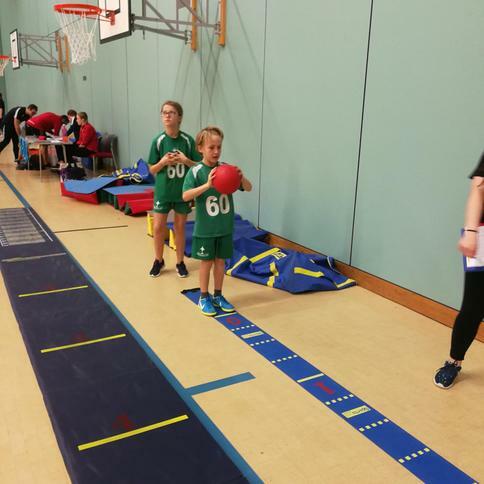 Our first basketball tournament at Drake PS with Plymouth Raiders. 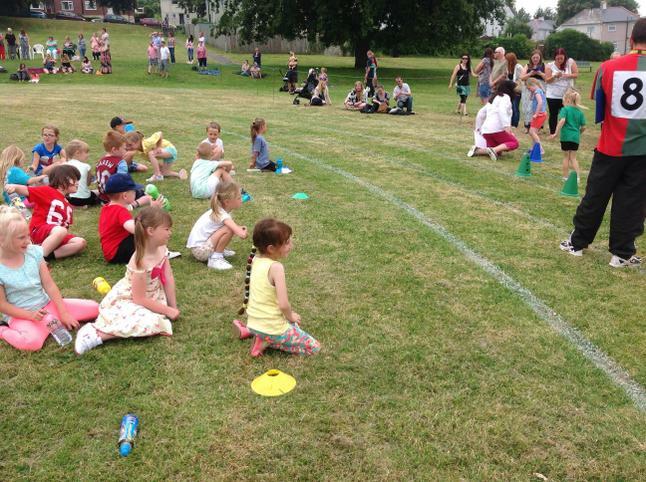 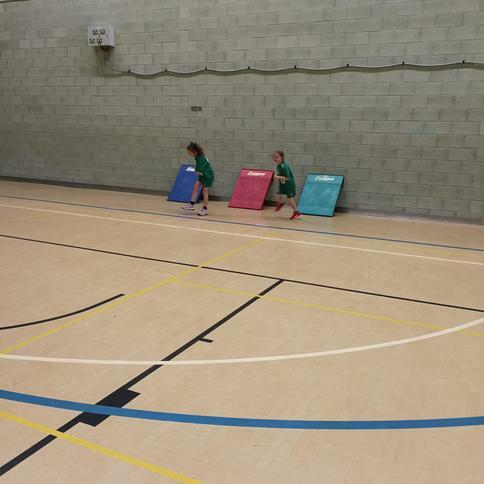 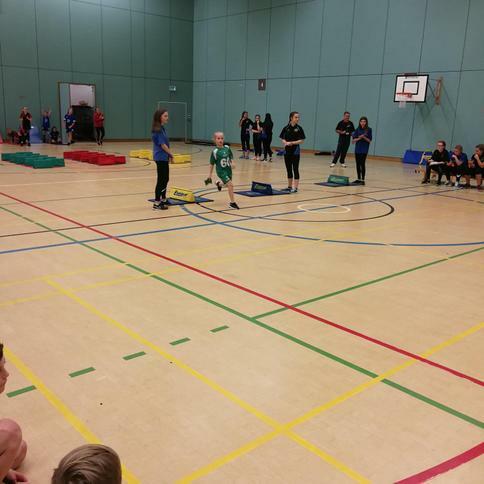 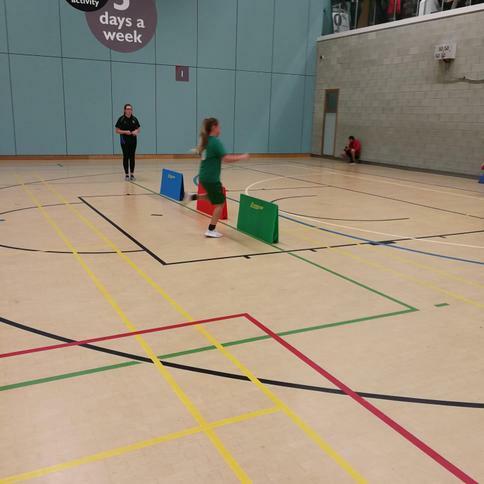 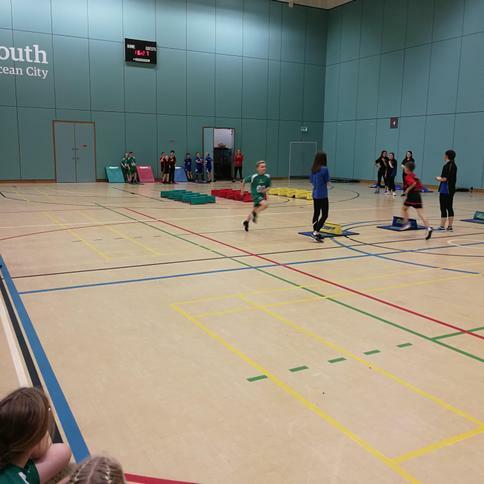 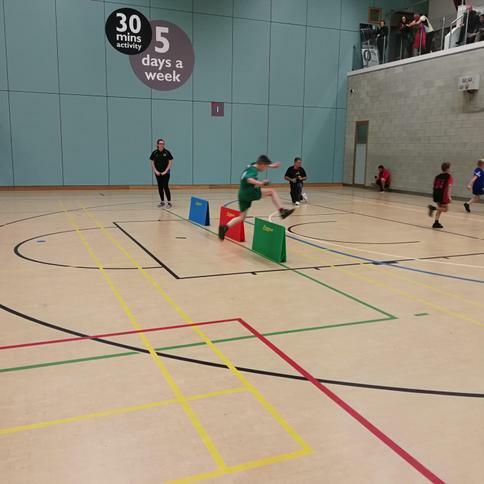 SDCC multi skills festival for Yr3. 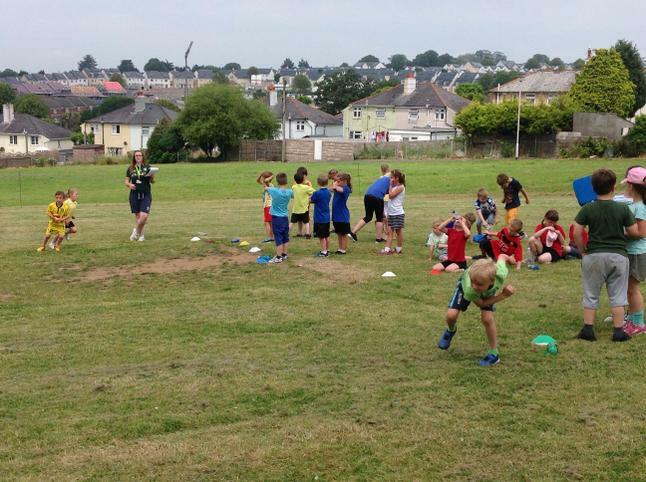 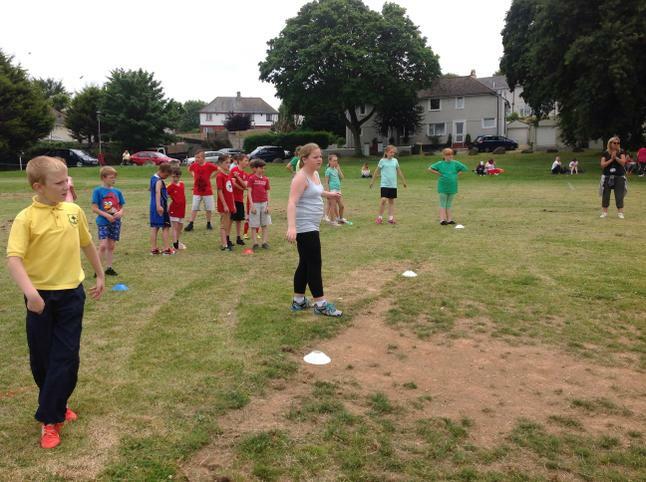 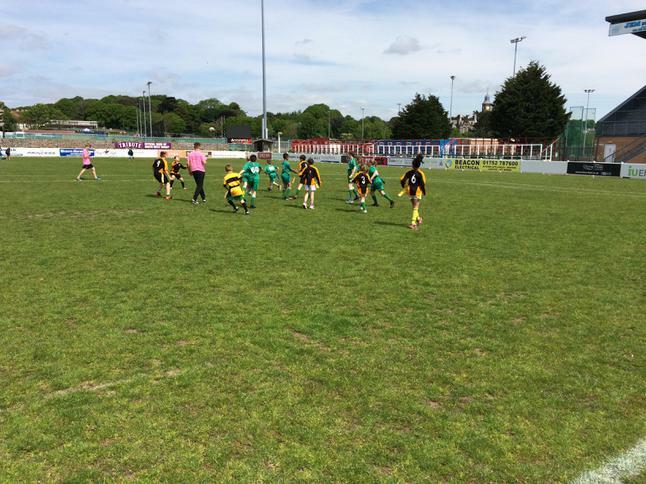 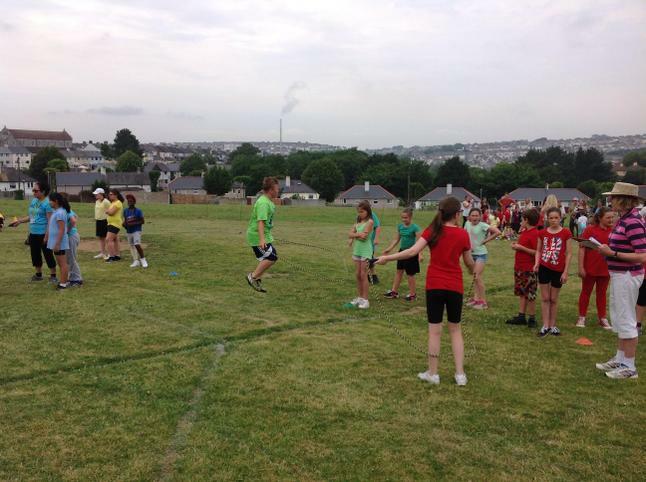 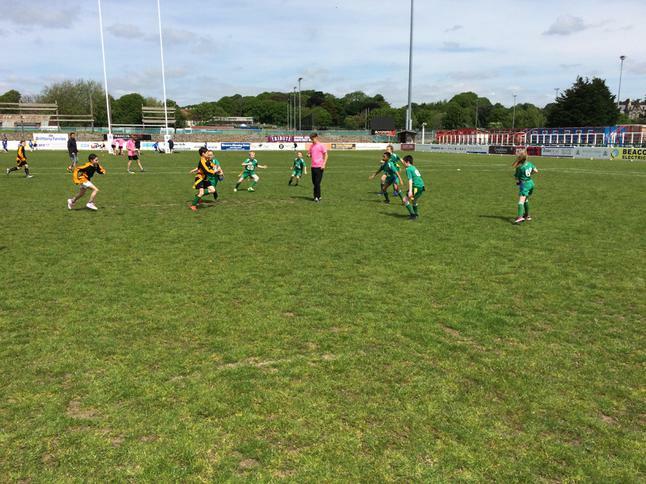 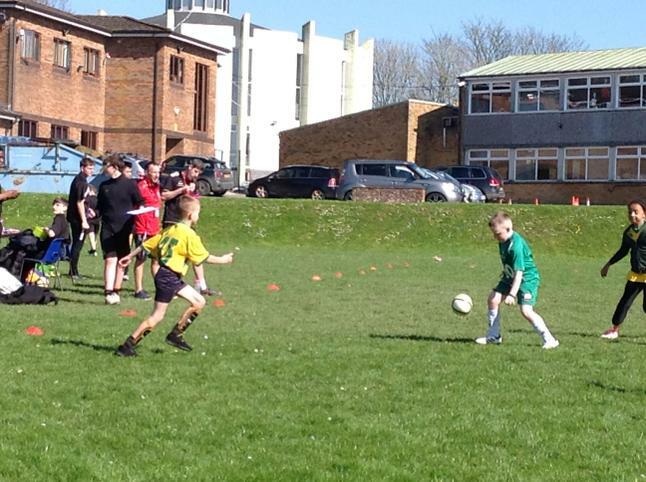 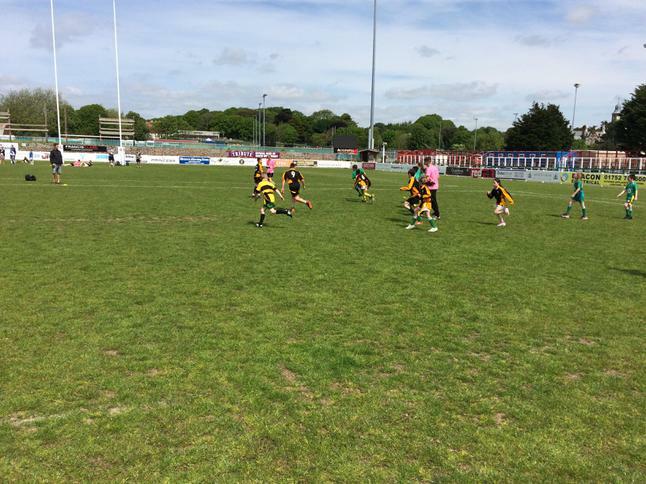 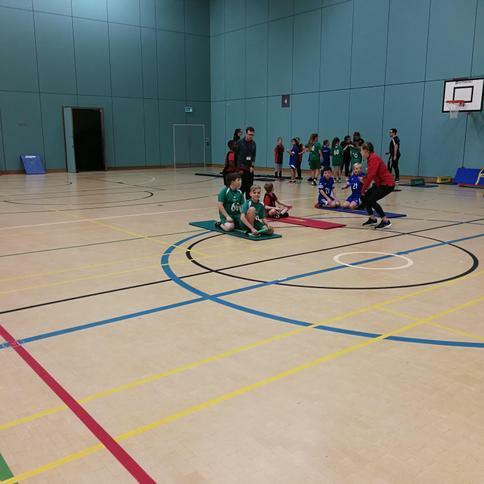 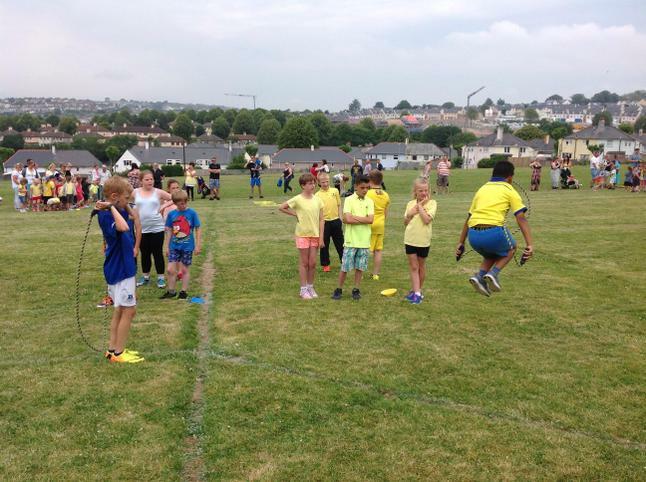 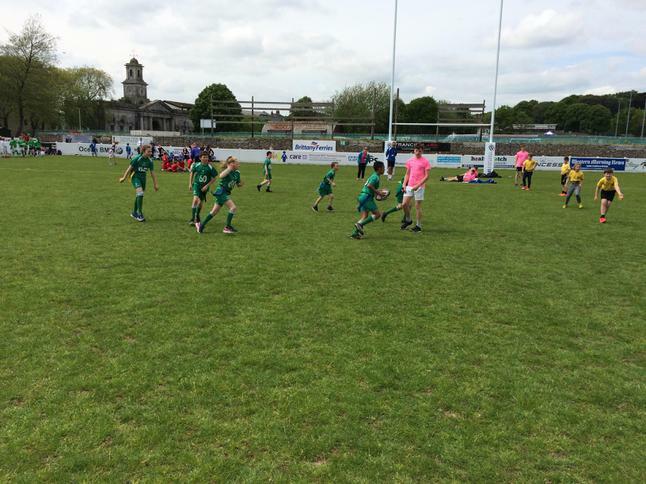 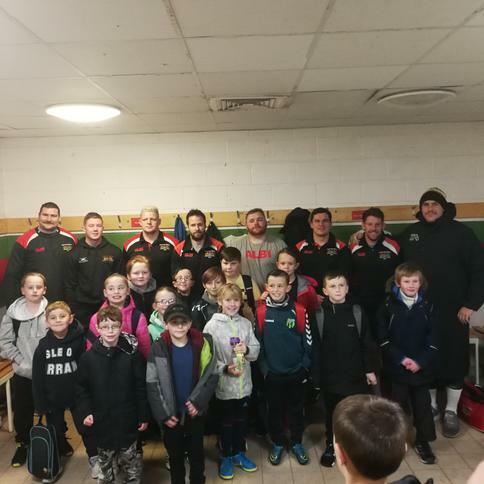 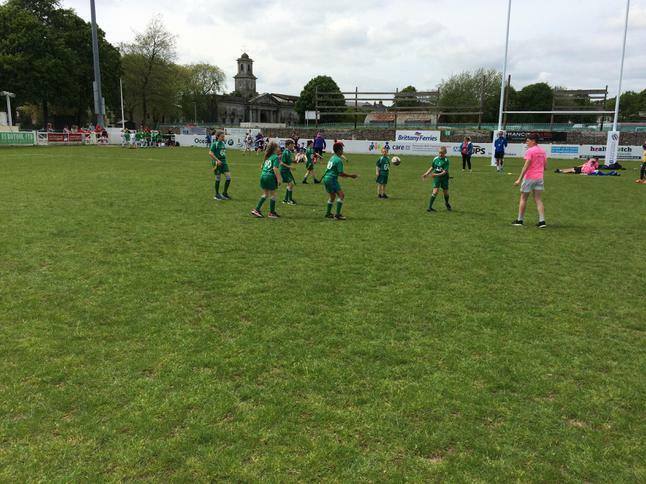 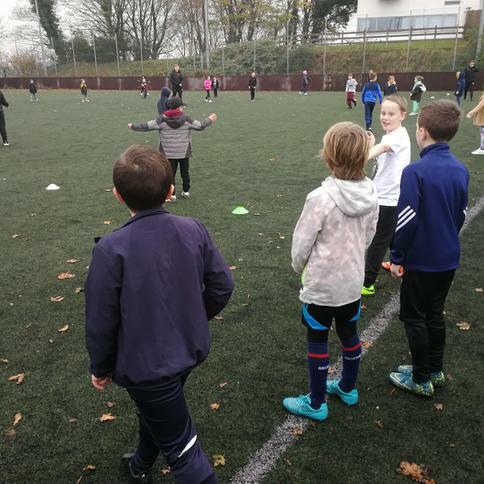 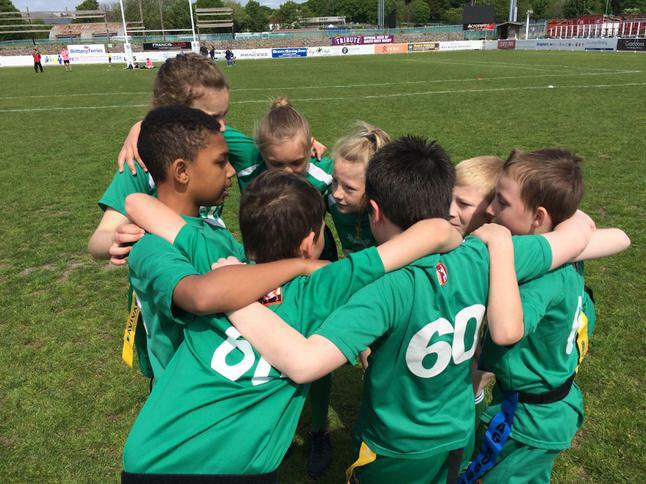 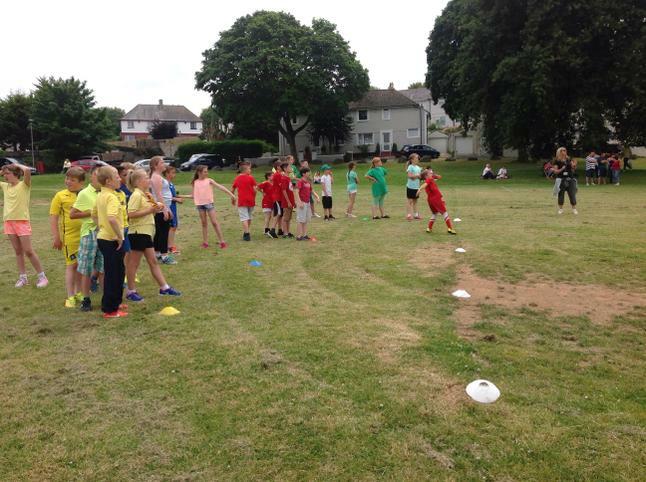 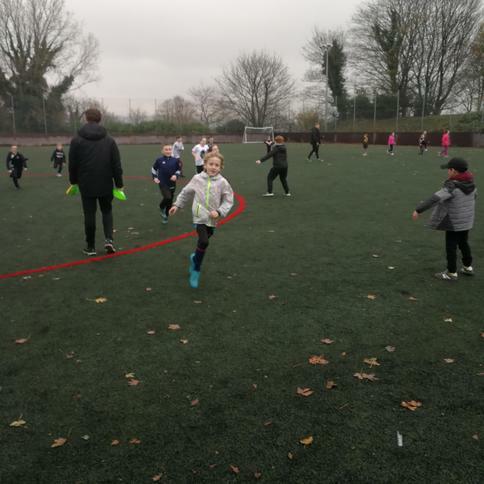 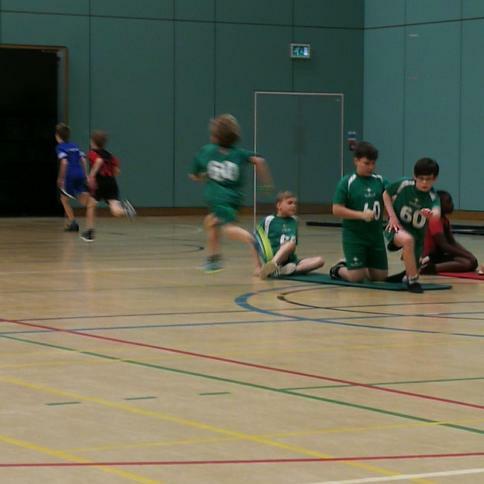 Tag Rugby coaching with Plymouth Albion. 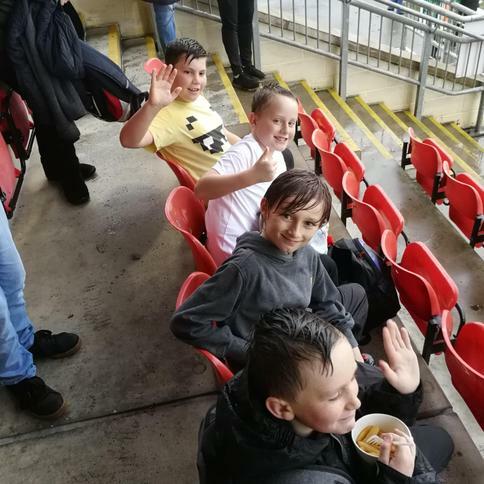 Look who we found. 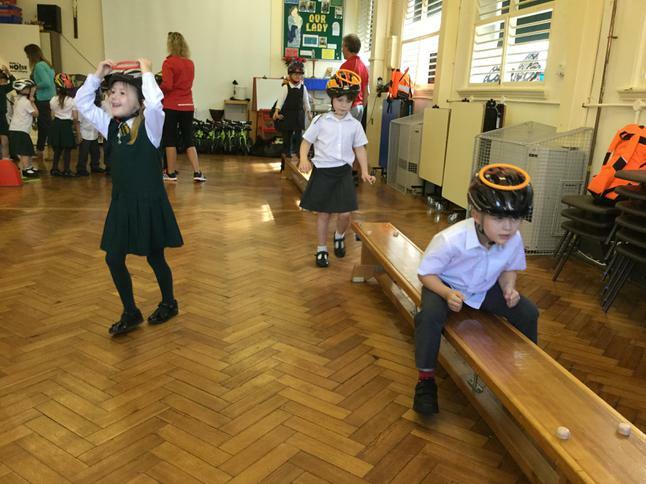 Look at all the sports equipment we received from Sainsbury's Active Kids voucher scheme. 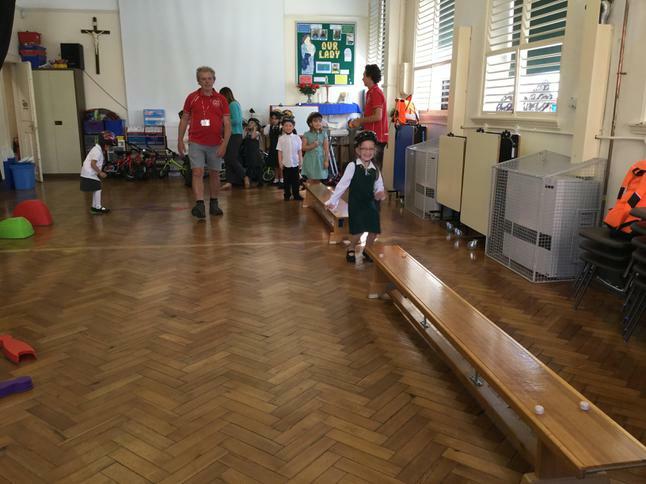 Thank you for bringing in all the tokens. 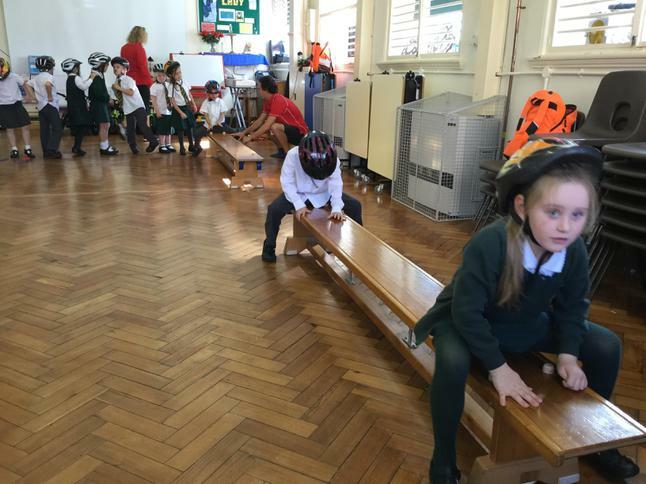 Keep collecting to earn more sports equipment next year. 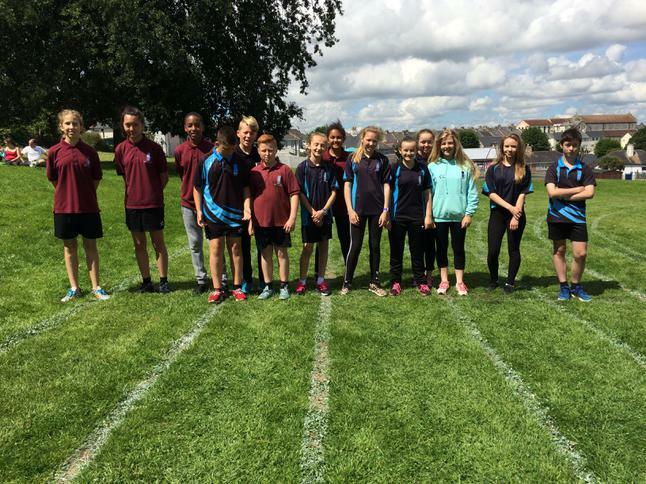 Our Sports leaders and Bronze ambassadors - Summer term 2015. 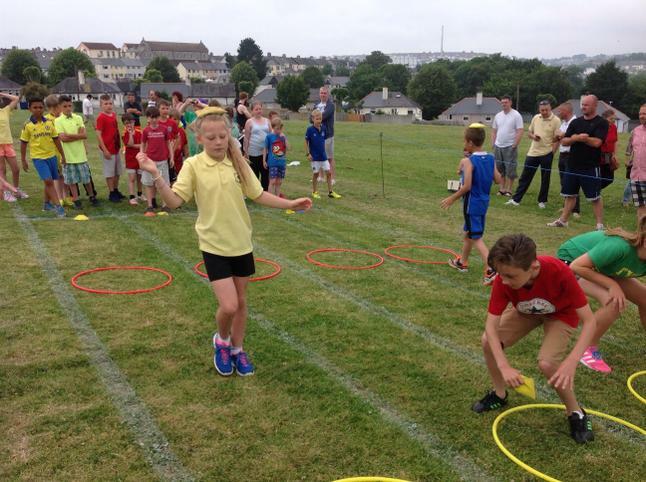 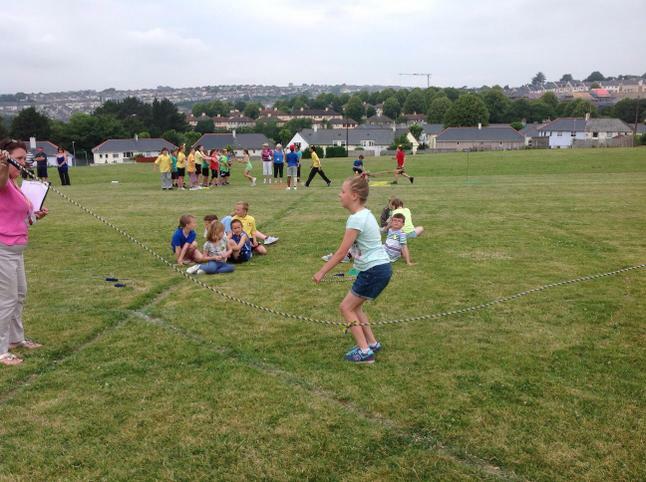 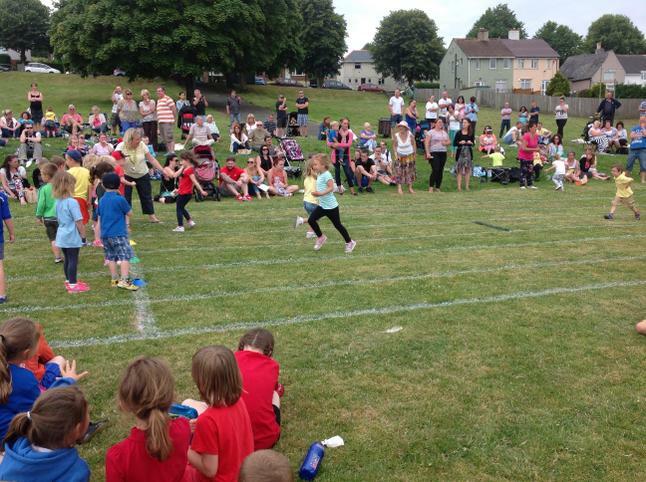 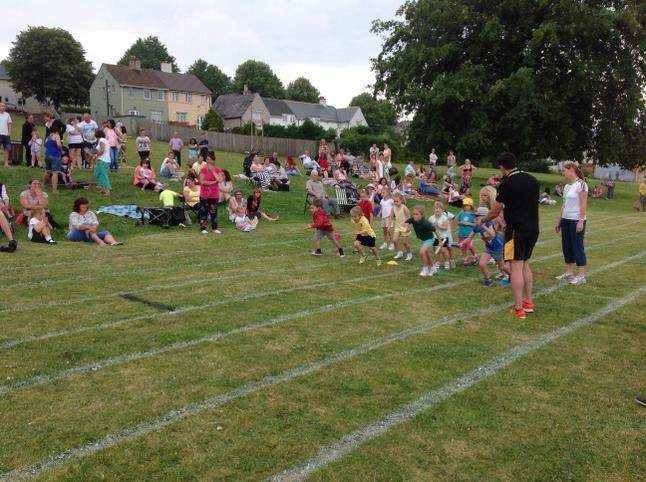 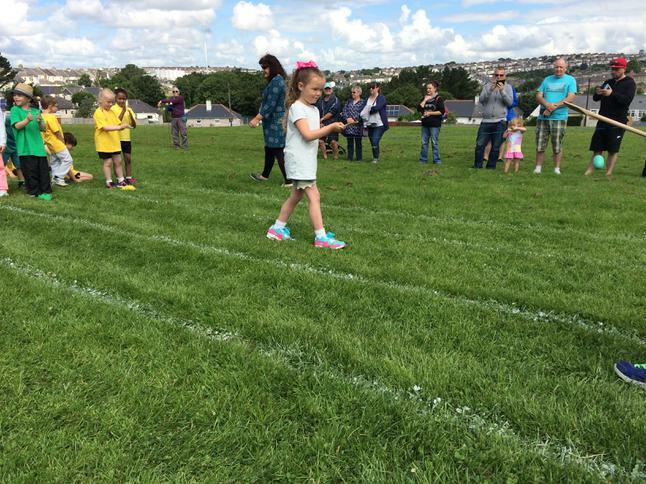 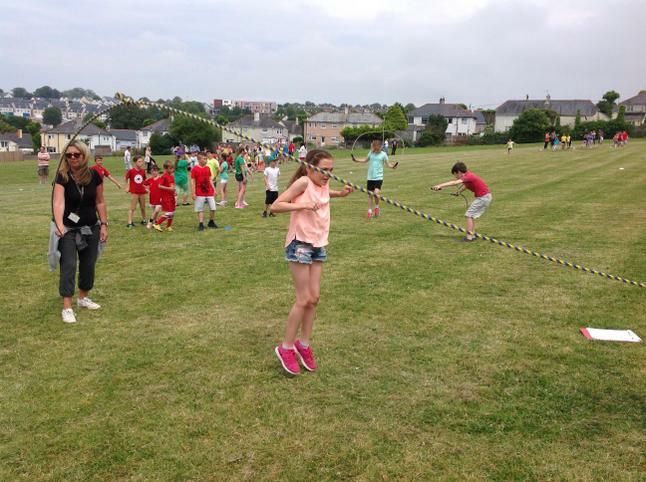 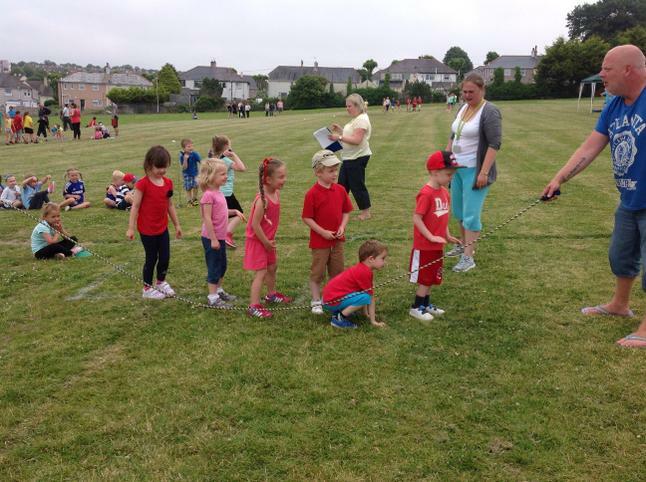 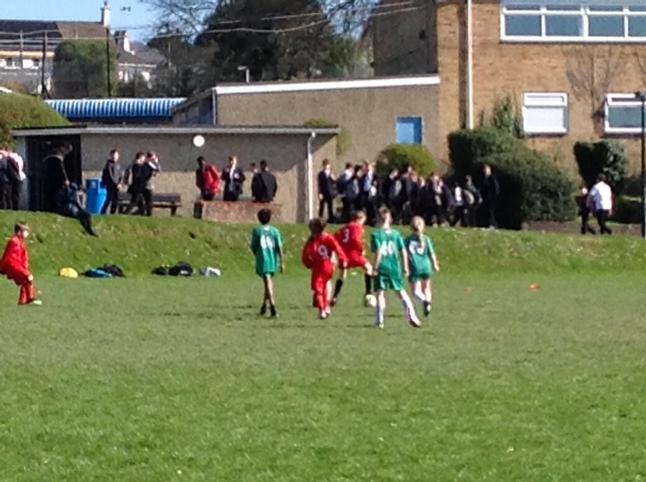 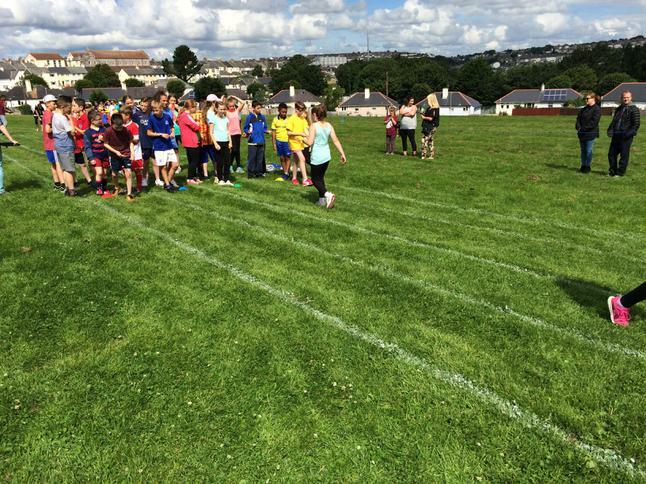 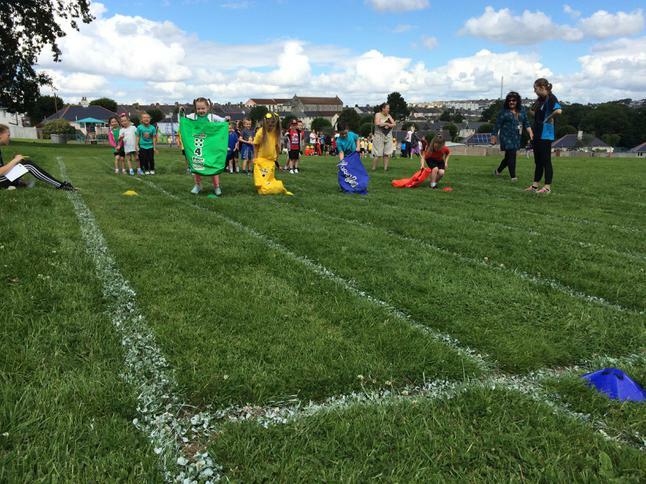 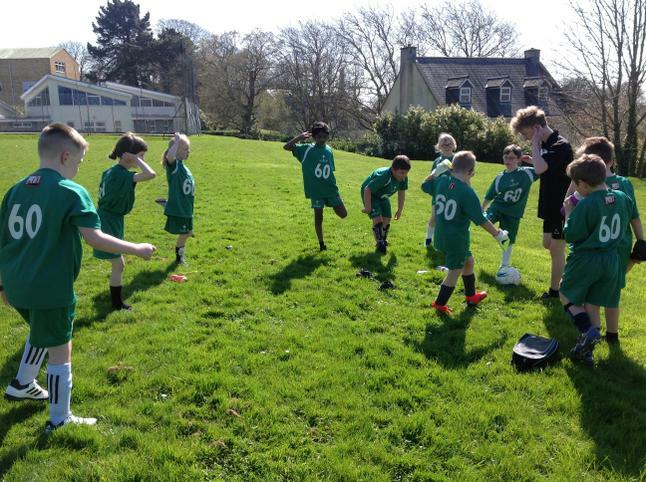 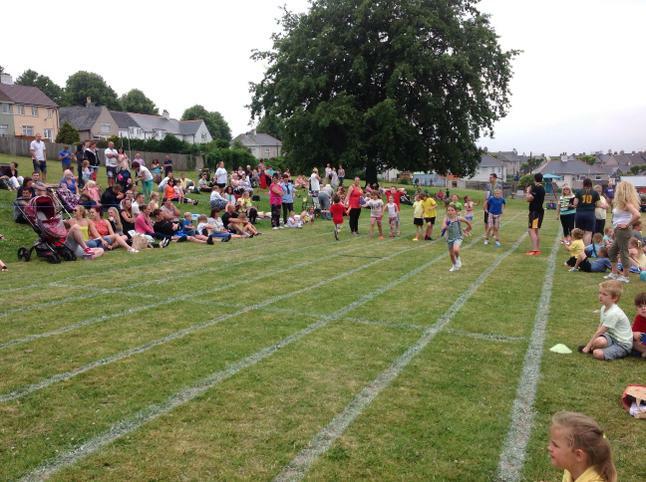 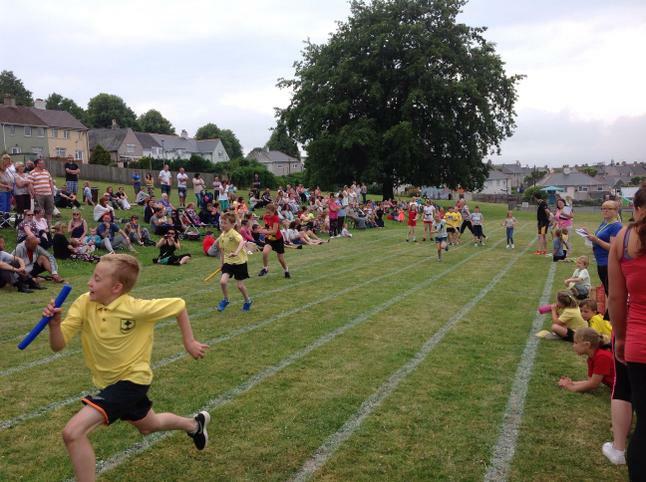 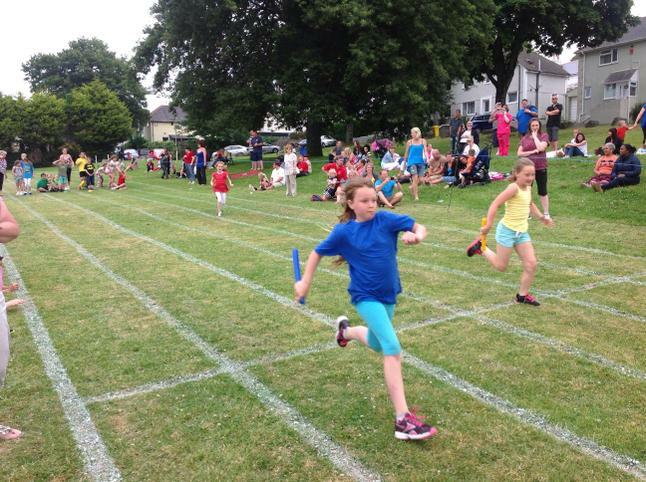 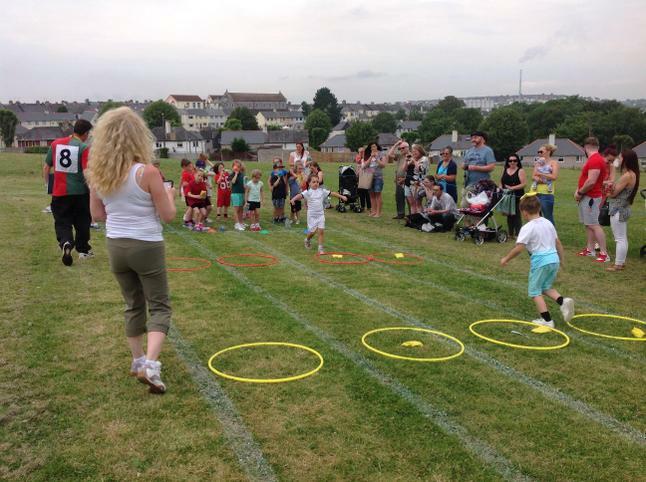 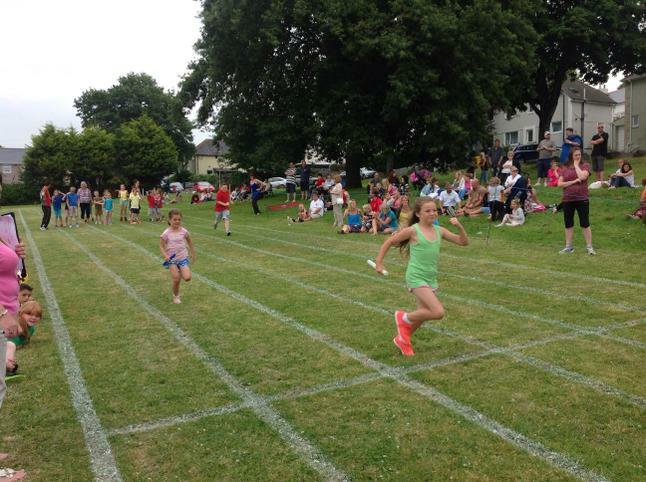 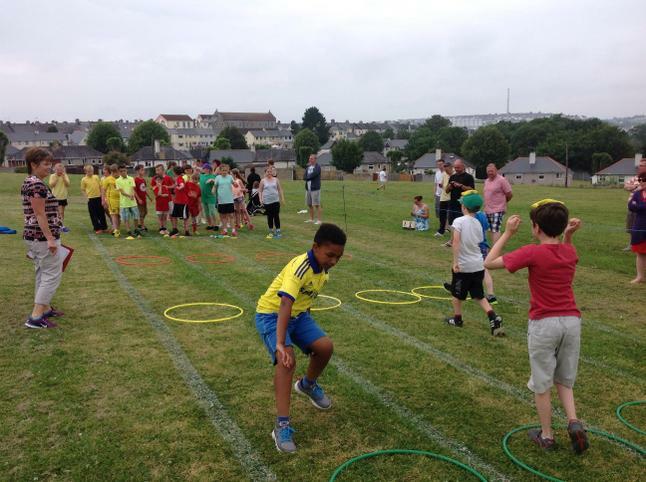 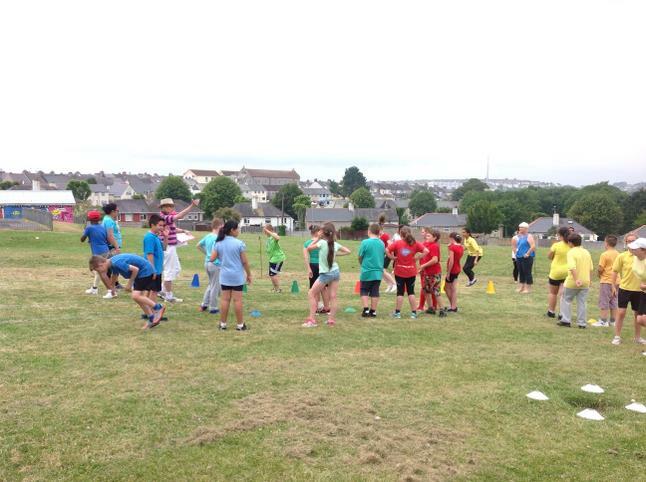 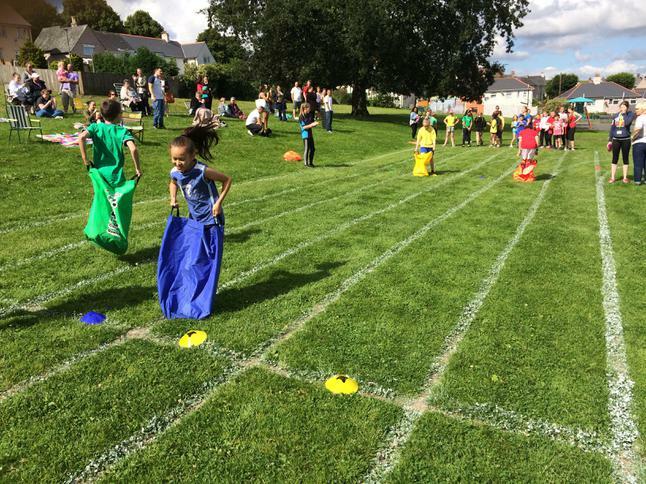 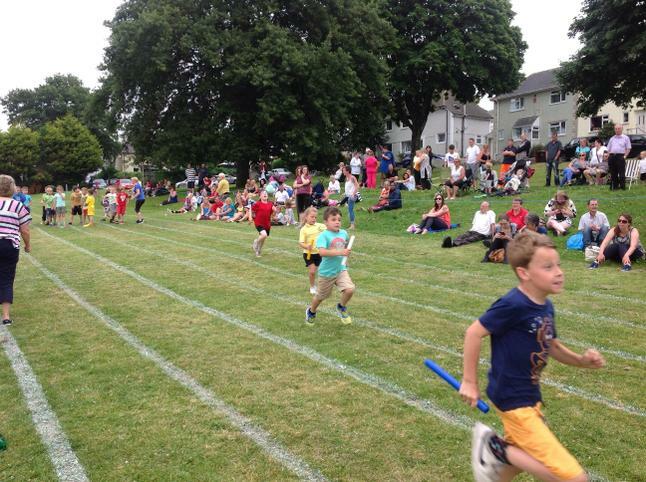 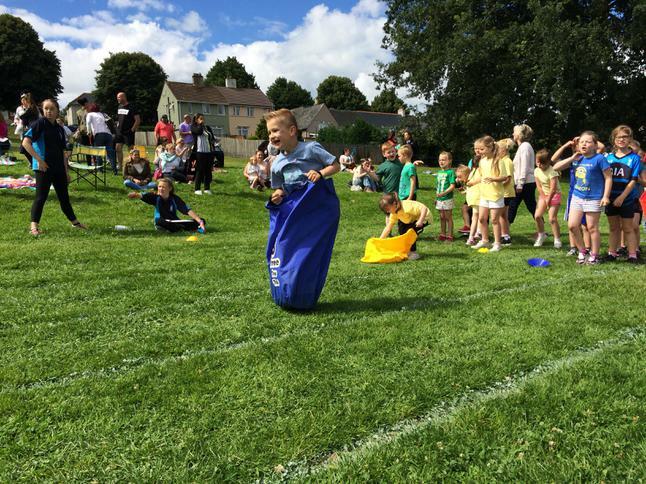 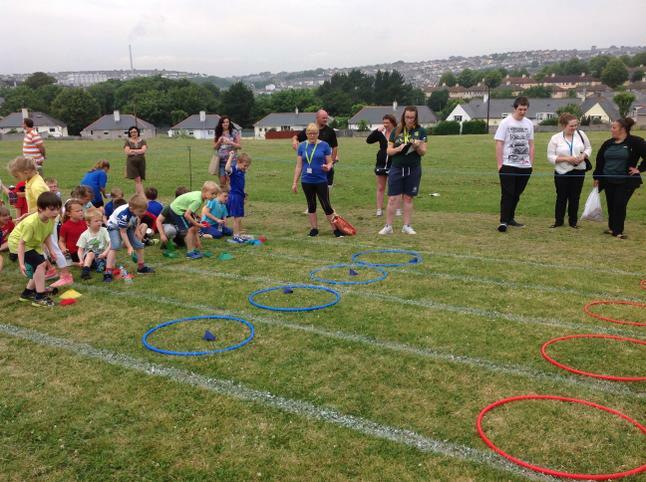 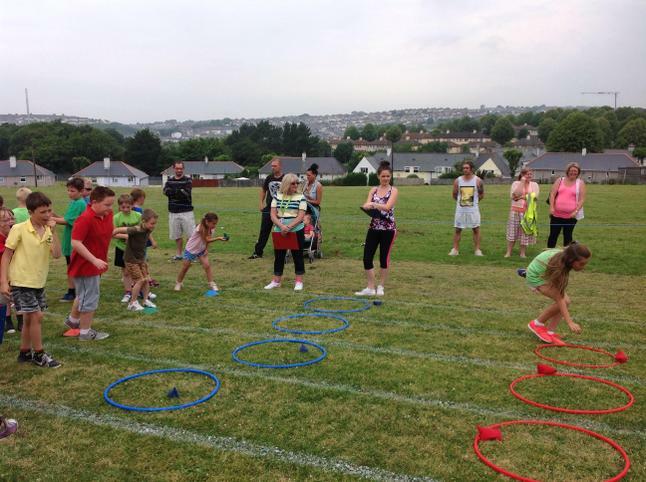 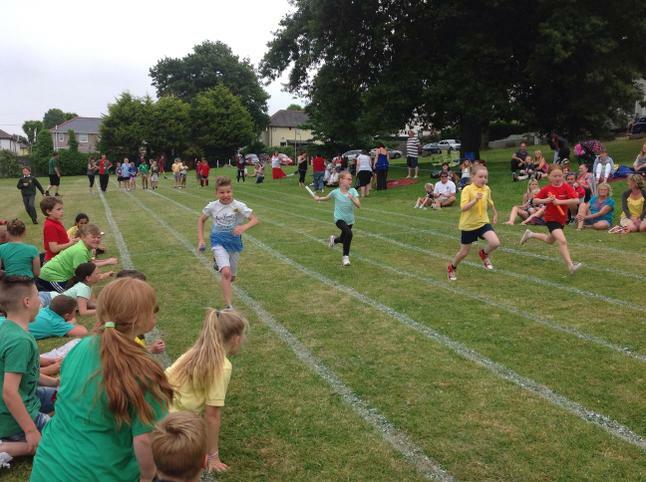 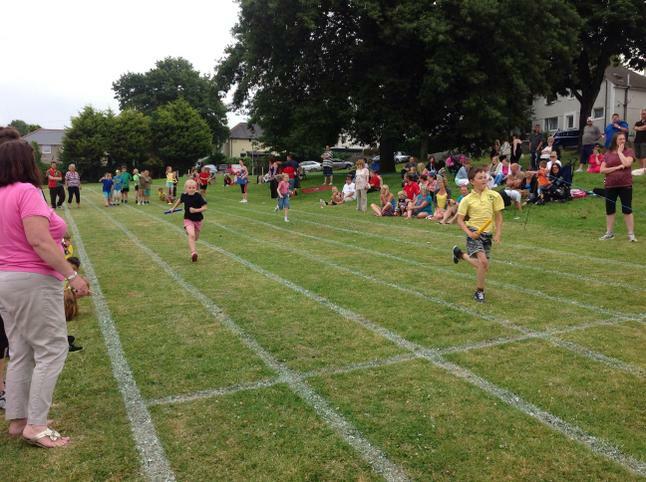 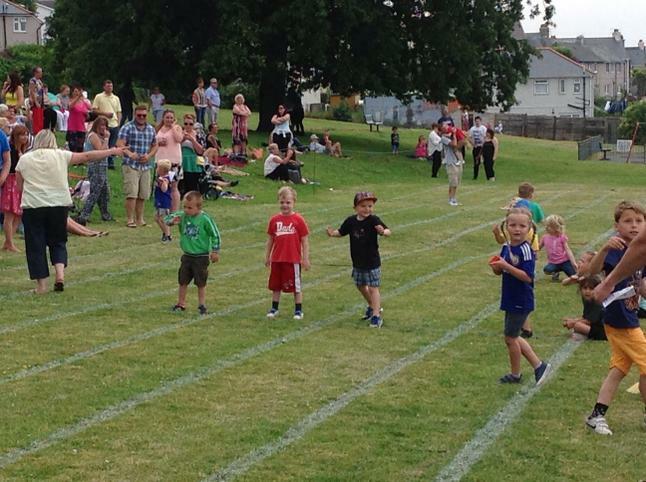 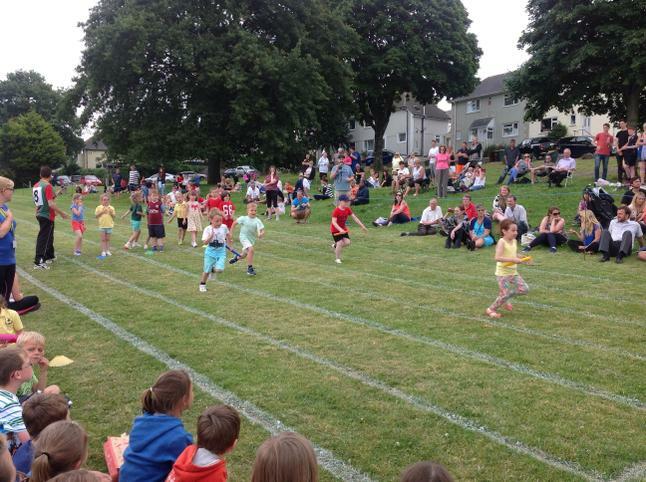 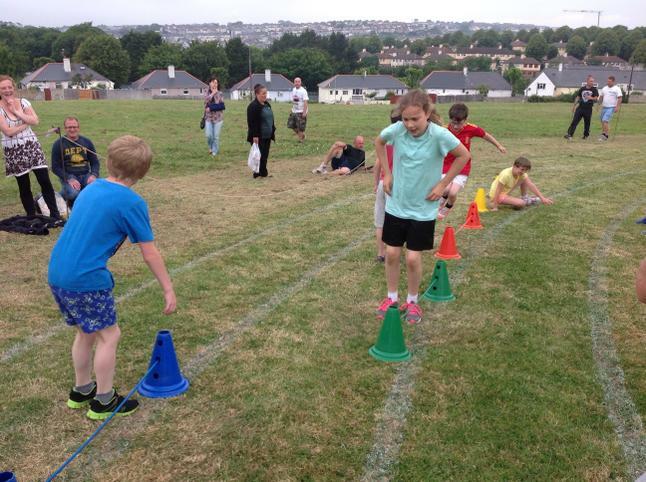 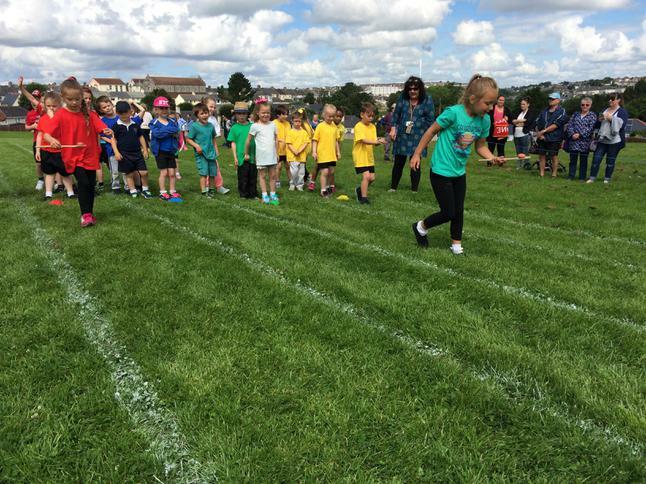 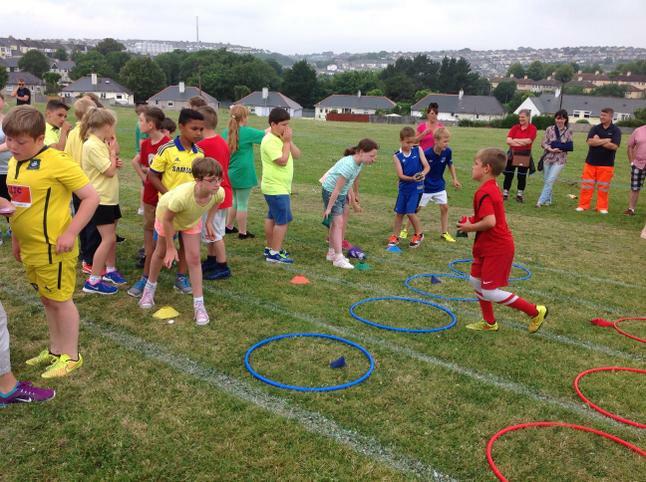 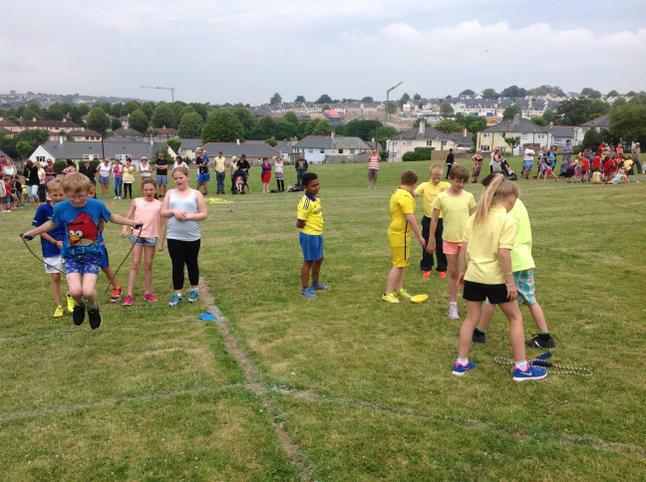 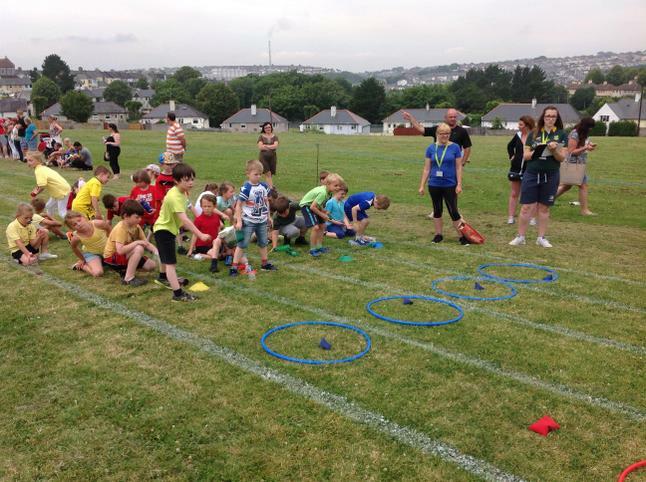 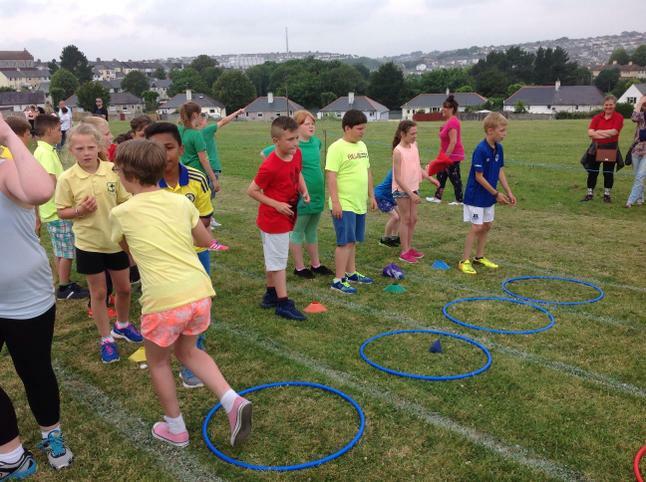 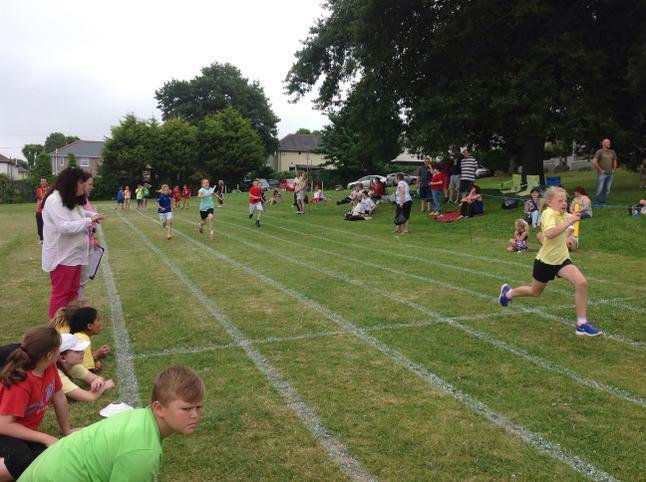 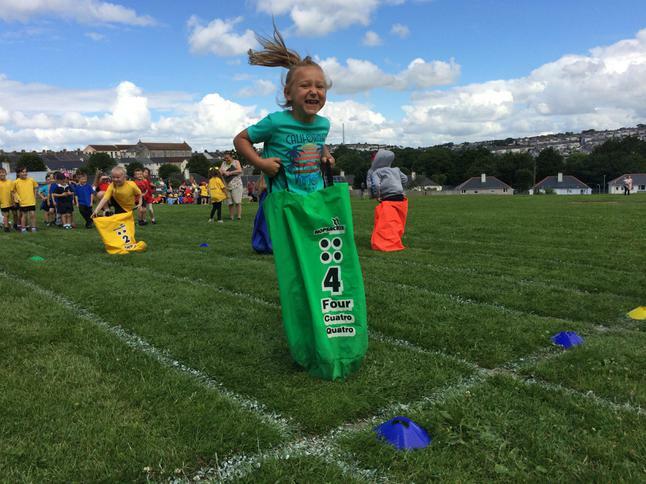 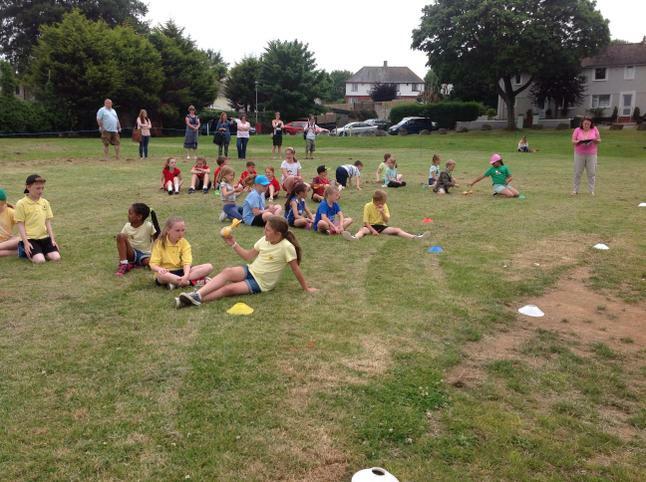 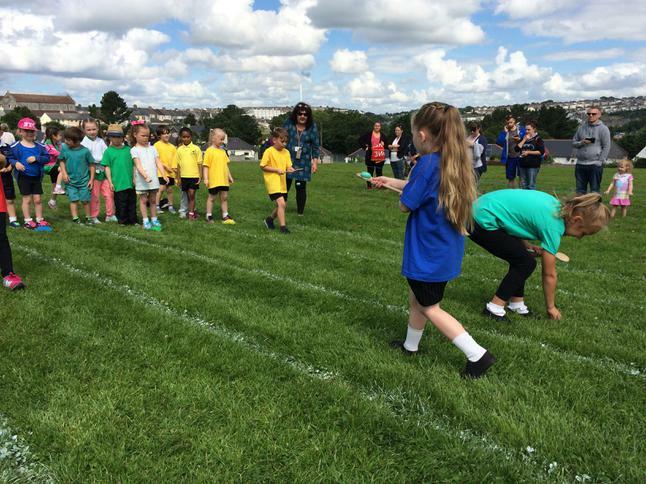 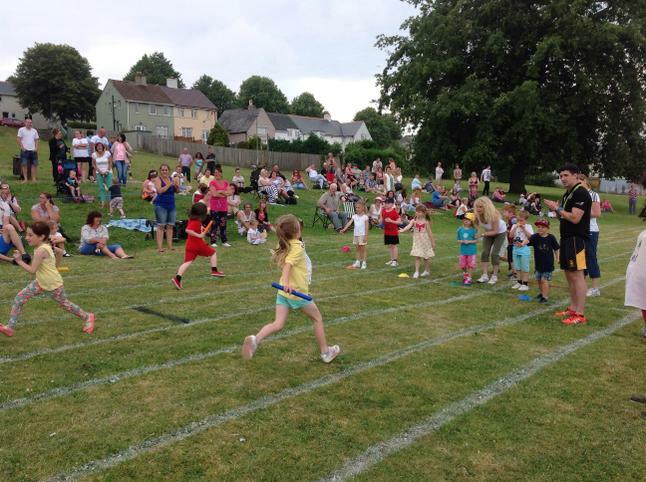 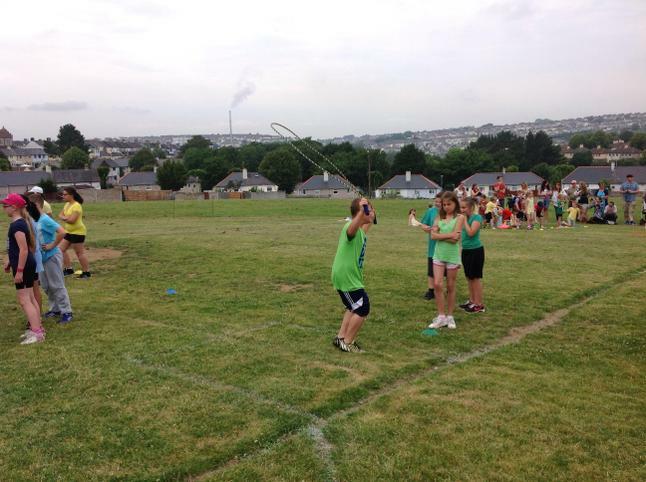 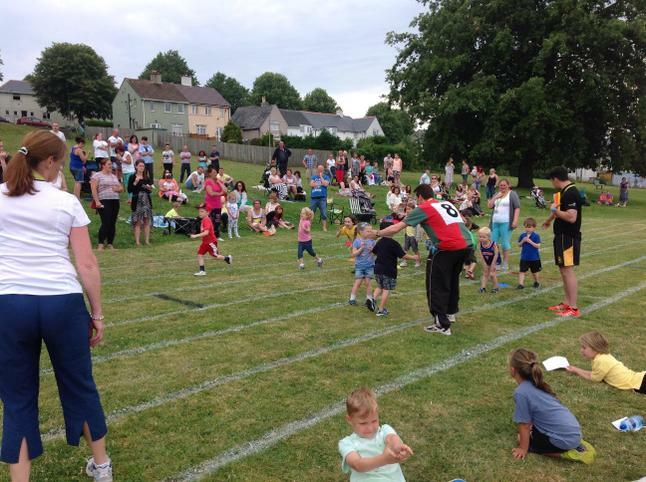 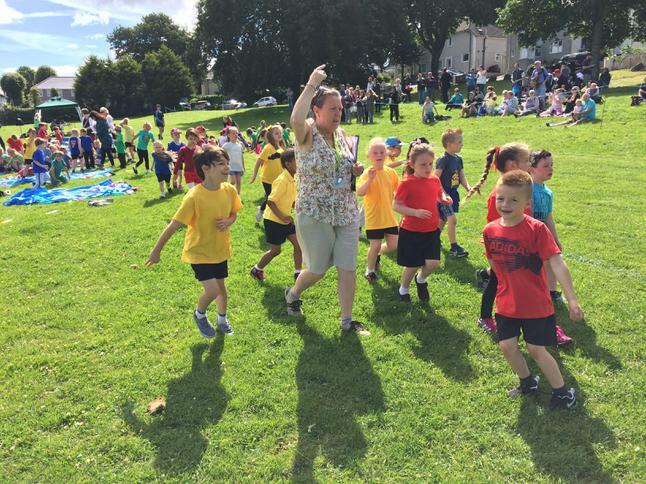 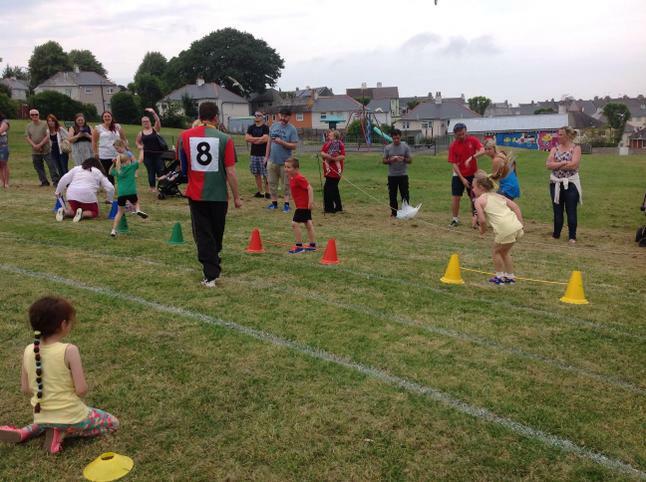 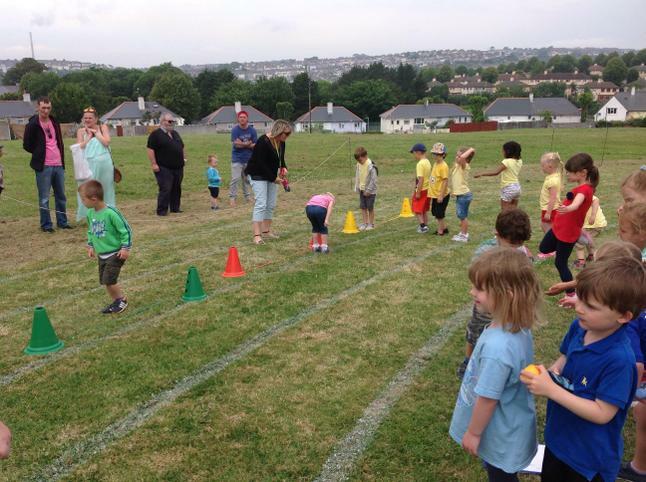 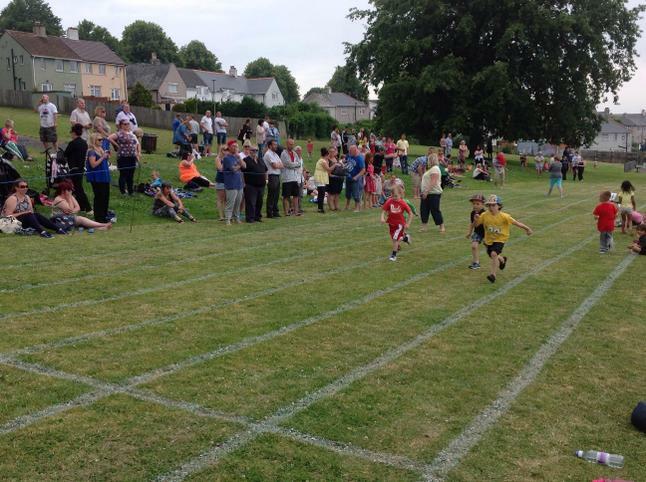 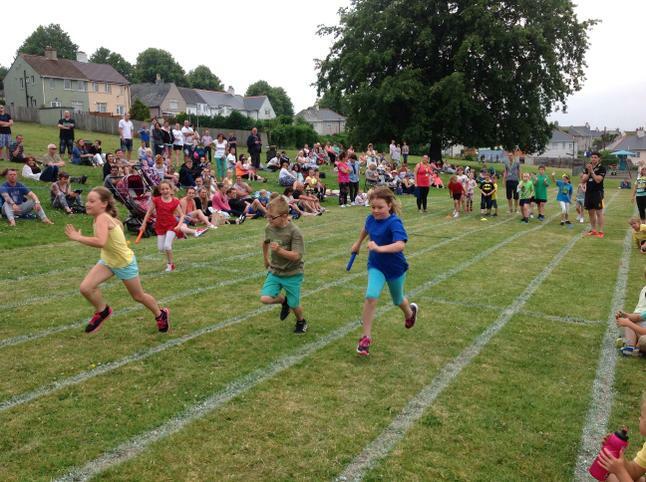 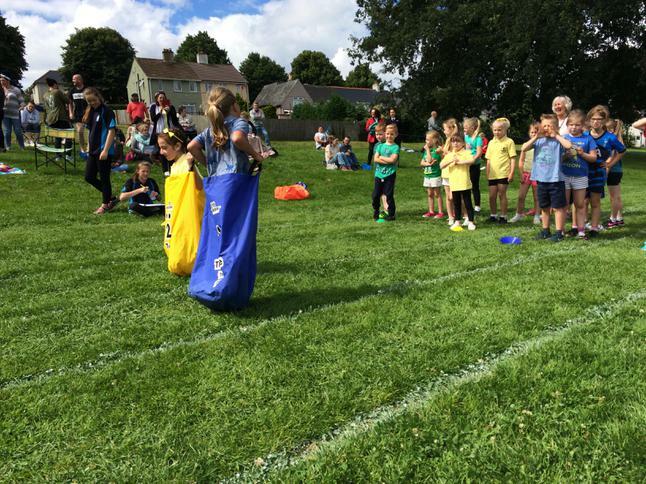 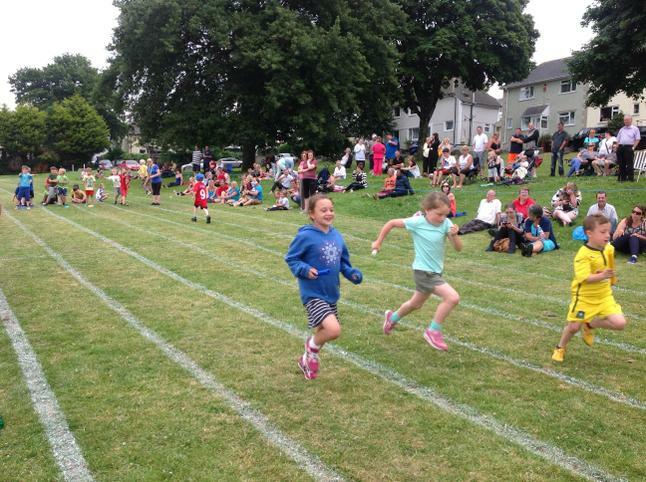 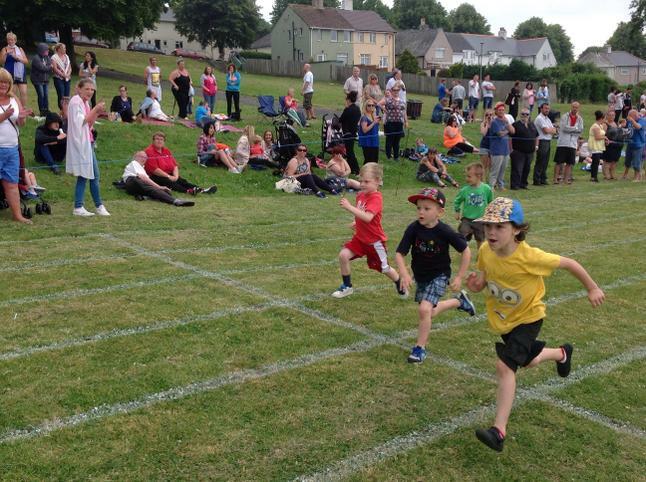 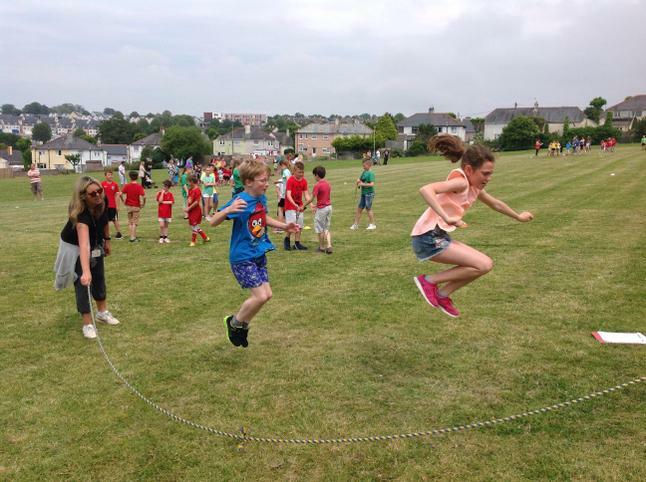 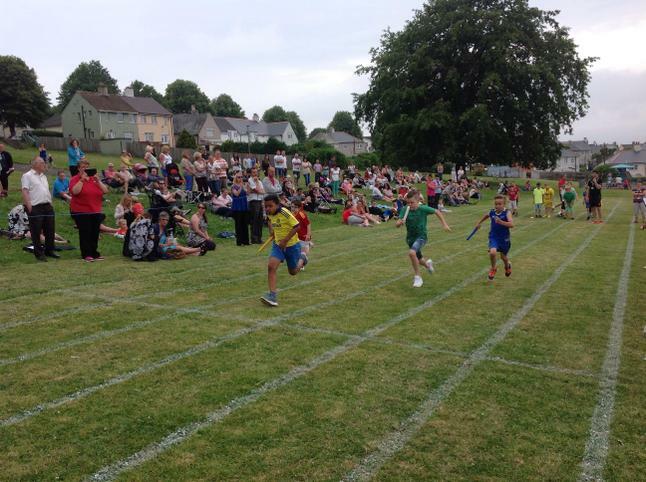 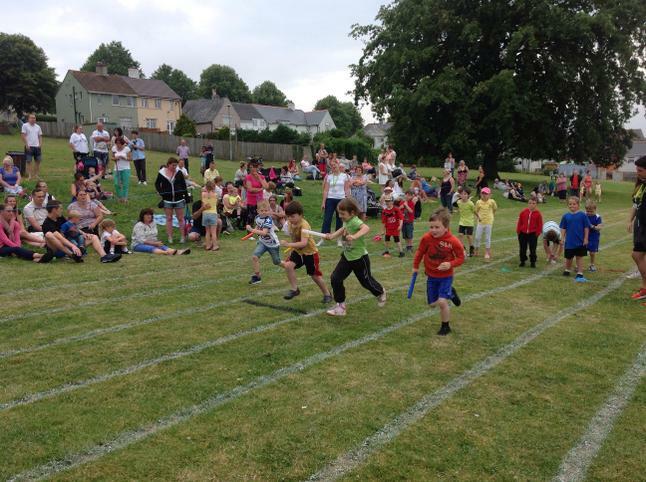 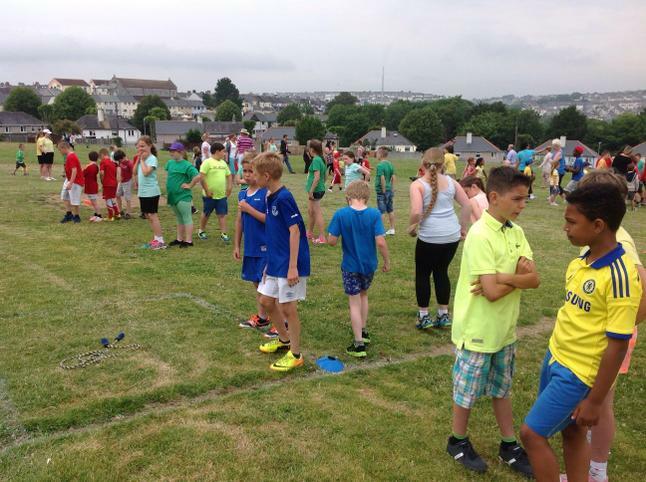 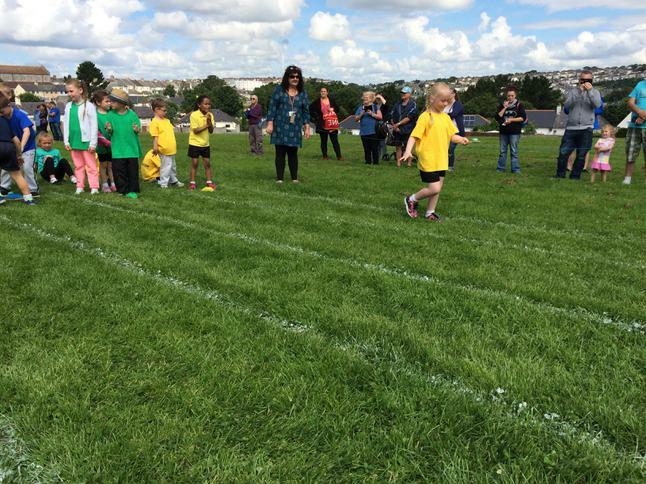 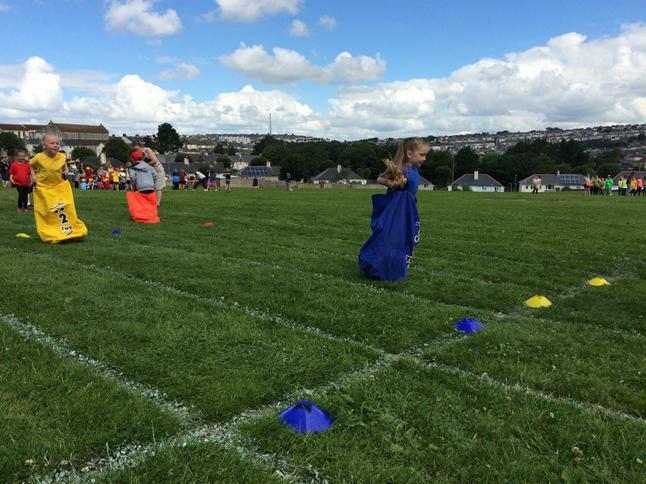 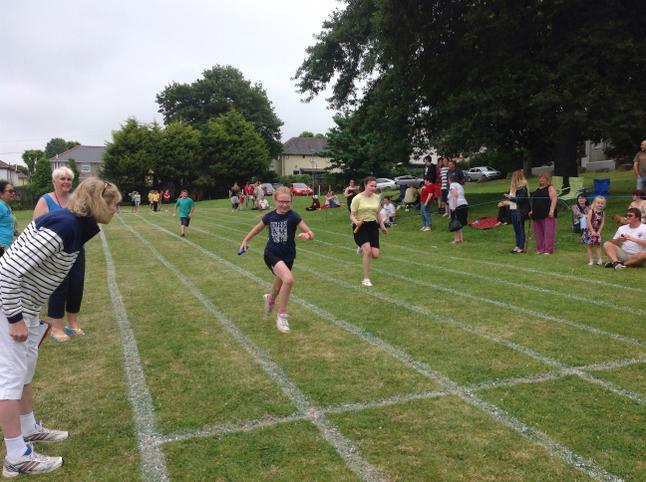 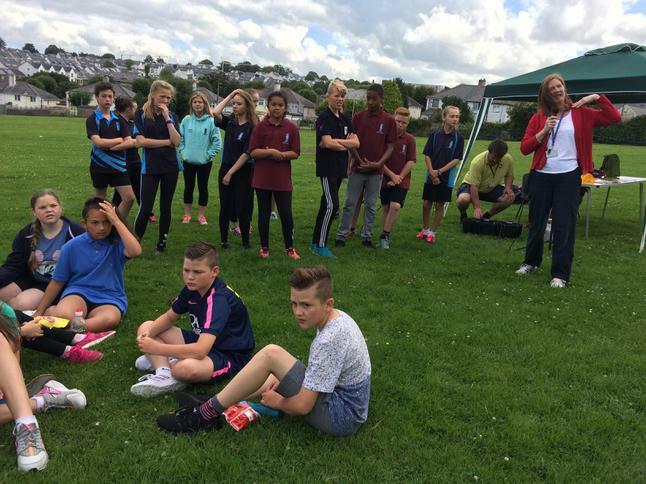 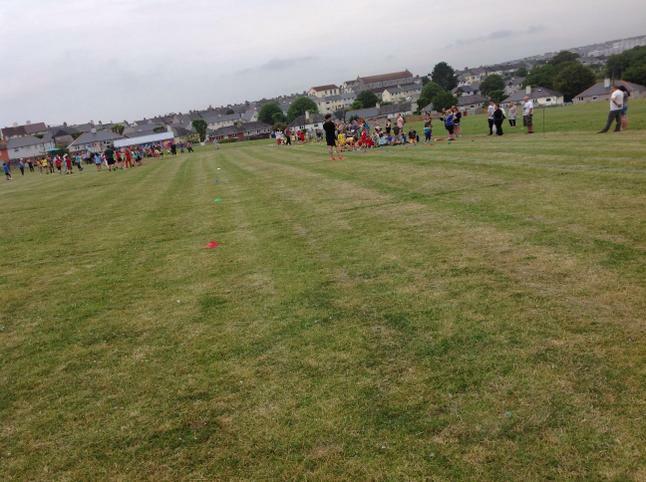 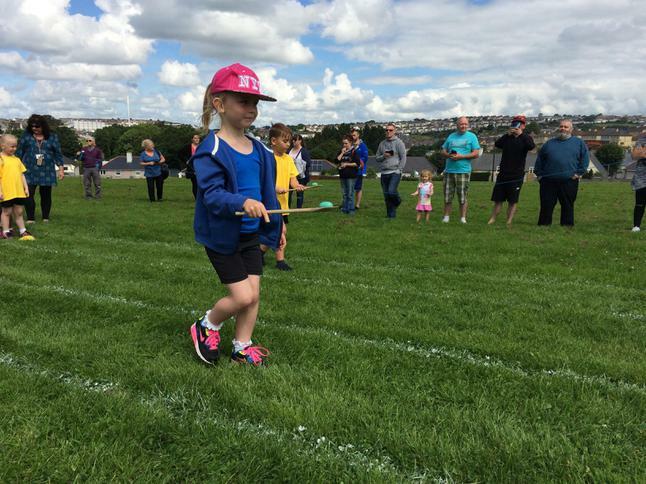 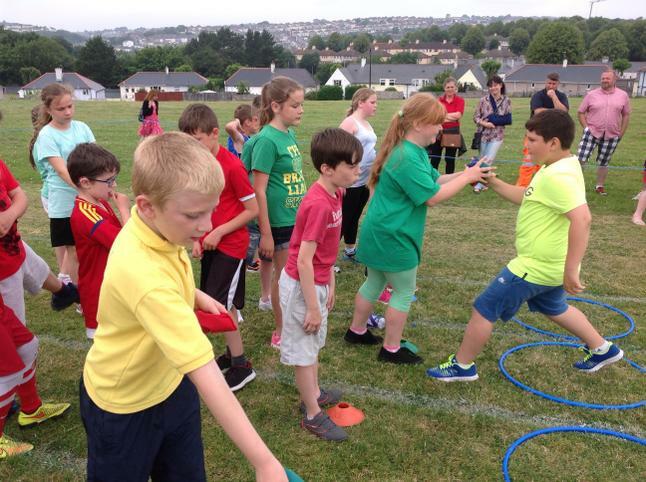 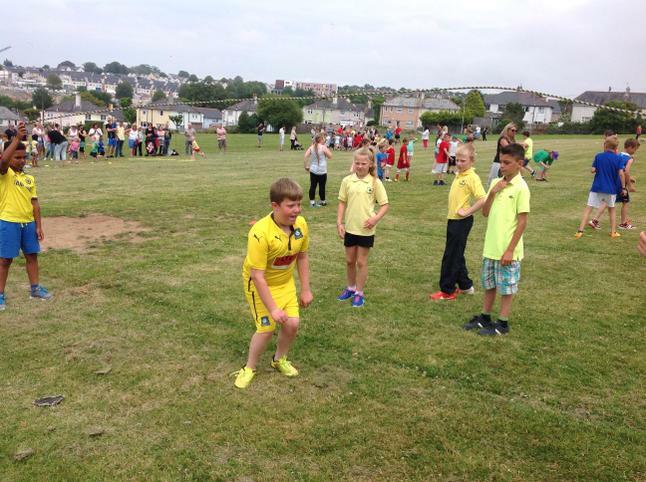 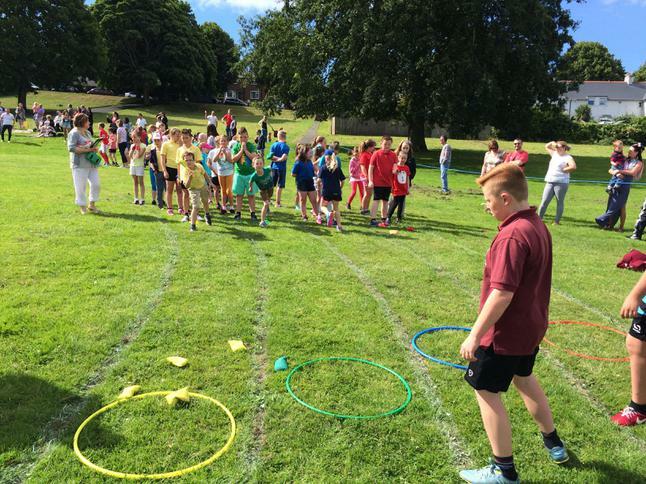 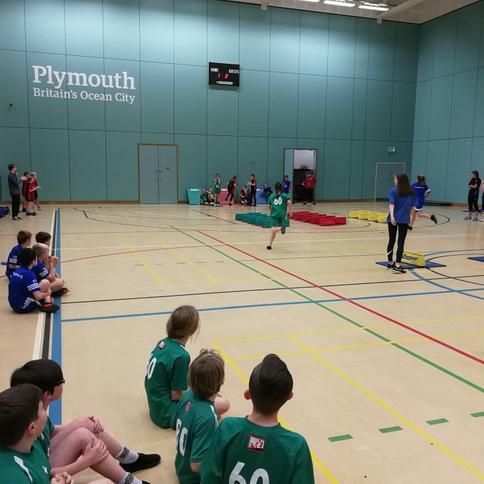 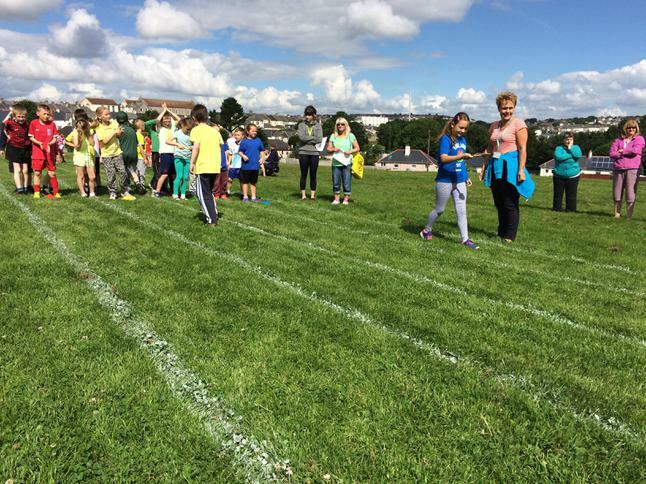 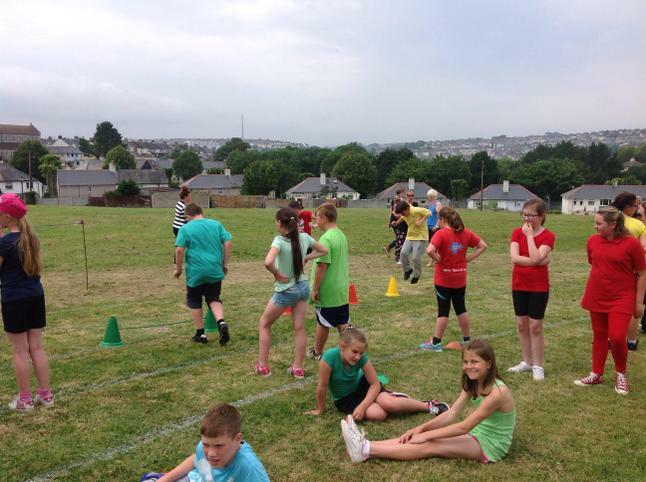 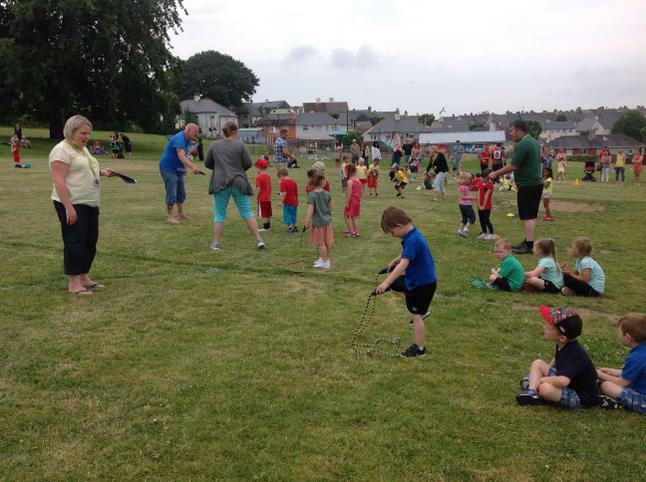 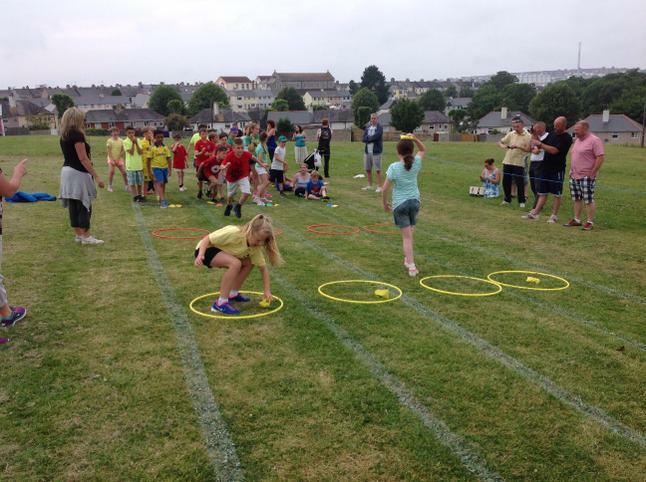 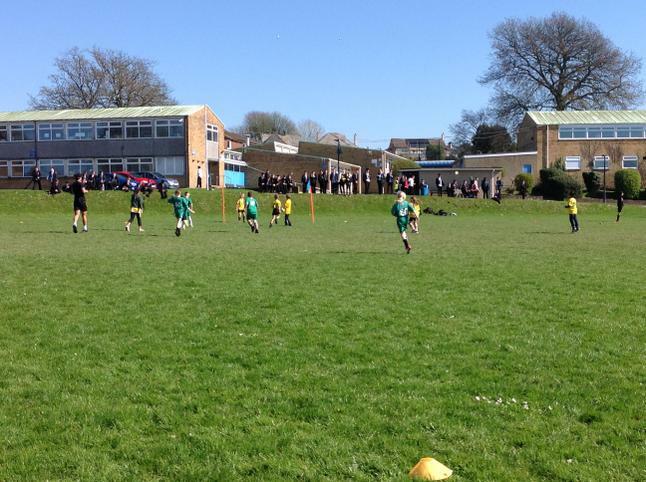 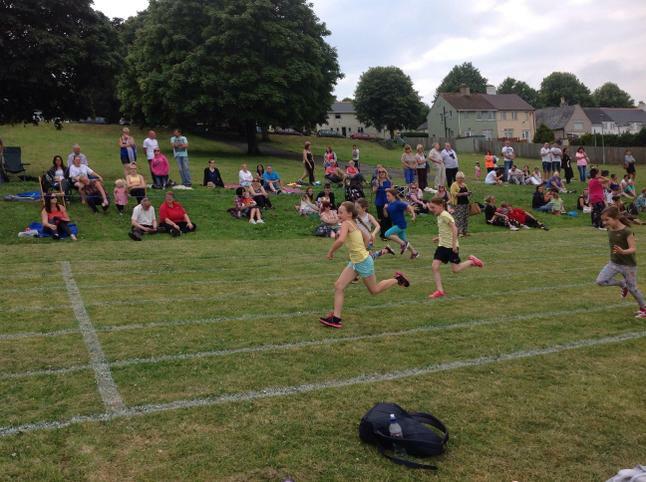 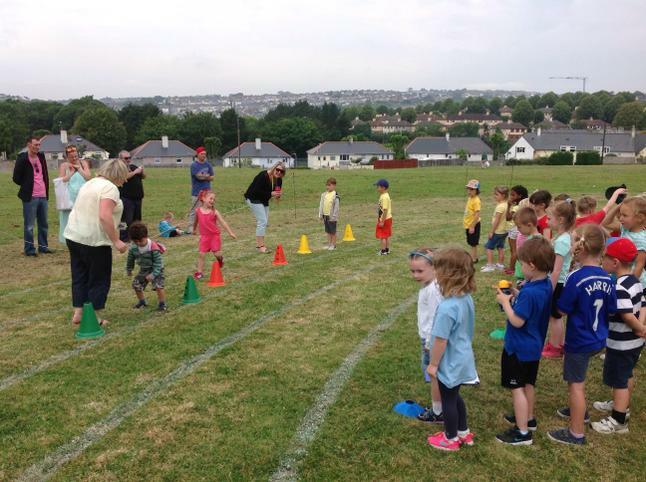 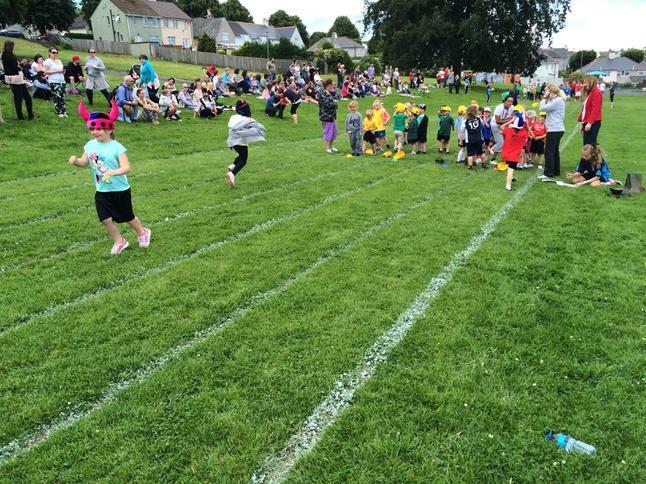 Plymouth School Sports Partnership Here you can find lists of up and coming city events and clubs across the city. 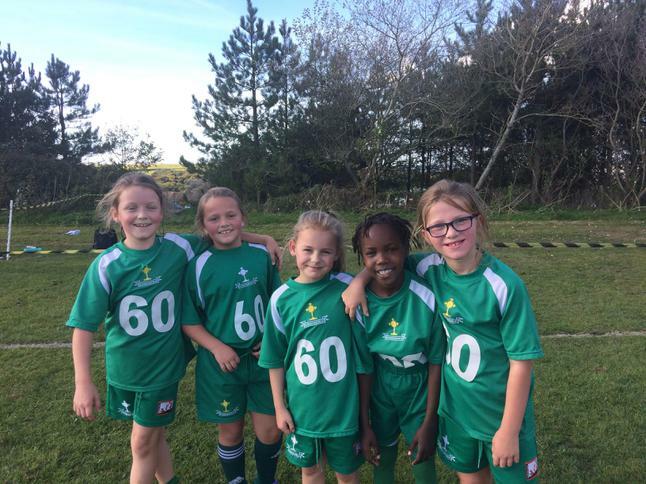 Devonport Dragons Hockey Club A local hockey club which provides coaching for children from 5-12 on a Sunday.